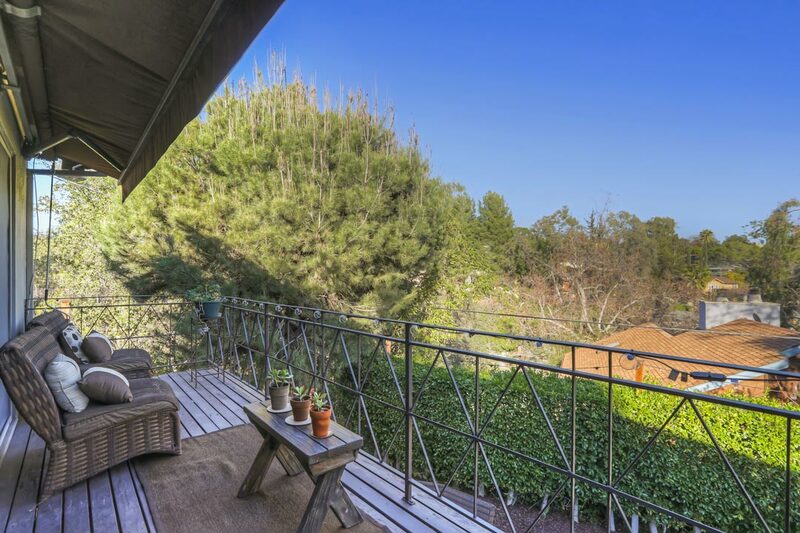 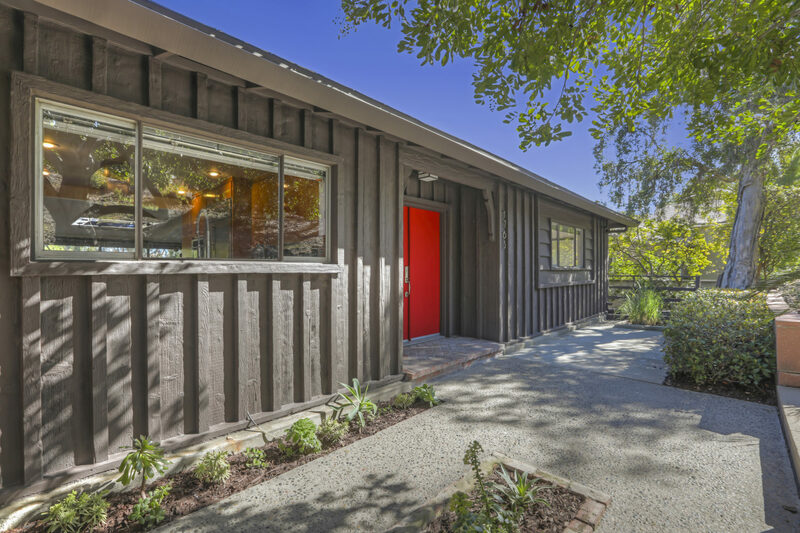 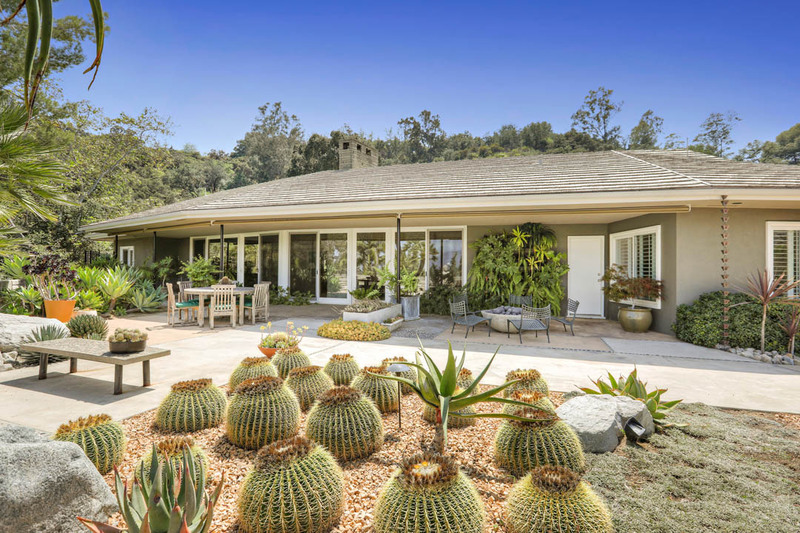 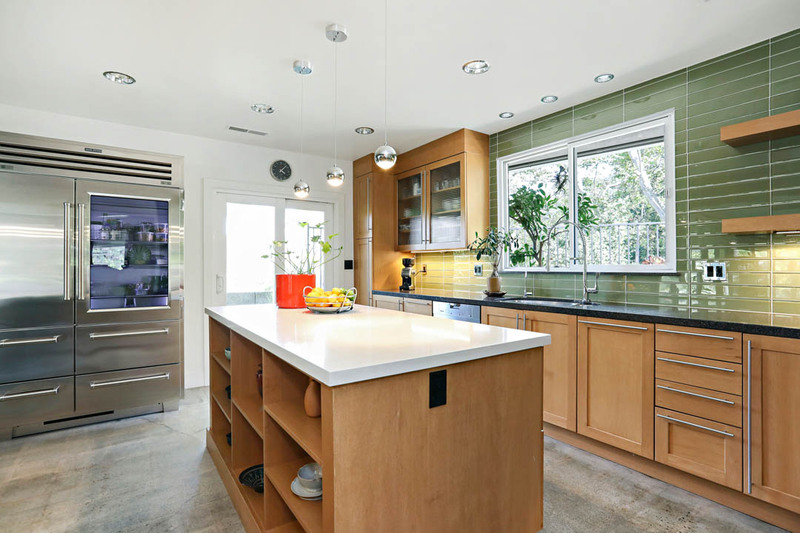 Nestled in the verdant San Rafael Hills, find this sunny and spacious home with views. 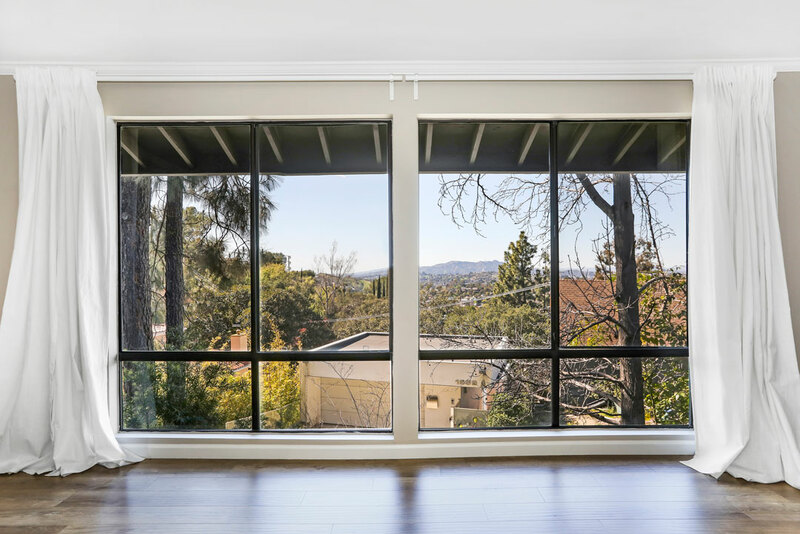 Three levels provide a versatile layout, with oversized windows framing a scenic panorama stretching clear to the Griffith Park Observatory. 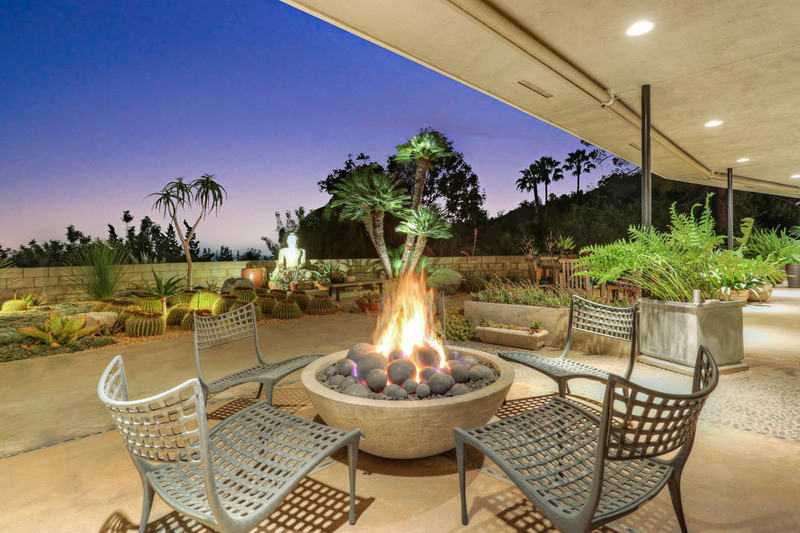 The light-filled formal living room is a lovely spot to sit by the fireplace against a backdrop of gorgeous vistas; the dining room has a second fireplace, built-ins and seamless outdoor flow. 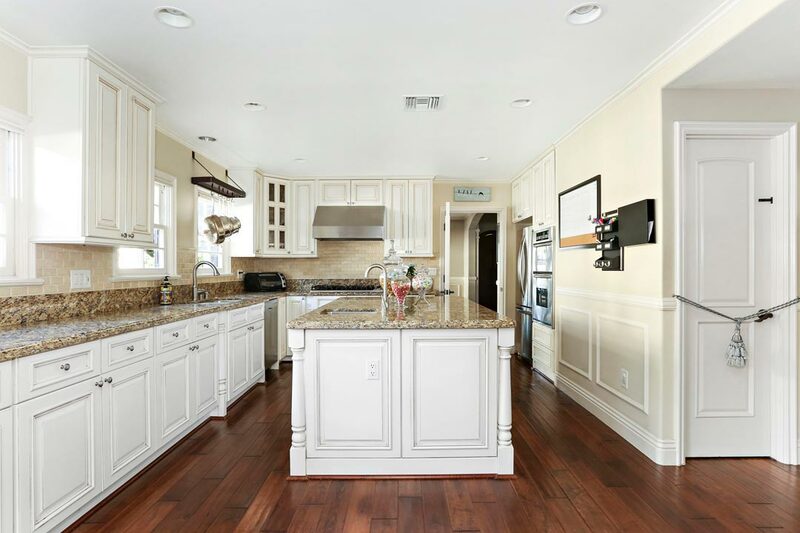 The recently updated kitchen features quartz countertops, custom cabinetry and a dining counter. 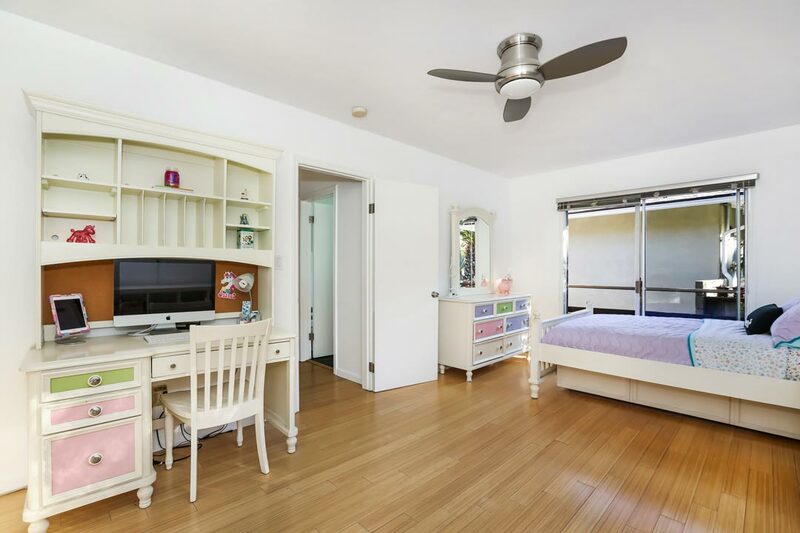 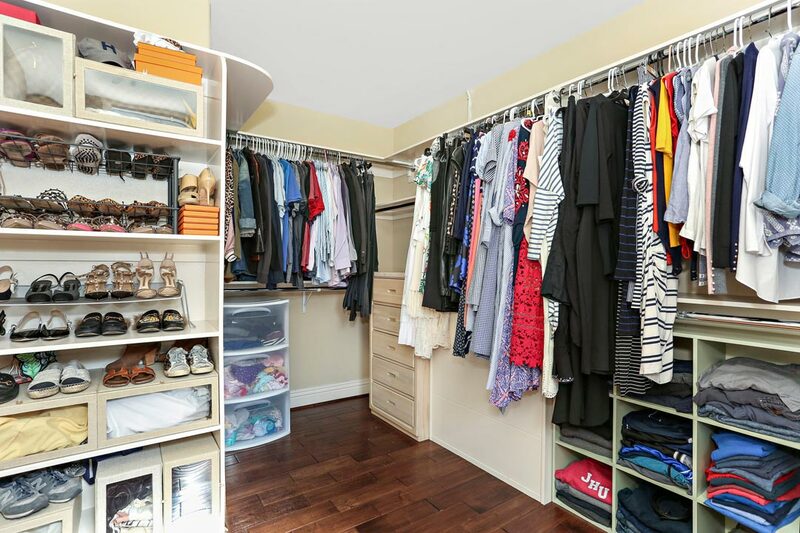 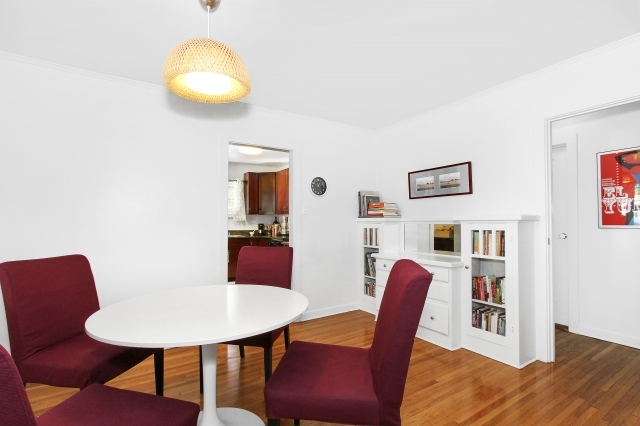 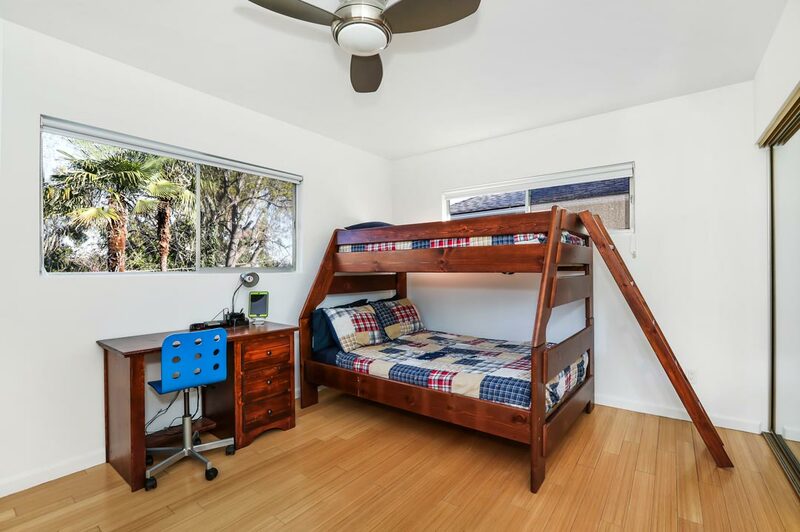 Three bedrooms include a spacious Master sanctuary with two closets and an attached bath. 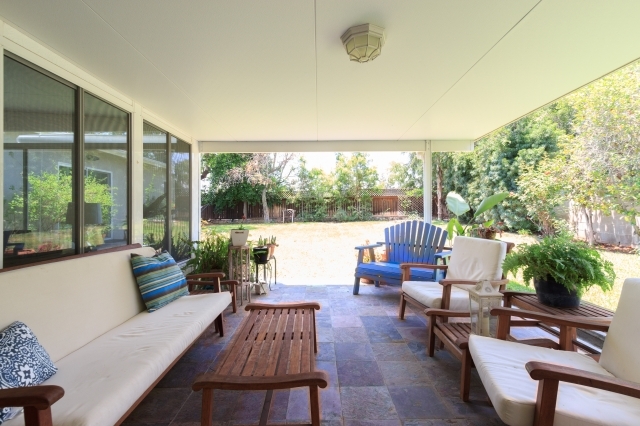 On the rear patio you’ll relax with friends and family on sunny afternoons and starry evenings. 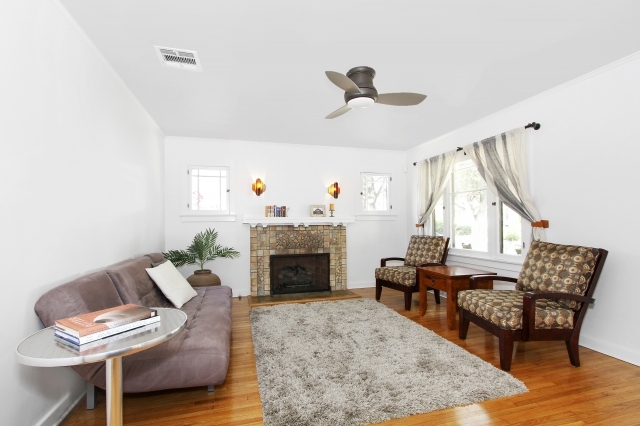 The home has central heat+air and an attached garage with direct access. 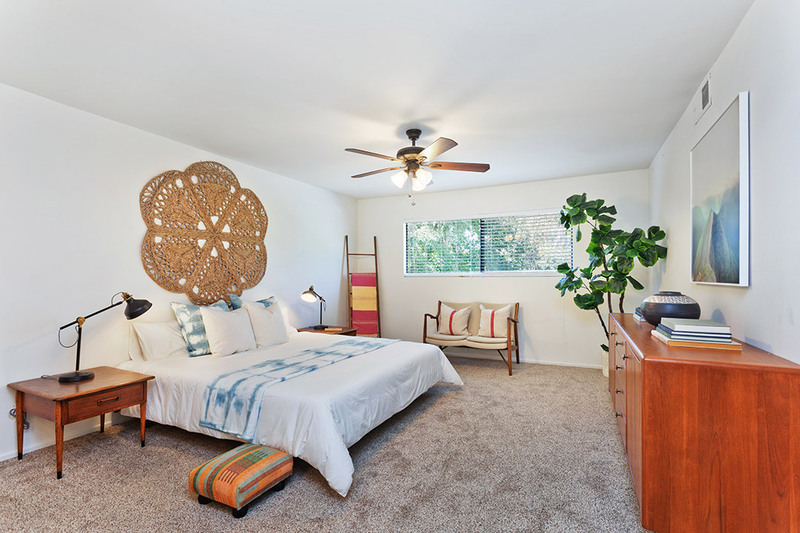 Local dining and conveniences are nearby at Little Flower, Amara Kitchen, Red Herring, Casa Bianca, Trader Joe’s and more. 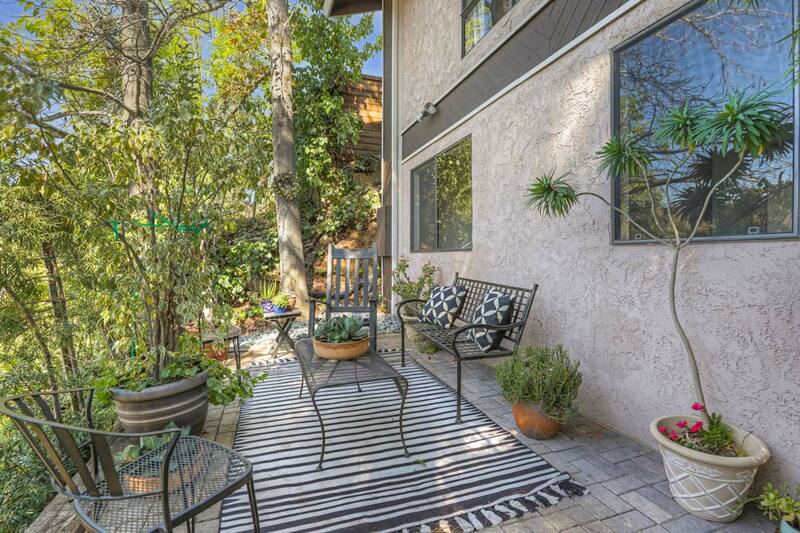 From this quiet, leafy enclave it’s easy to reach Old Town Pasadena, Highland Park and Downtown LA. 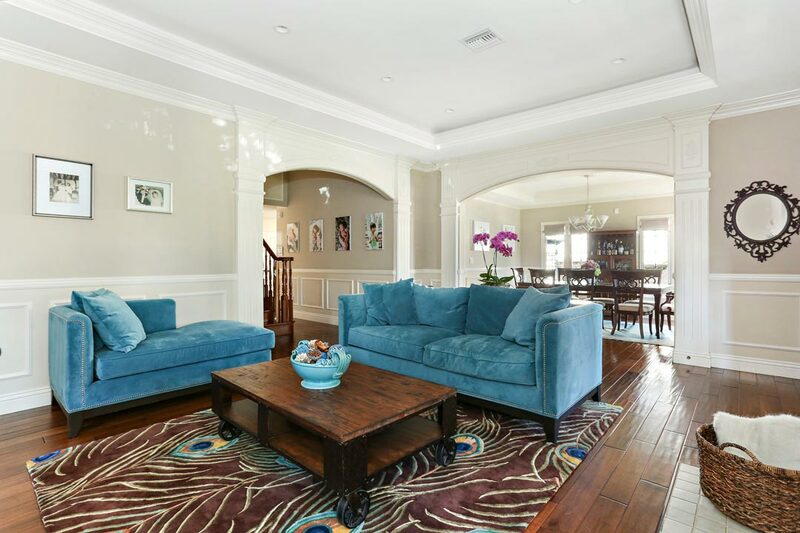 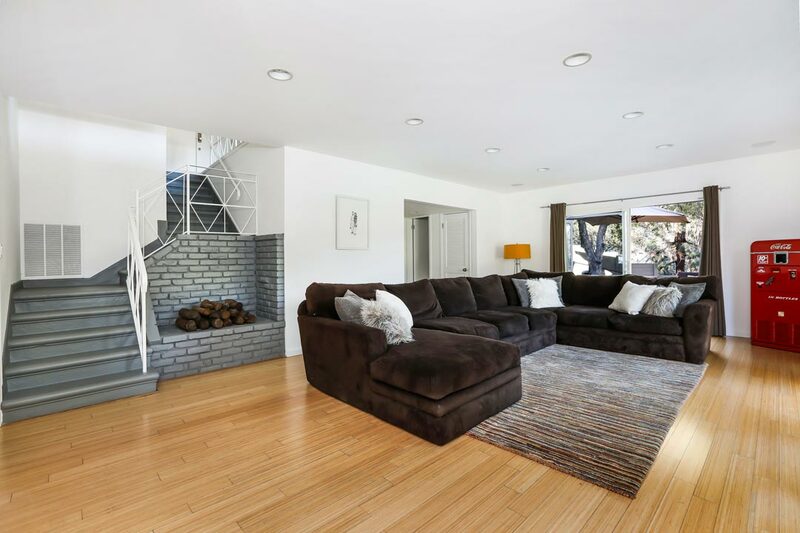 A spacious two-story home in the coveted South Pasadena School District, with award-winning schools K-12. 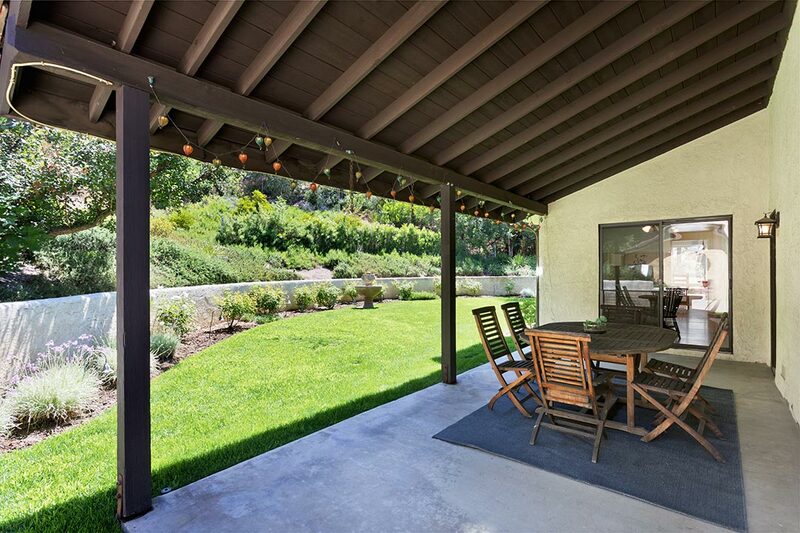 The welcoming residence enjoys a deep front-yard setback and radiates with a sense of tranquility. 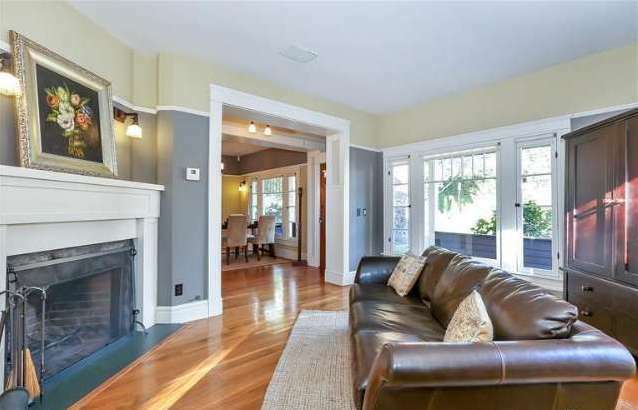 Inside, an impressive array of character elements includes wainscoting, casement windows, a tile fireplace and arched pass-throughs. 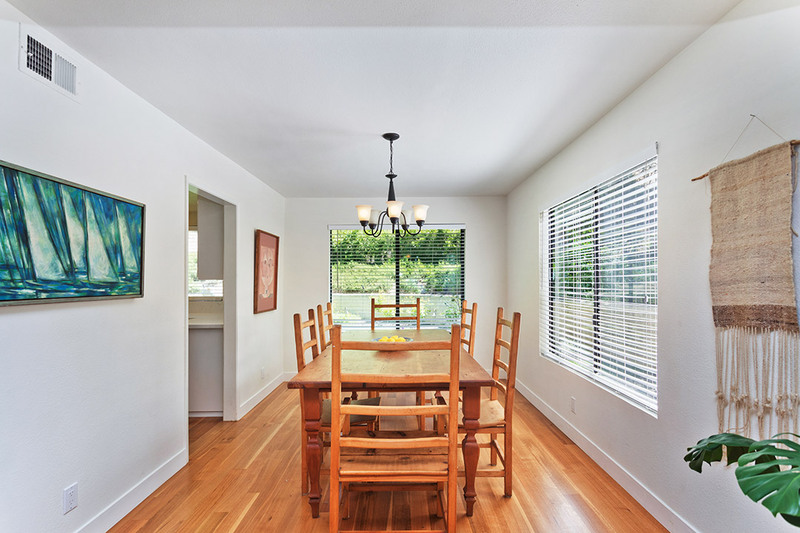 Grand living and dining rooms are filled with natural light; beautiful wood flooring runs underfoot. 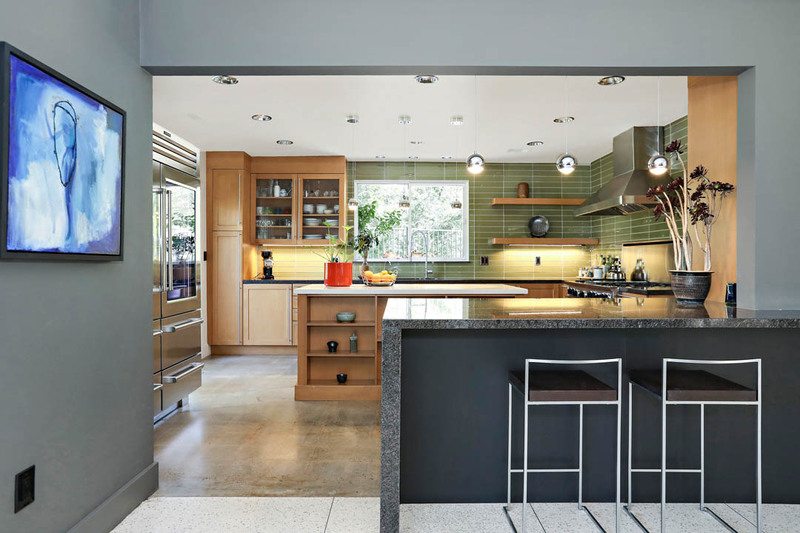 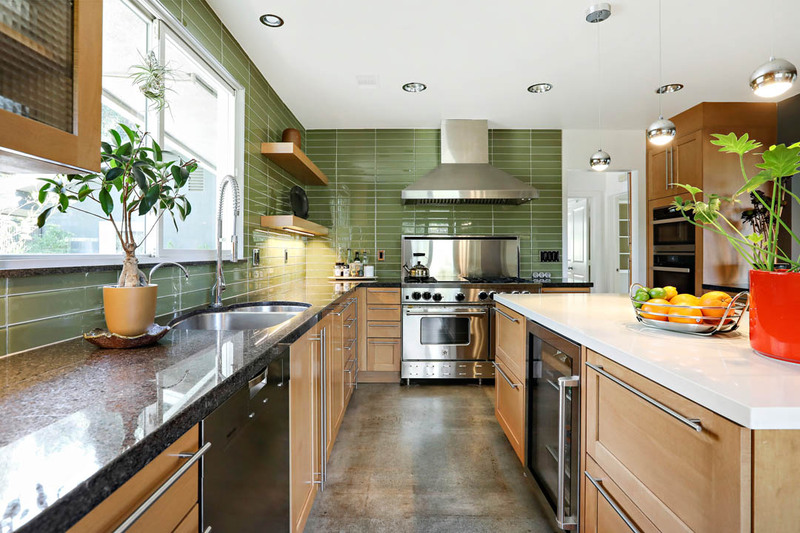 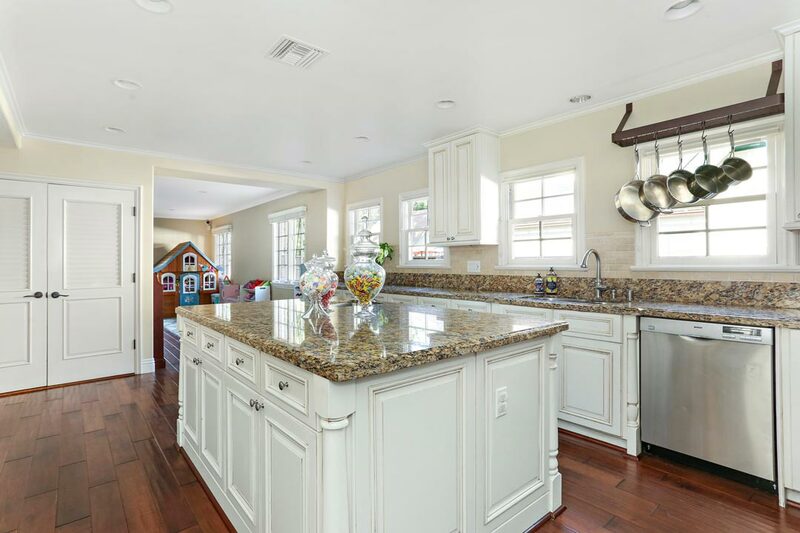 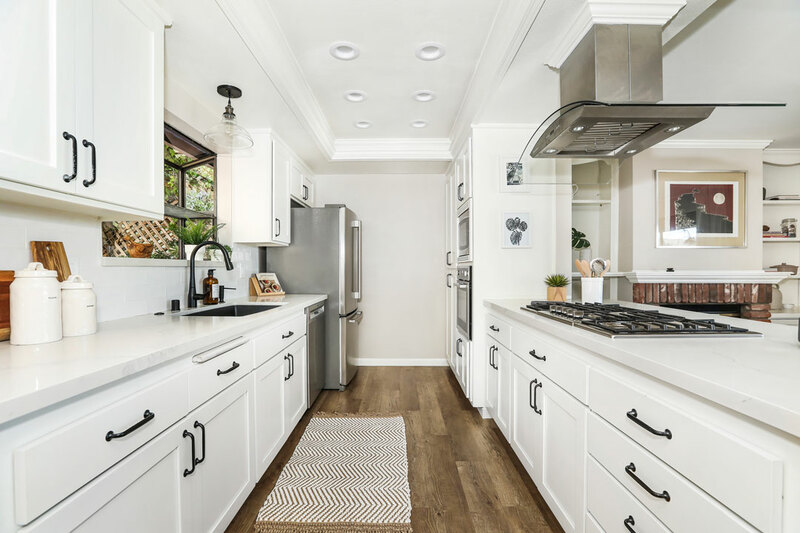 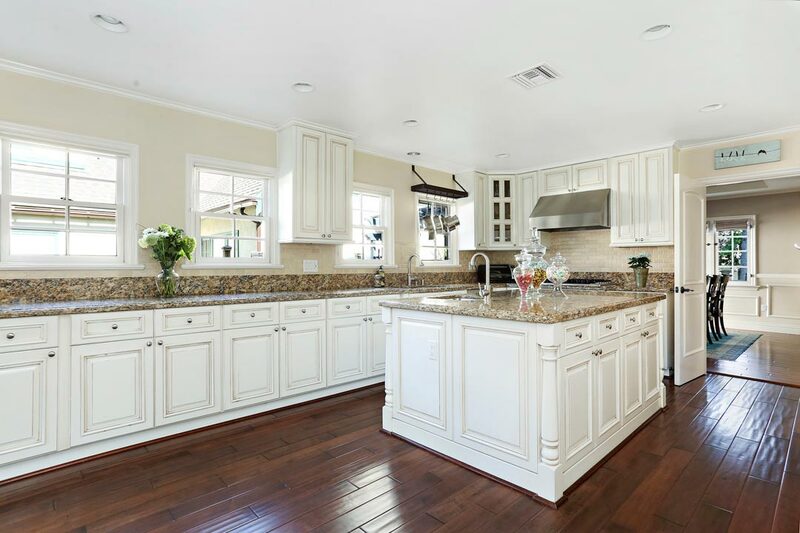 The expansive chef’s kitchen features an oversized island and stylish white cabinets. 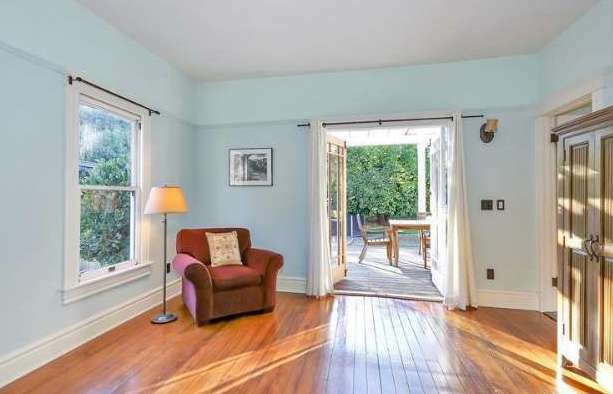 In the adjacent family room, French Doors open to the glorious park-like yard. 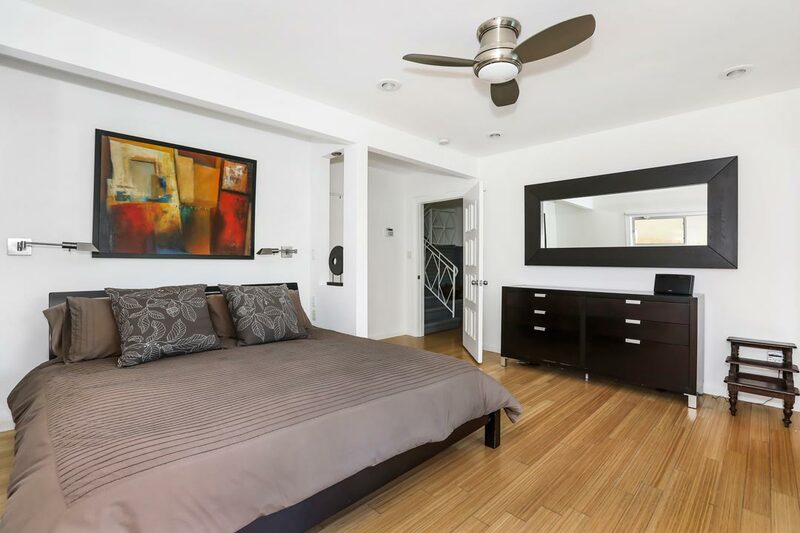 Four generous bedrooms include the Master with a walk-in closet, balcony and a spa-like bathroom with jacuzzi tub. 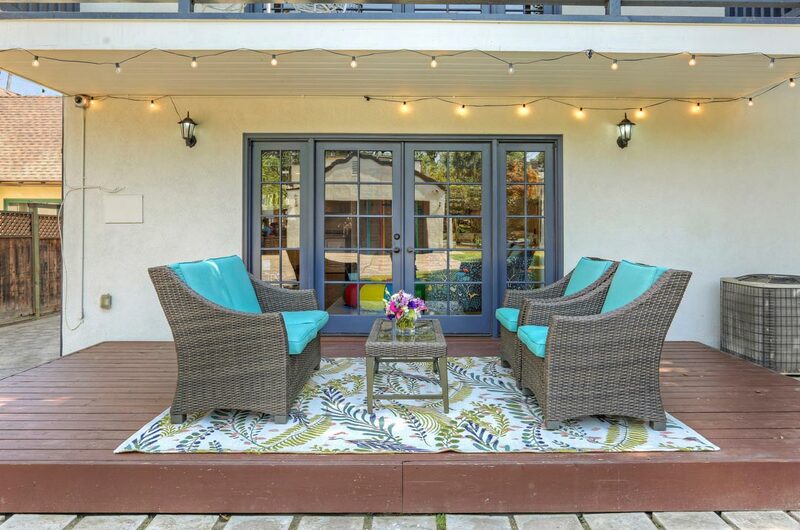 The flat rear yard feels private and serene in the surround of trees, an ideal spot to dine al fresco on the covered deck. 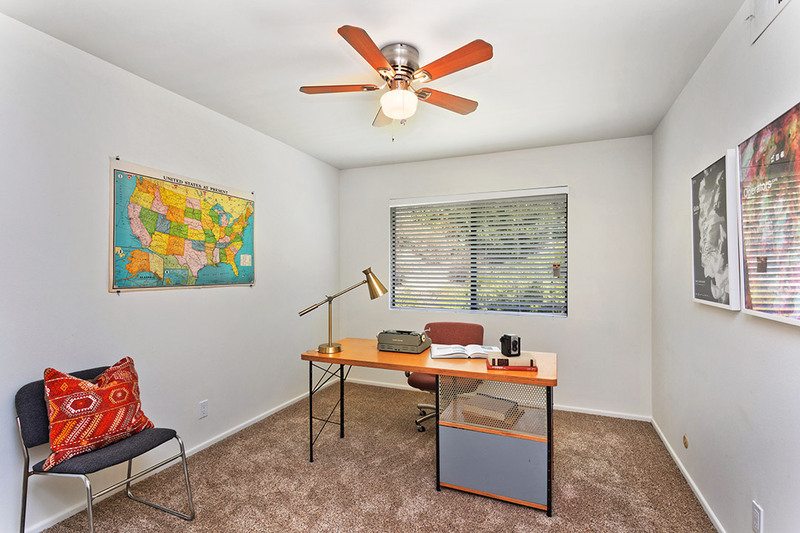 State-of-the-art amenities include solar panels, a Tesla charger in the detached garage, and central A/C. 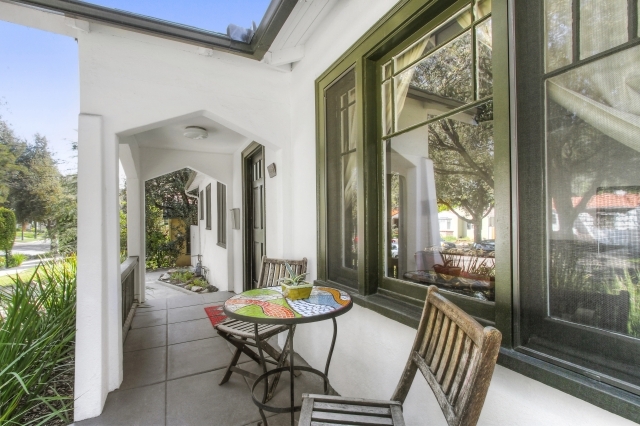 Shopping, dining and markets are mere blocks away. 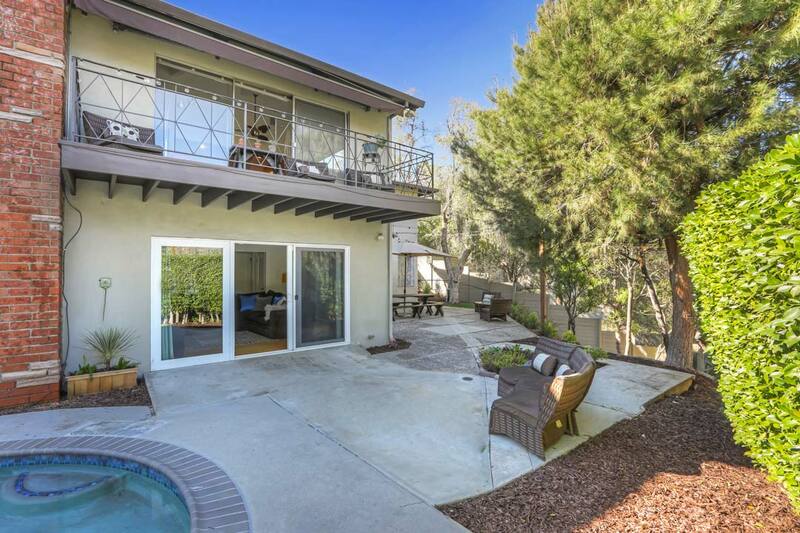 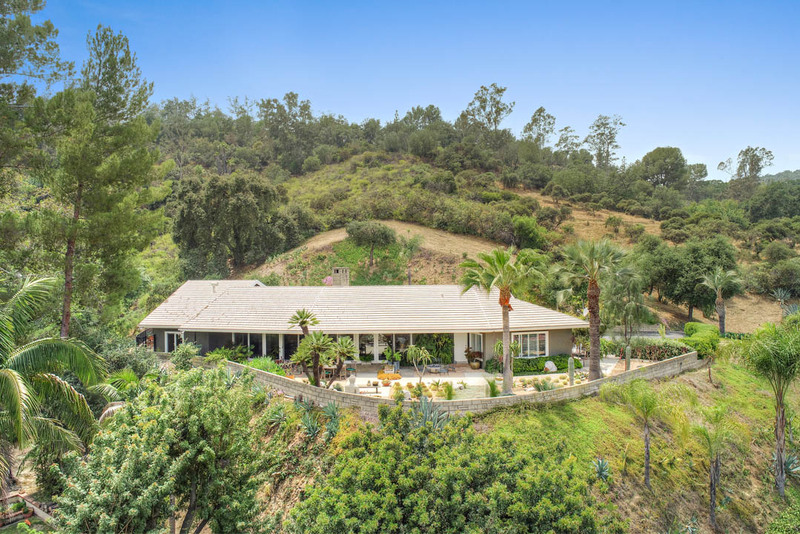 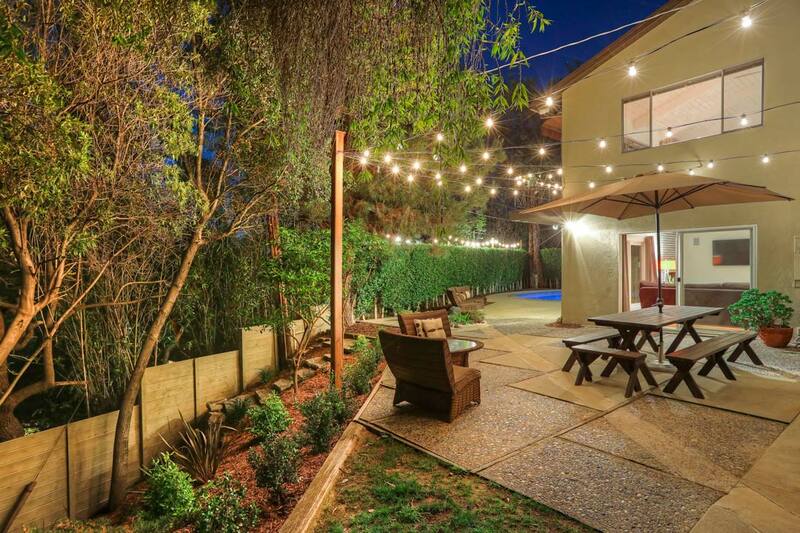 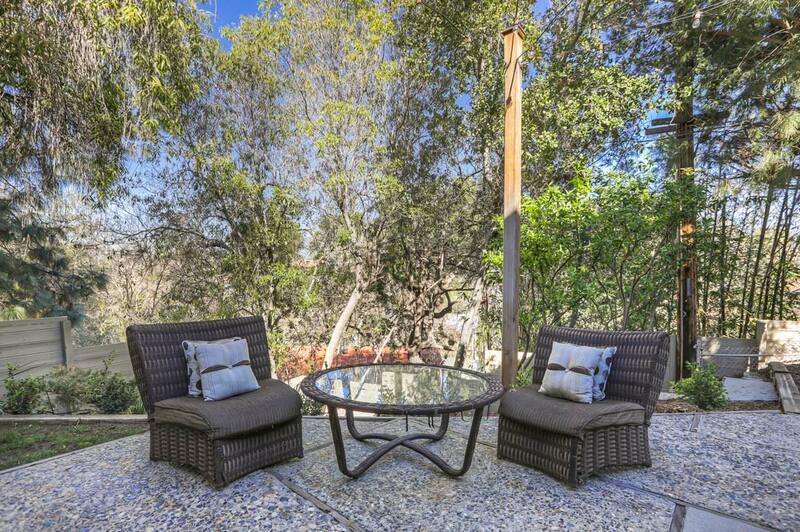 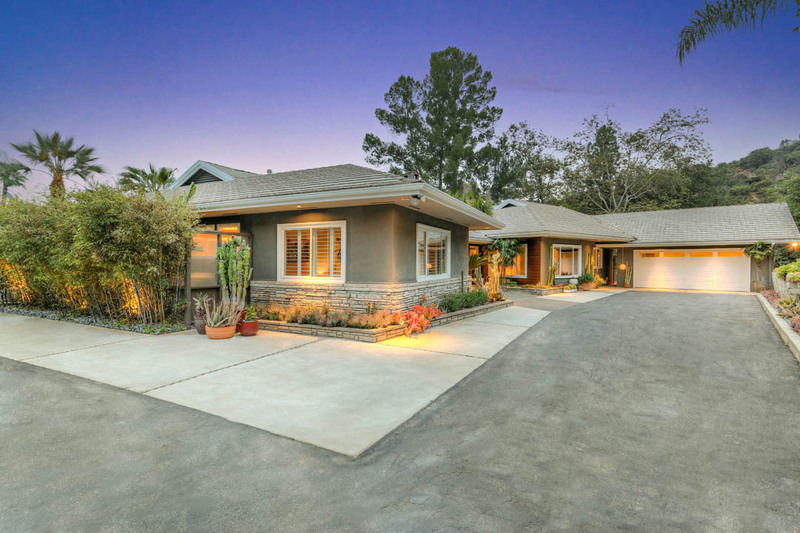 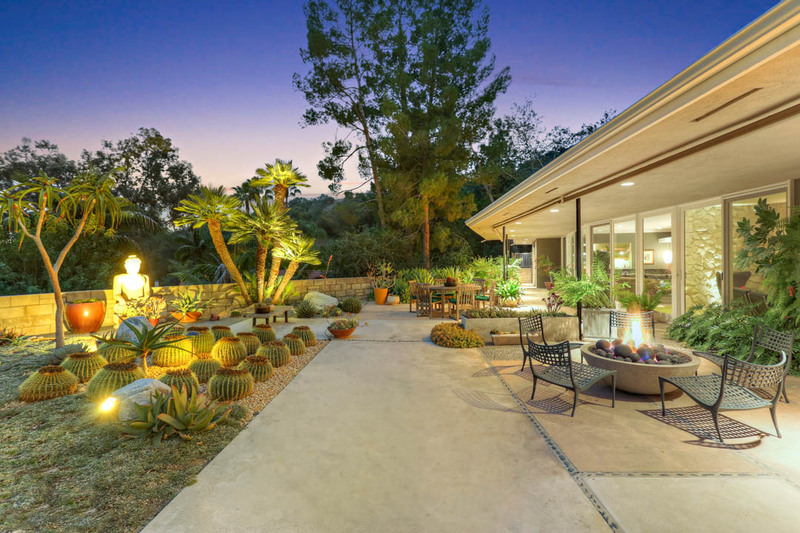 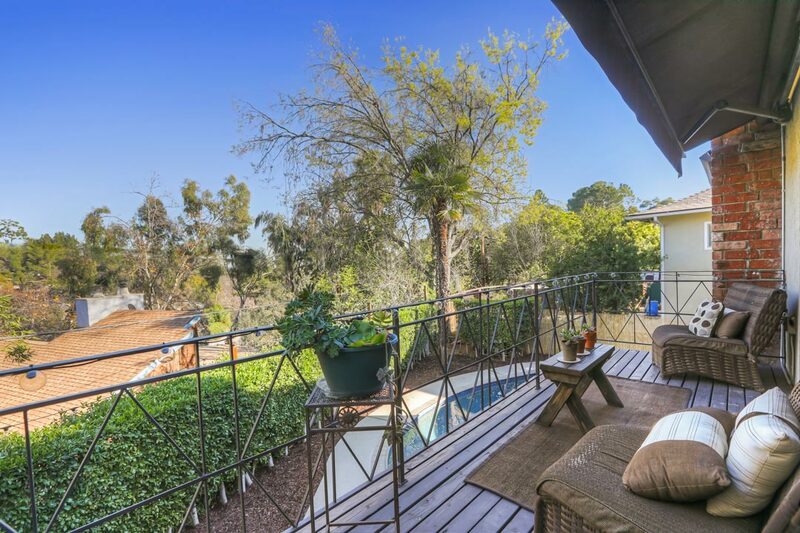 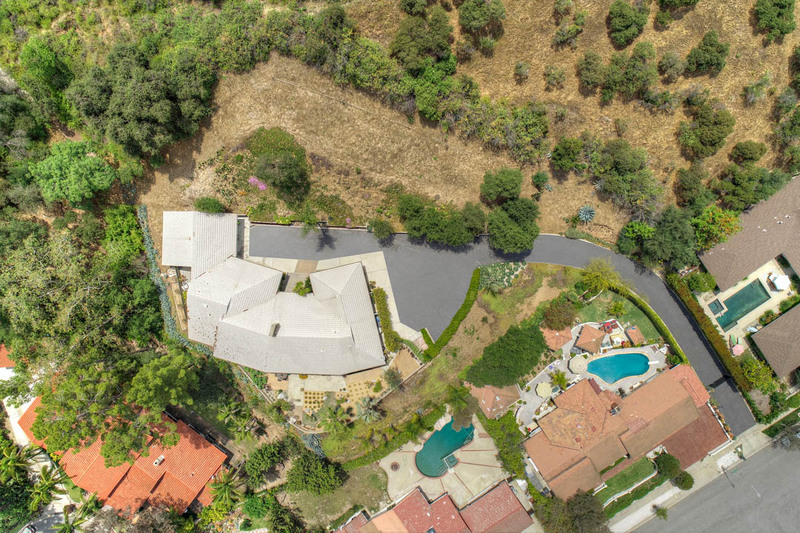 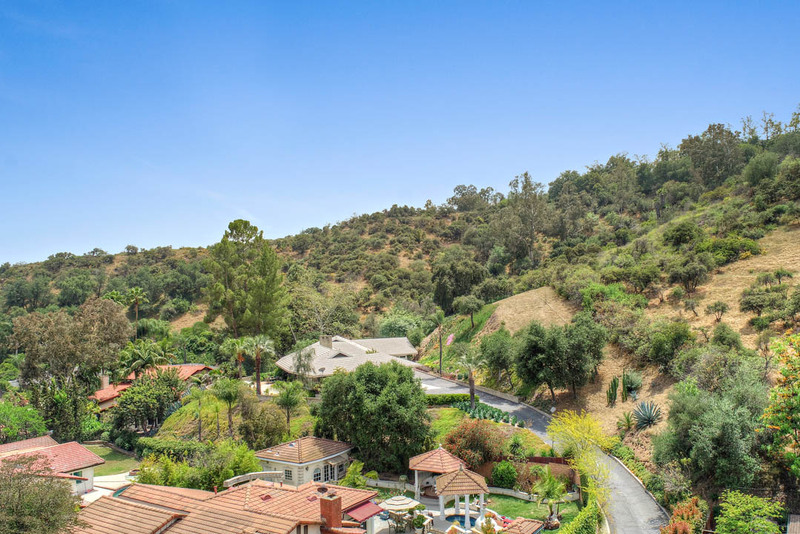 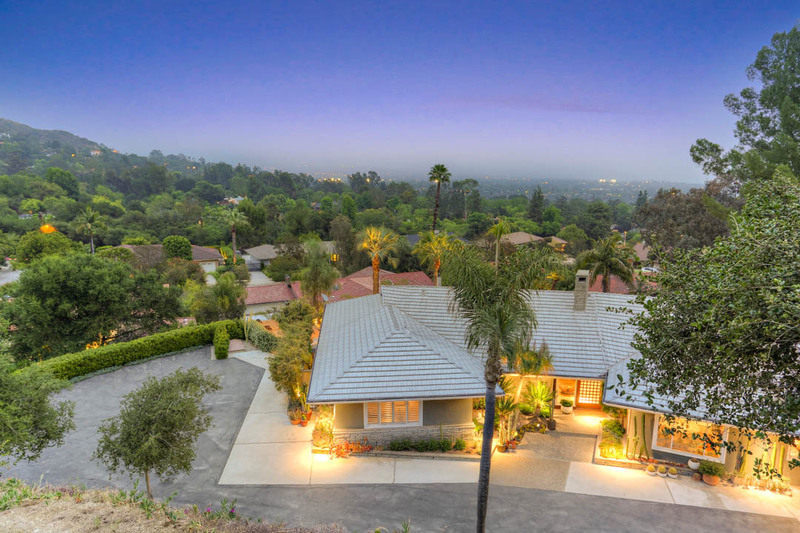 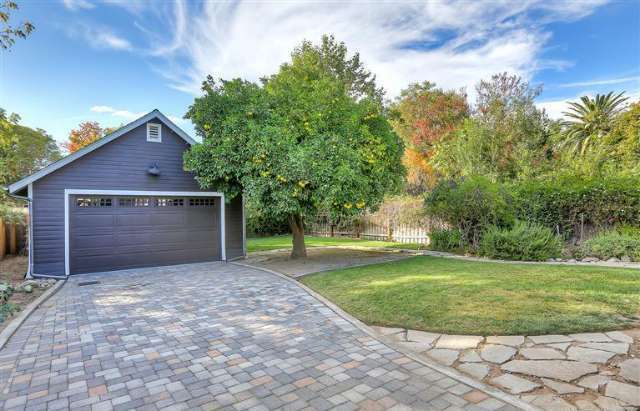 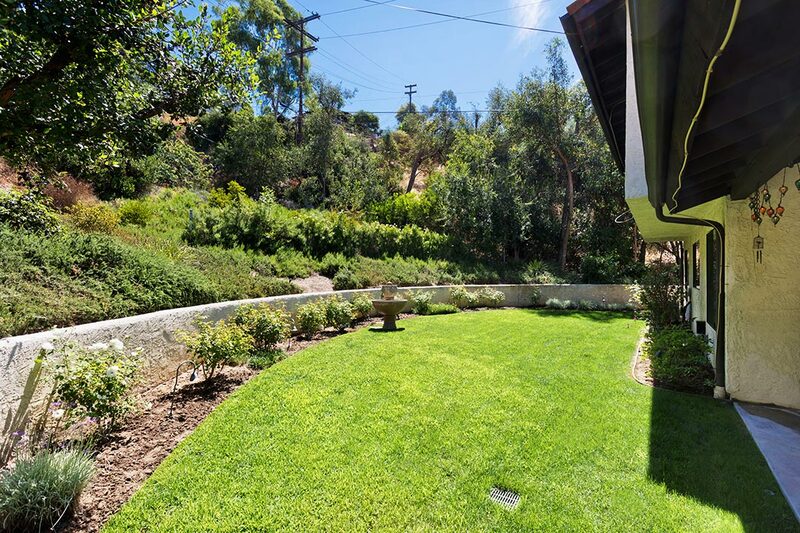 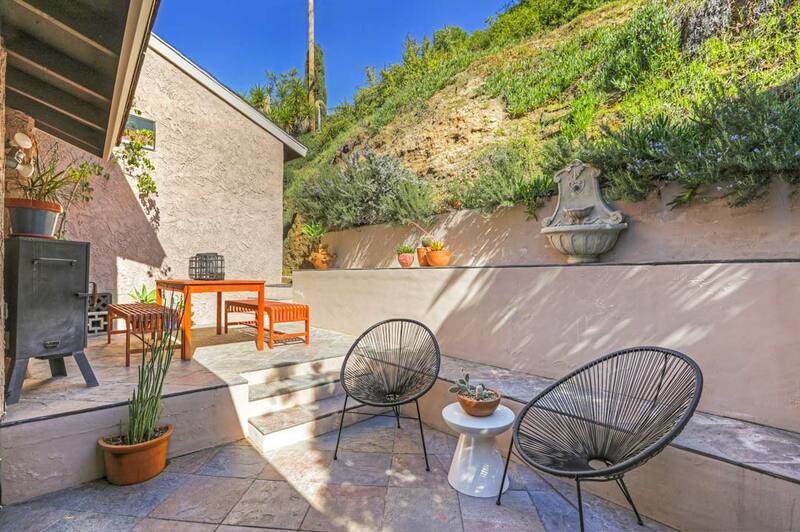 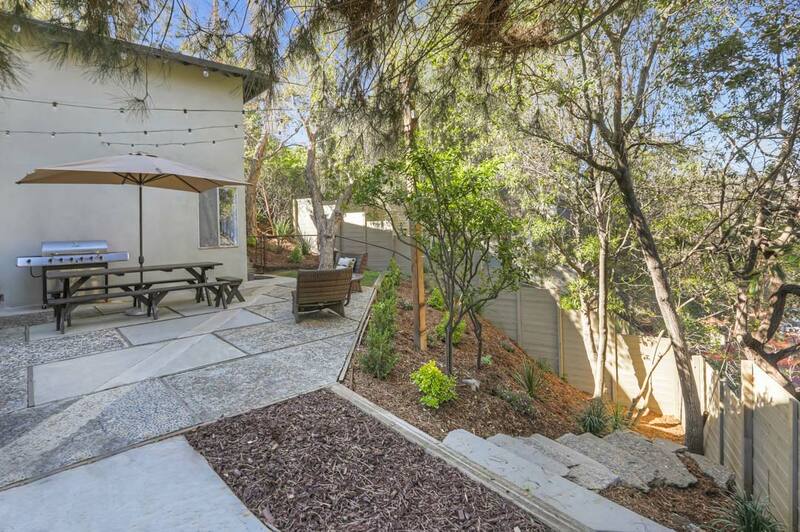 A secluded hilltop compound in Pasadena’s desirable Linda Vista enclave. 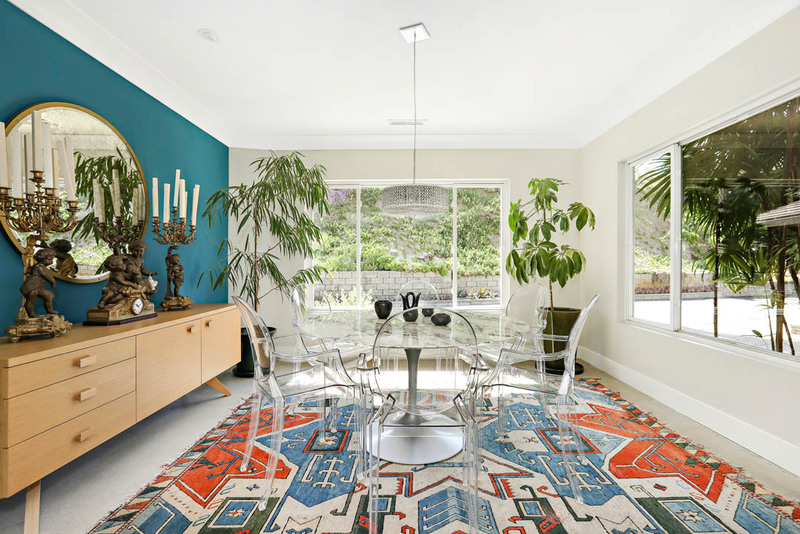 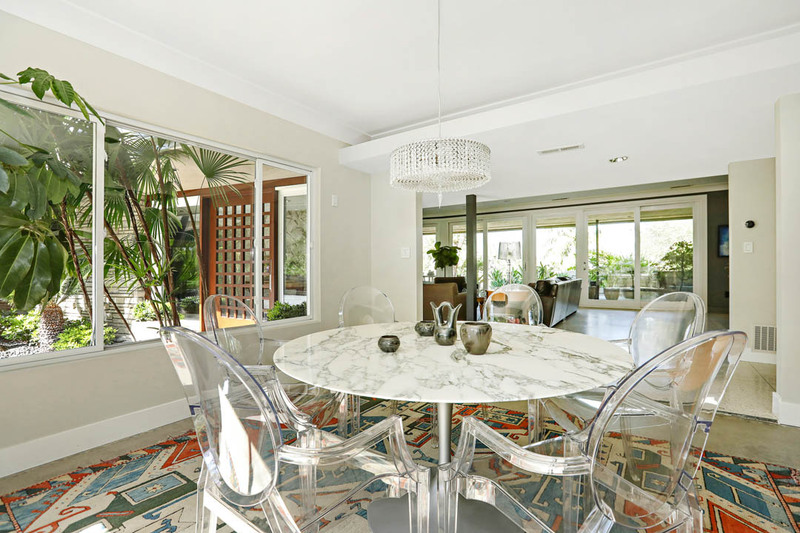 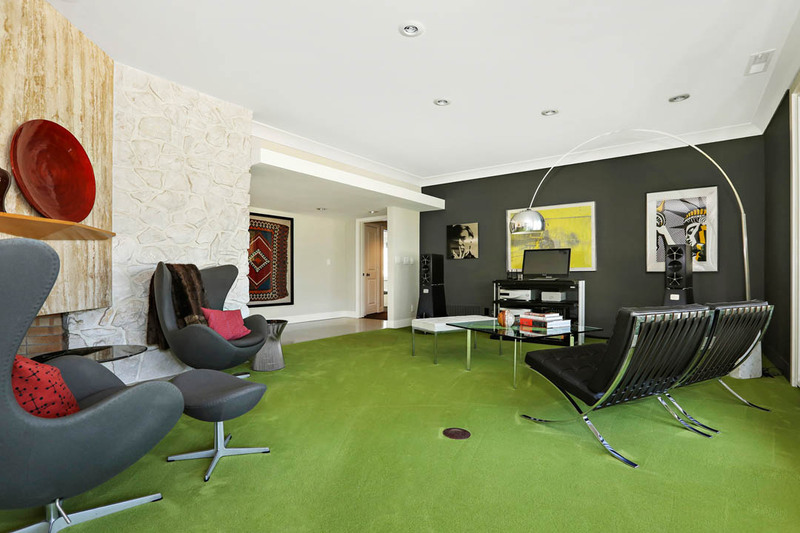 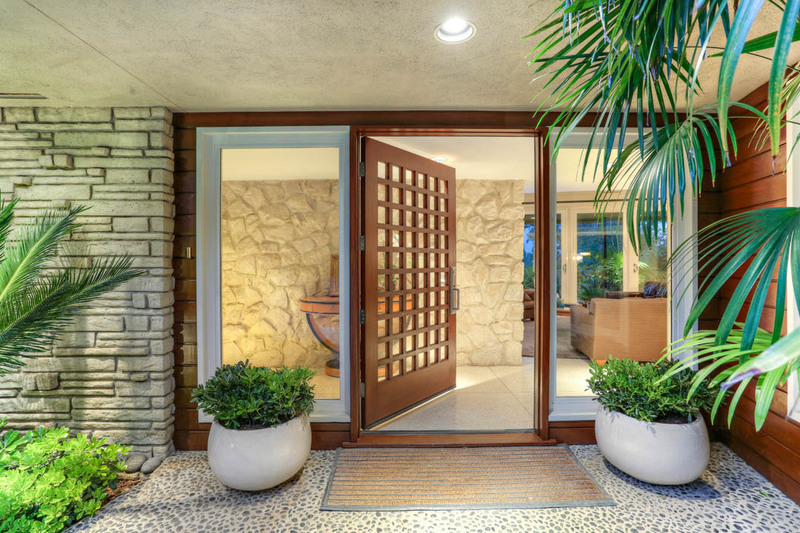 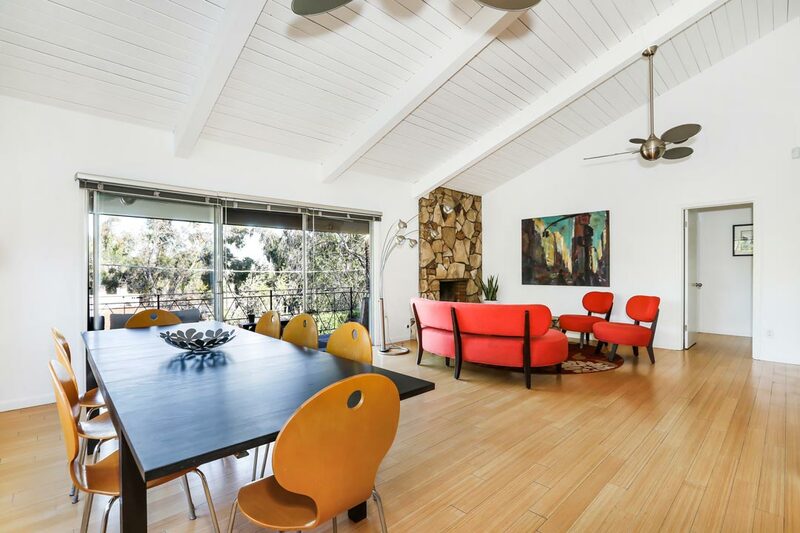 Its centerpiece is an exquisite home resonating with sophisticated mid-century modern style. 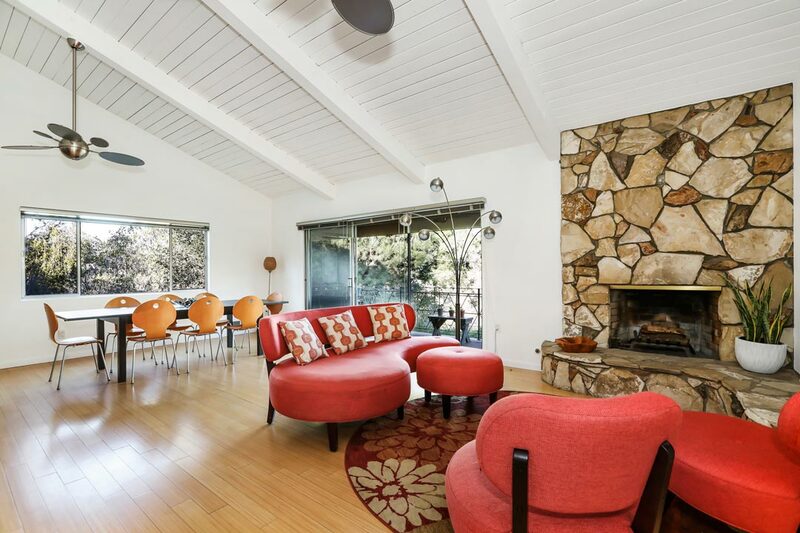 The airy, expansive layout features floor-to-ceiling windows showcasing majestic vistas of the San Gabriel Mountains. 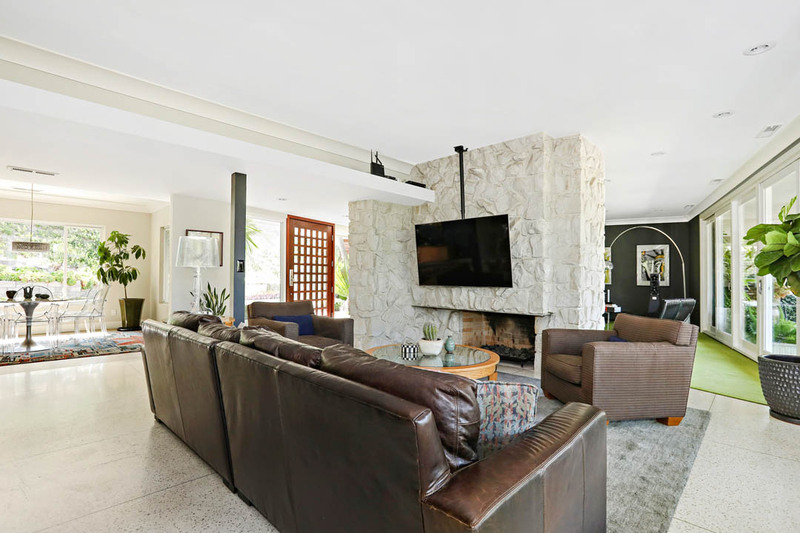 Flow is seamless between the generous living spaces where character-rich details include stone fireplaces and flooring surfaces of terrazzo and polished concrete. 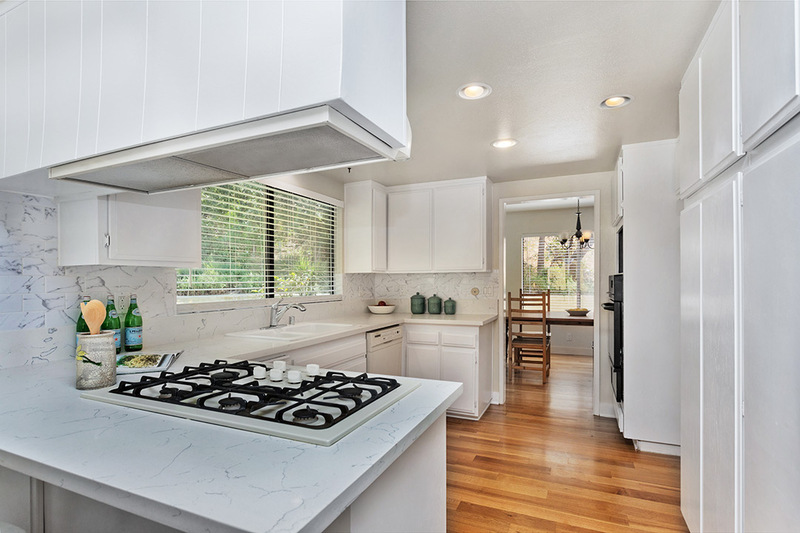 In the kitchen find a center island, full-height tile backsplash, stainless appliances and a professional-series stove. 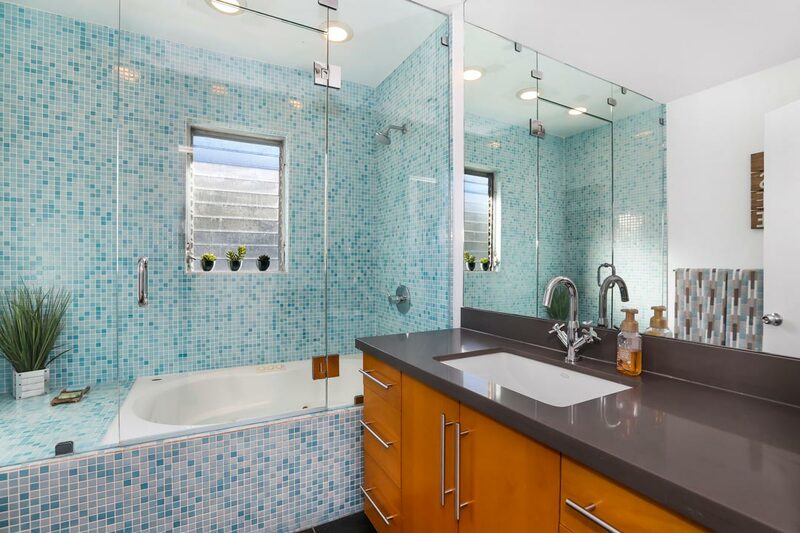 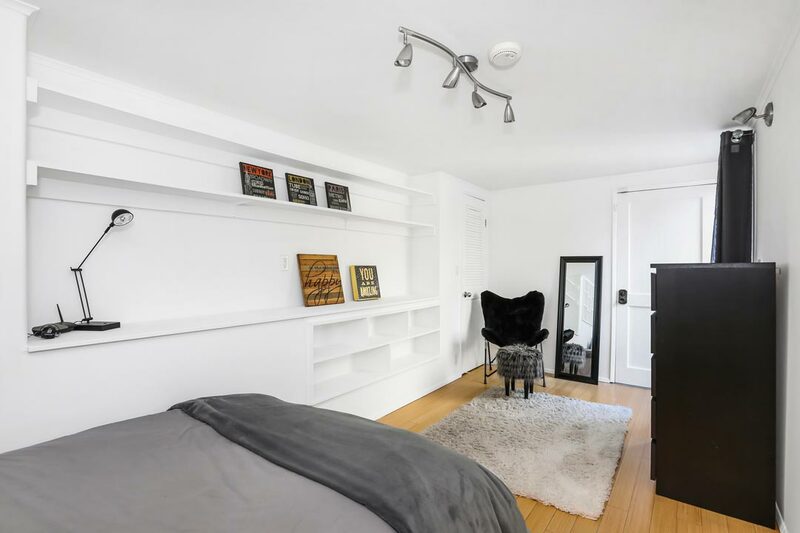 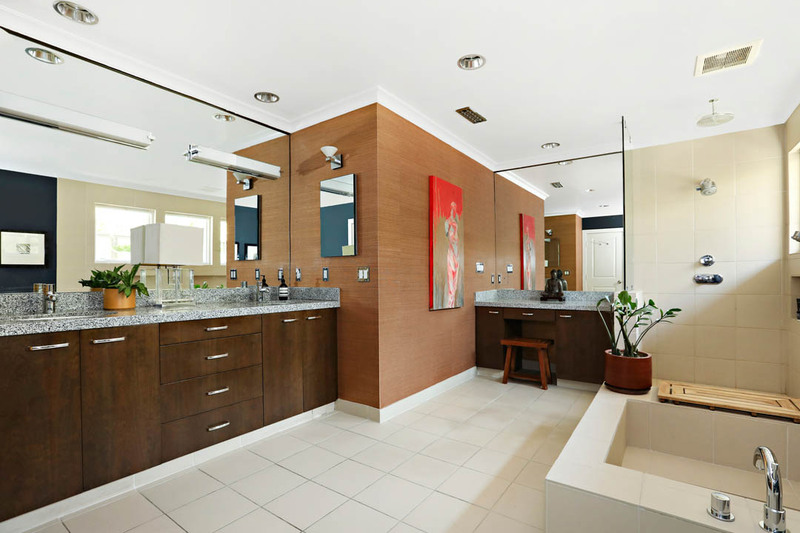 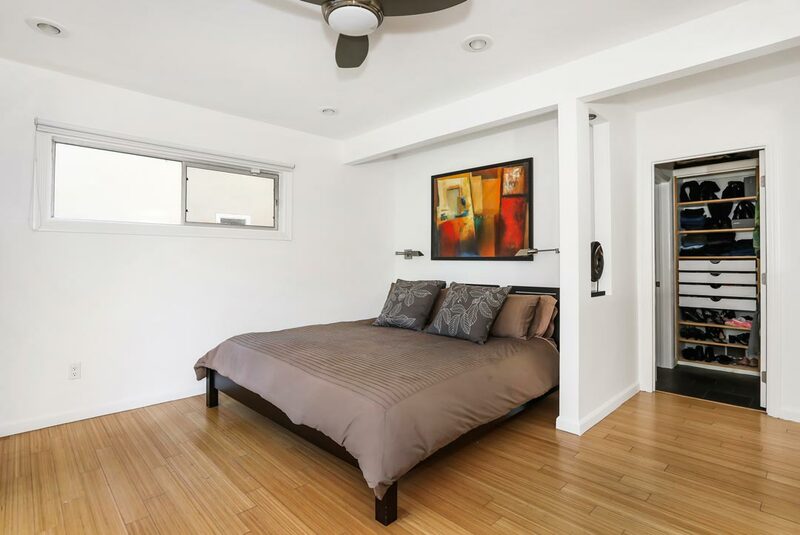 Three bedrooms include the Master with spa-like bathroom, and the option to designate an office or guest space. 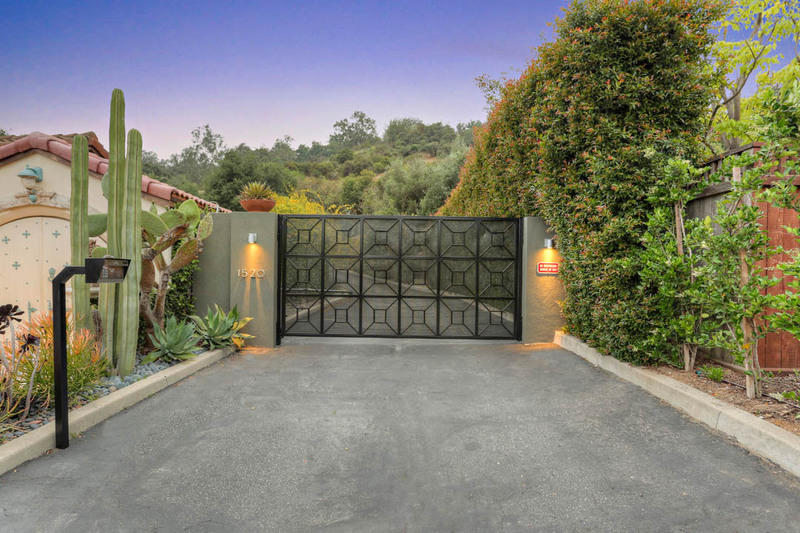 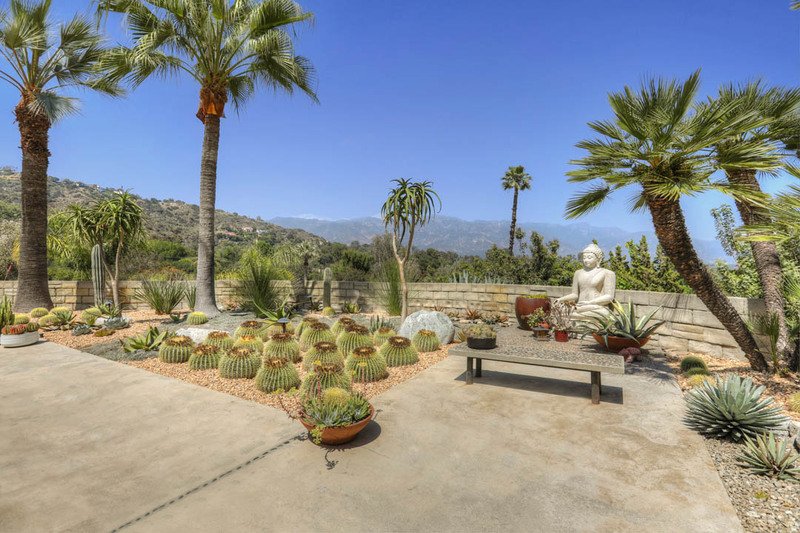 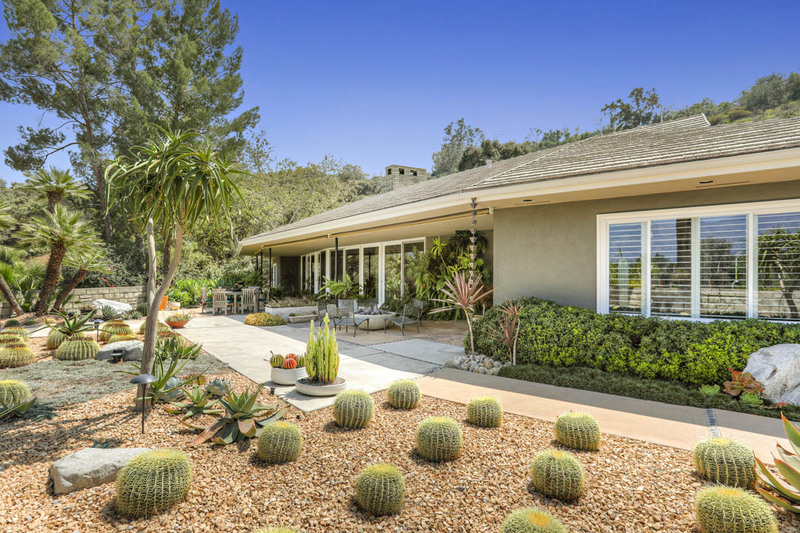 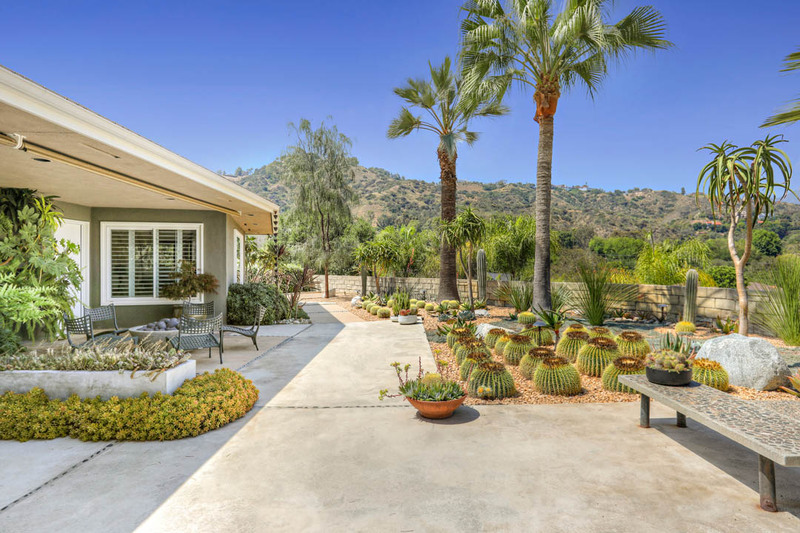 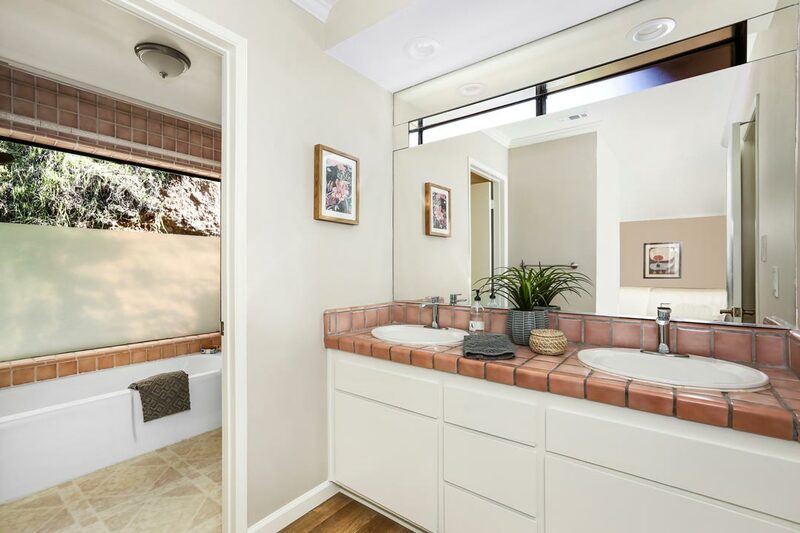 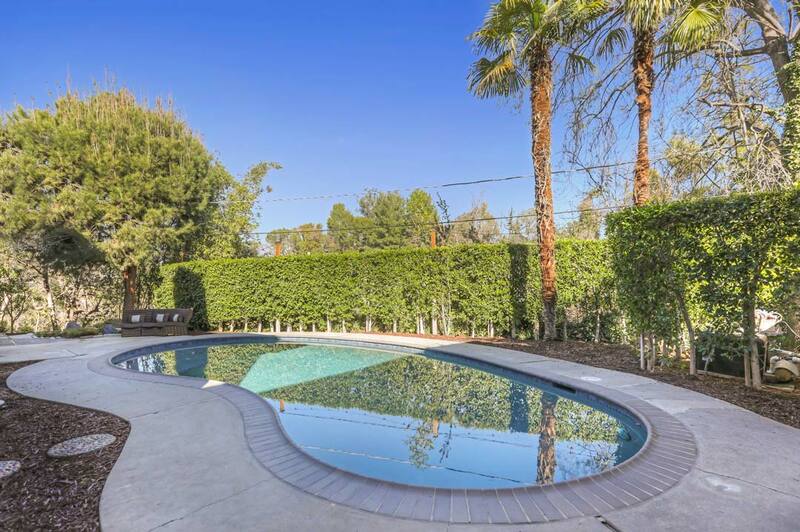 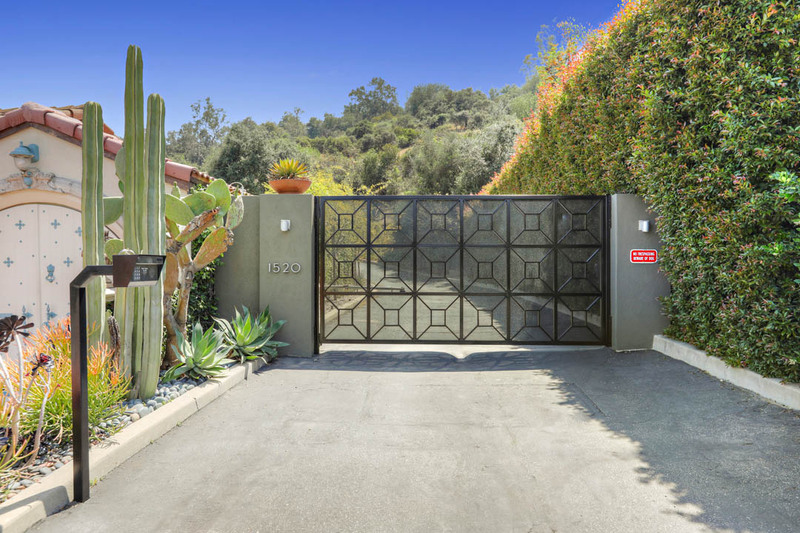 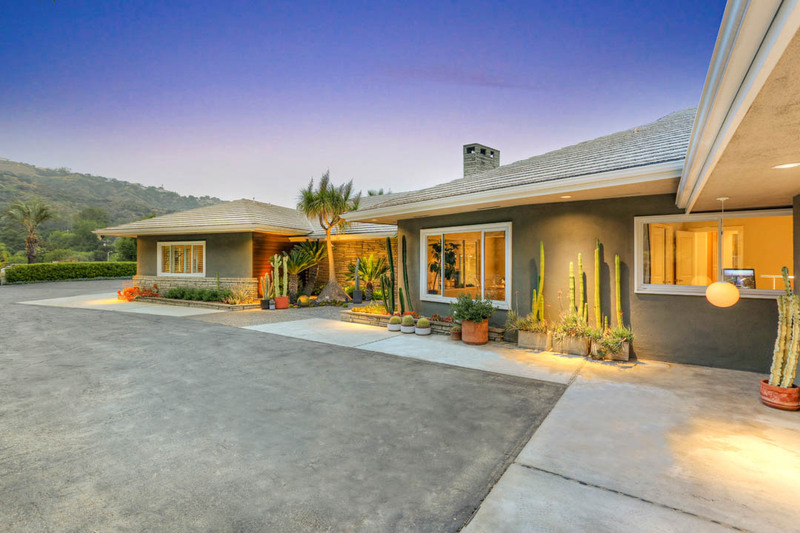 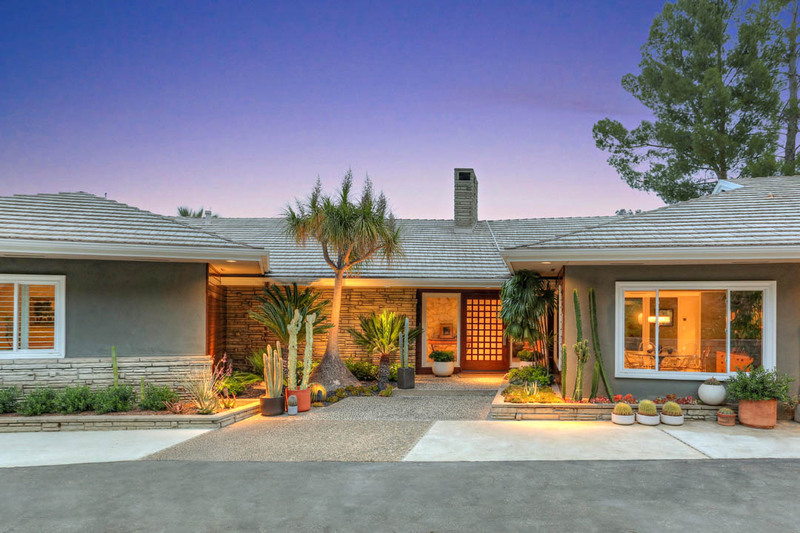 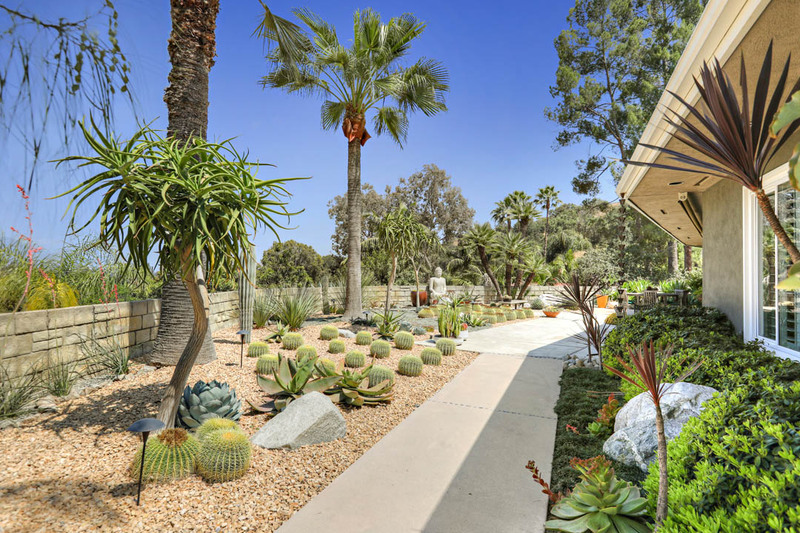 The home is an entertainer’s dream with a sun-splashed patio, gas fire pit and cactus garden; the gated motor court and 2-car garage provide ample parking. 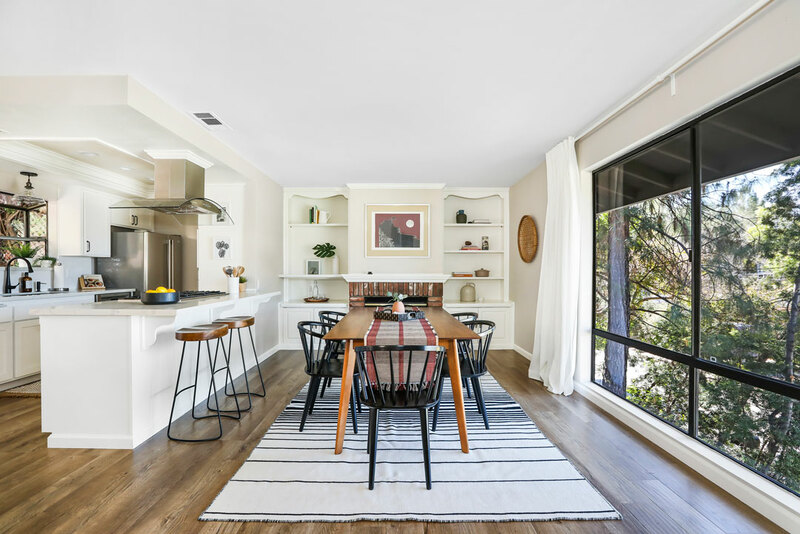 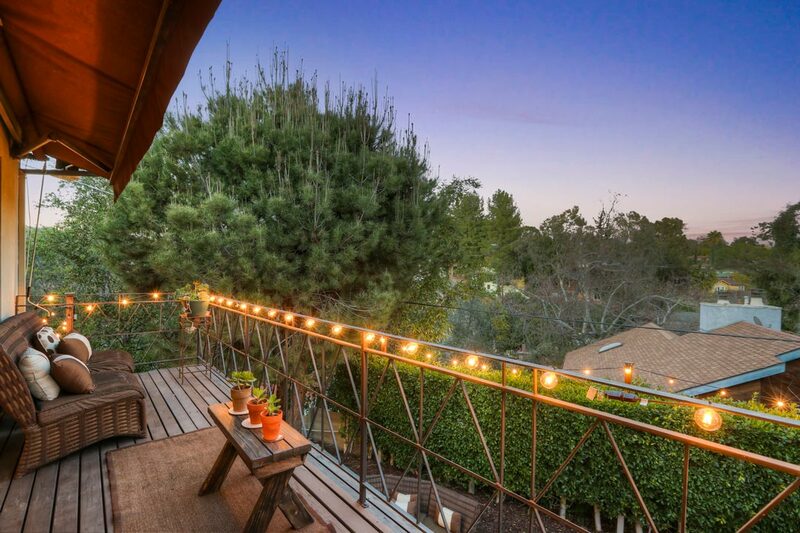 Elevated above the city in a private and tranquil retreat, you are mere minutes from recreation at The Rose Bowl and shopping + dining options in Old Town Pasadena. 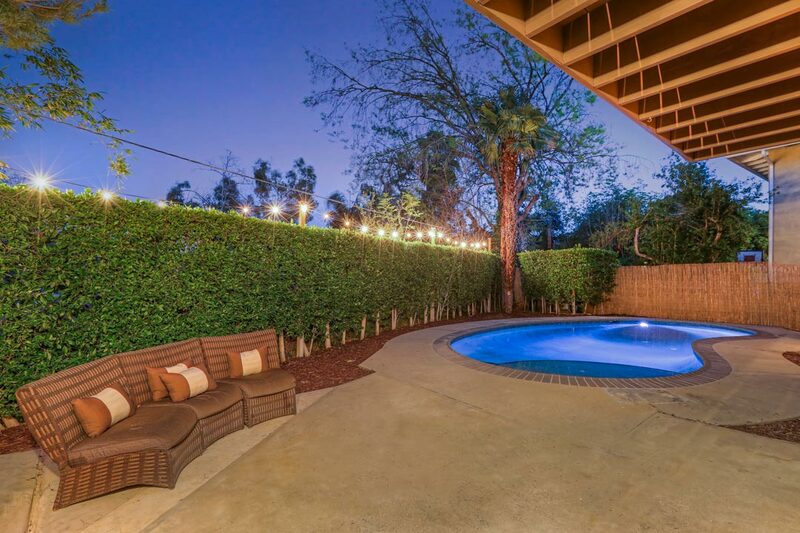 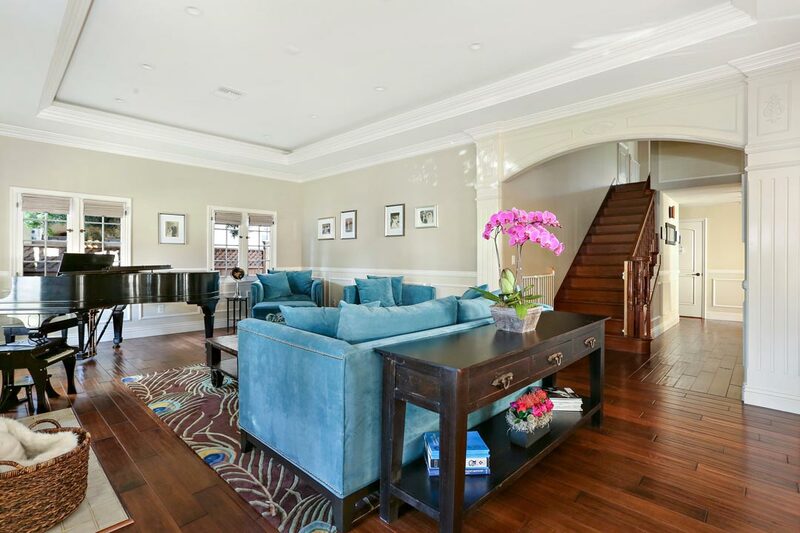 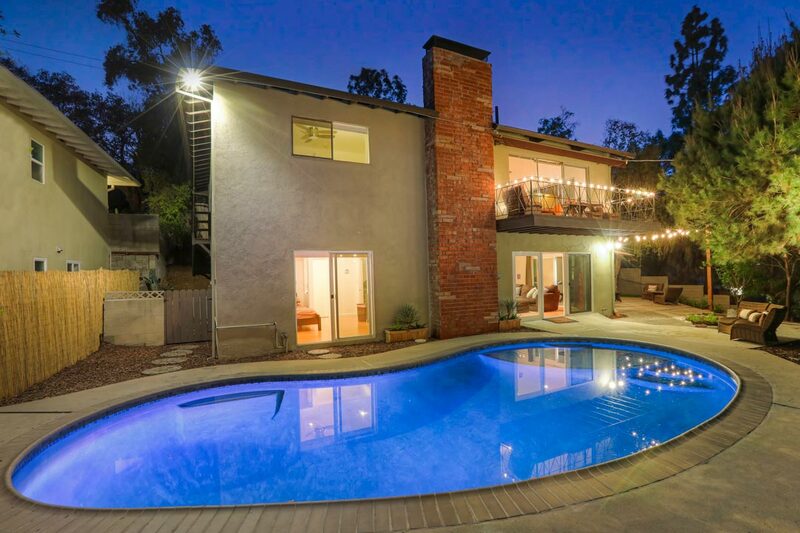 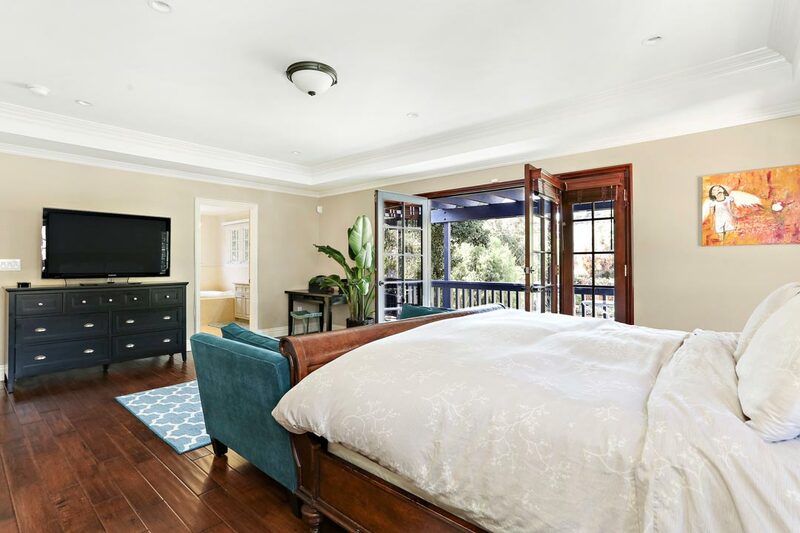 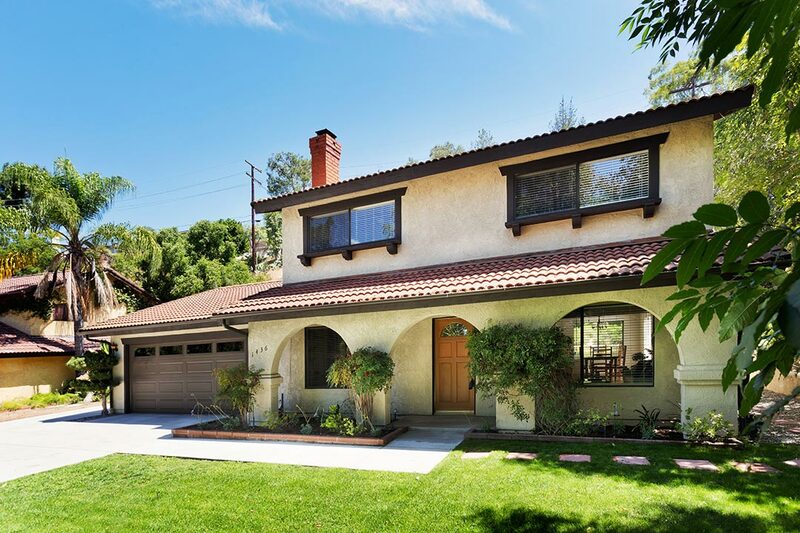 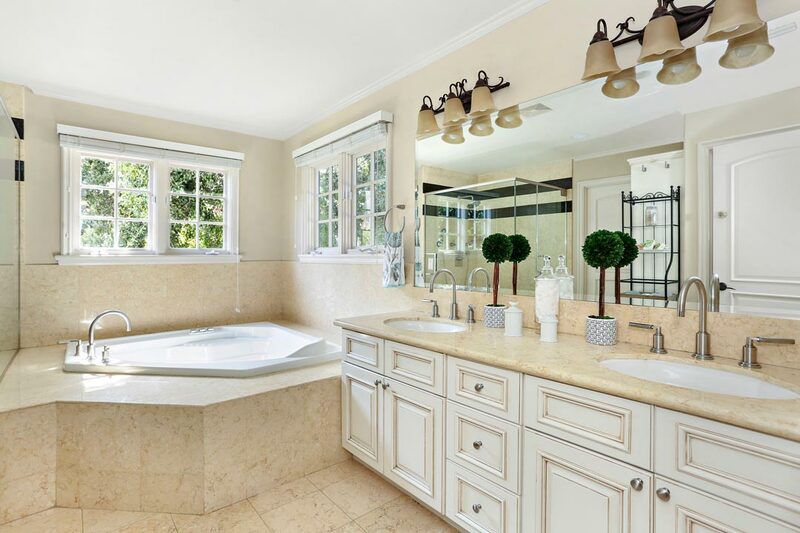 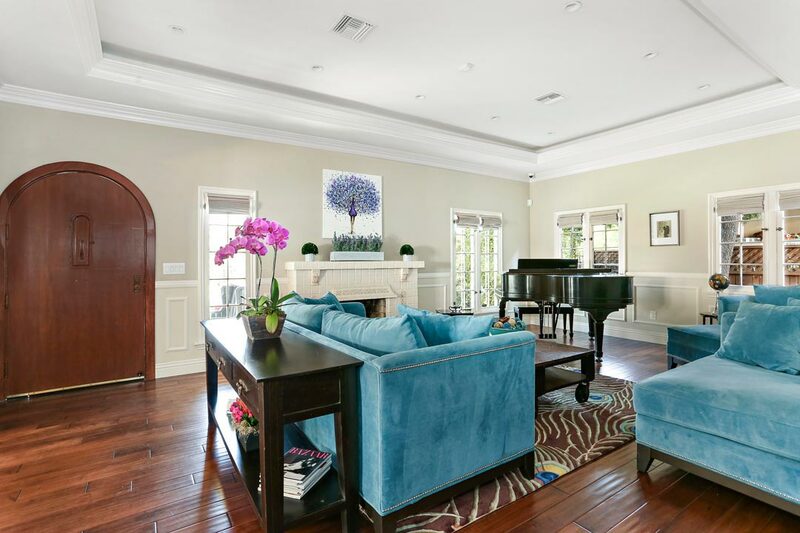 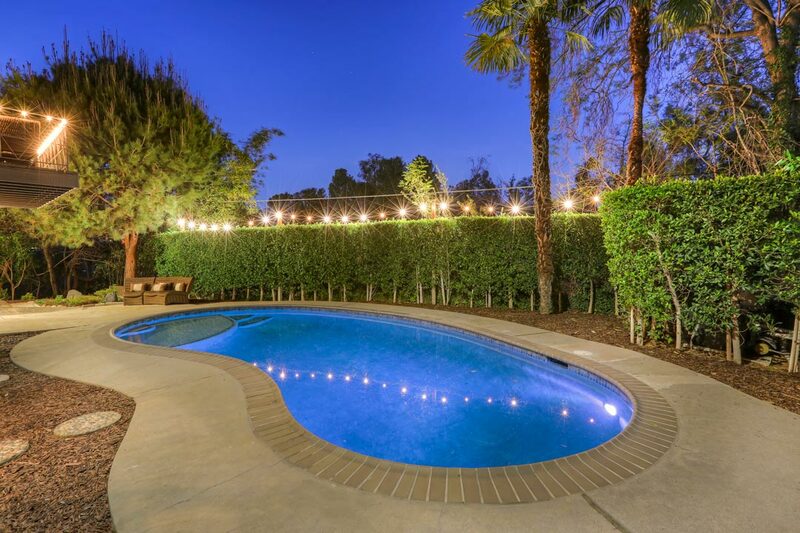 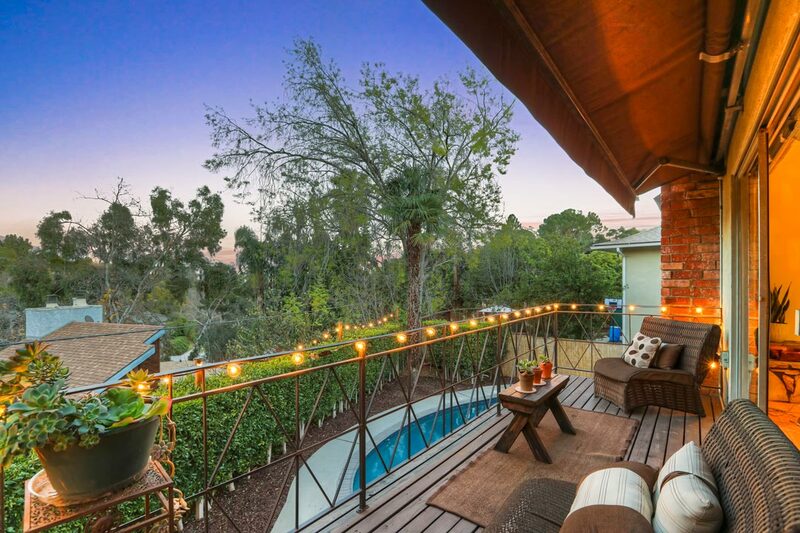 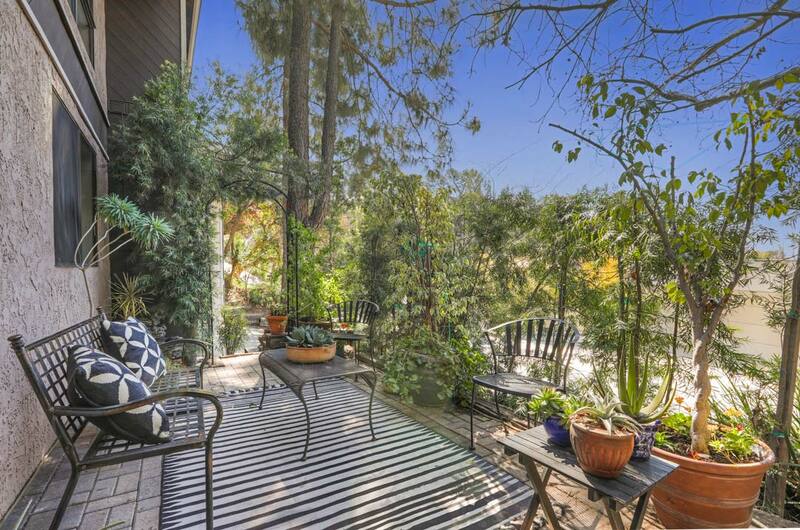 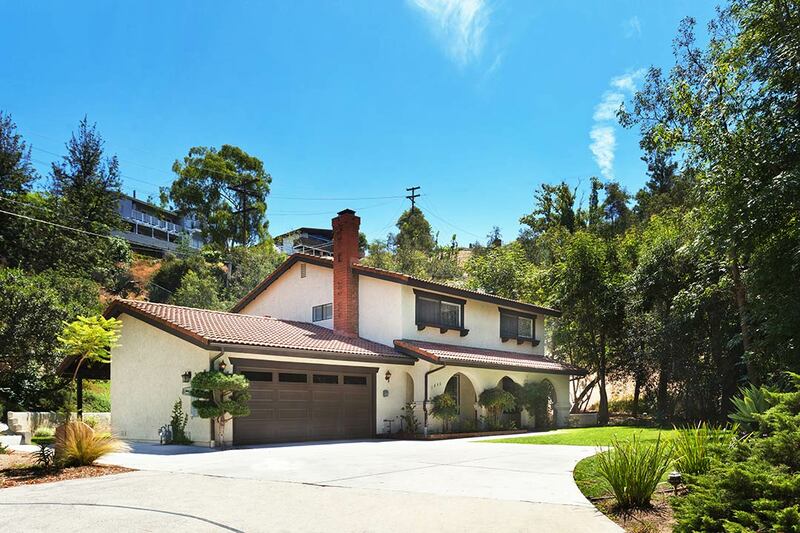 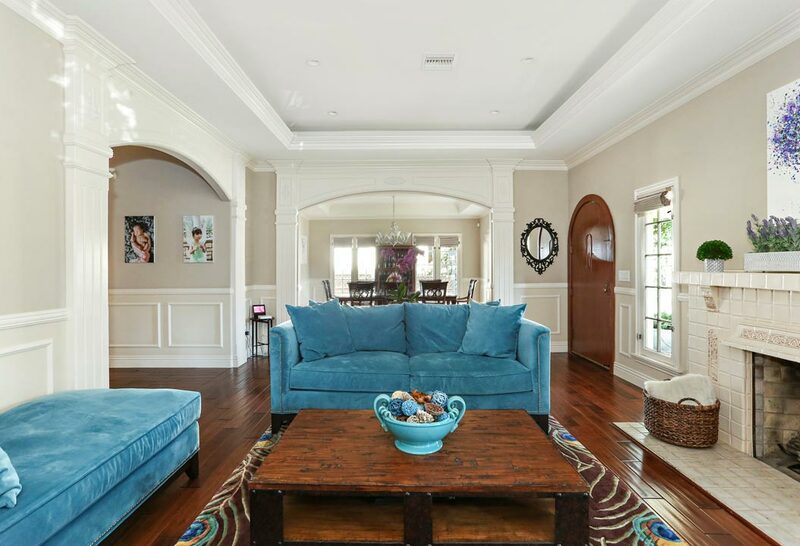 Find tremendous value in this stately two-level home in a leafy Pasadena enclave. 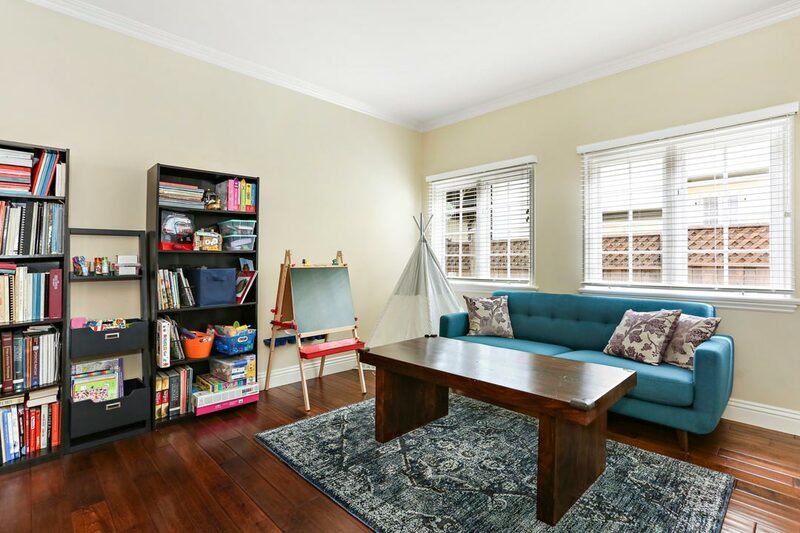 The generous first floor includes a spacious living room, dining, kitchen, and a family room with built-in bookshelves. 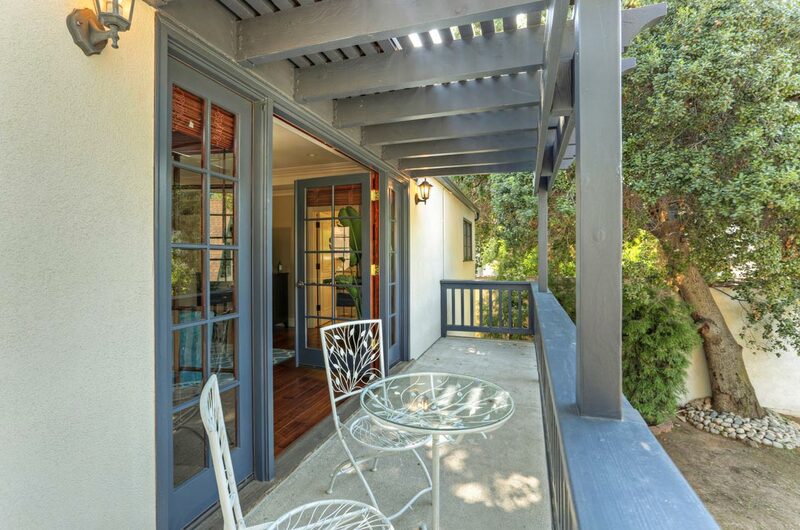 The sun-dappled breakfast area opens to a covered patio, a perfect spot to start your day. 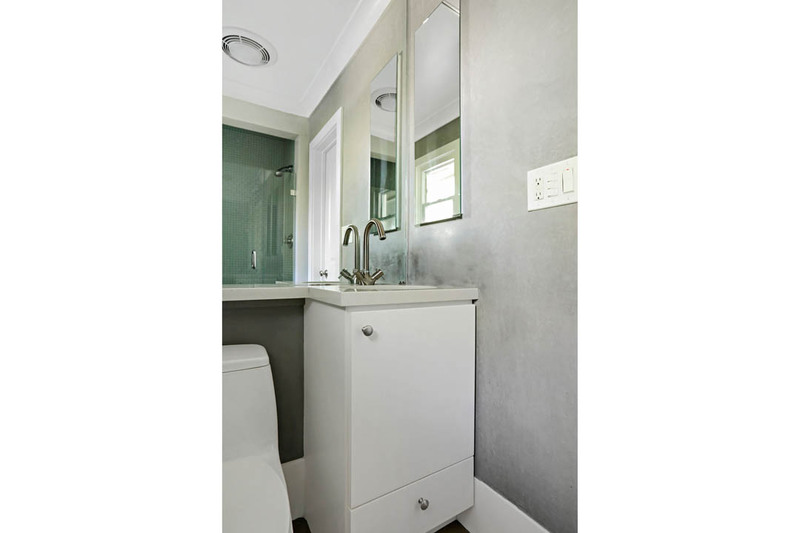 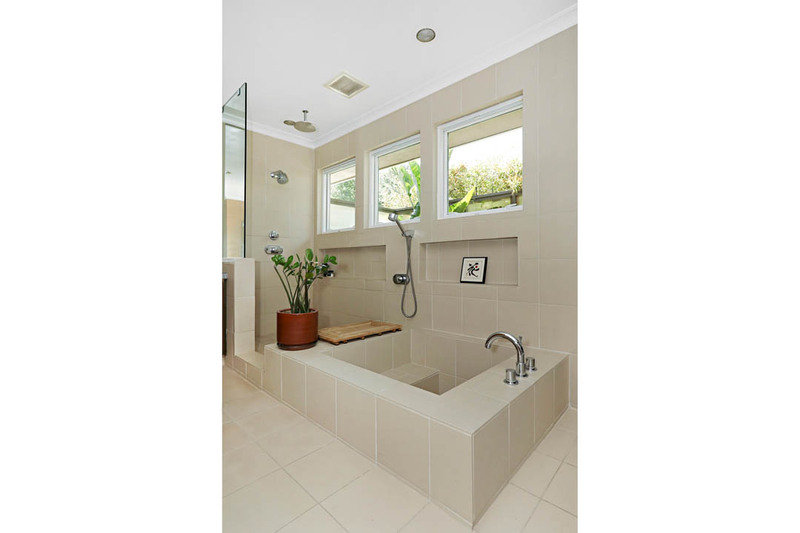 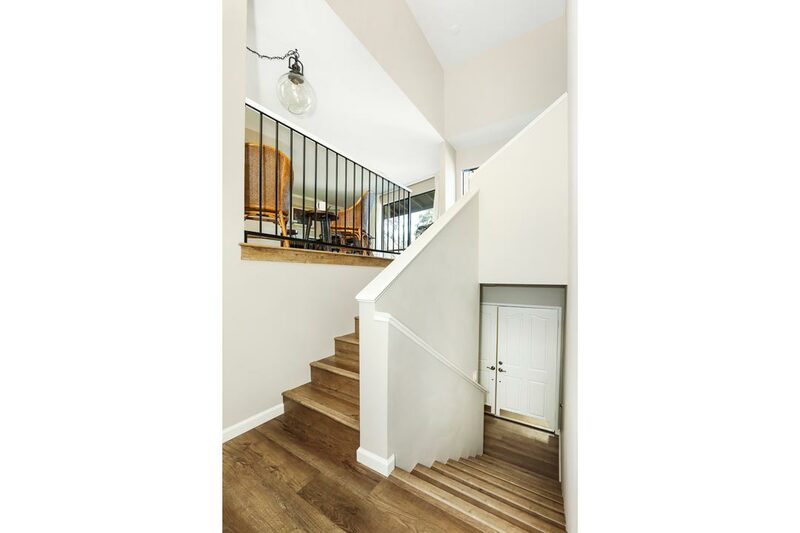 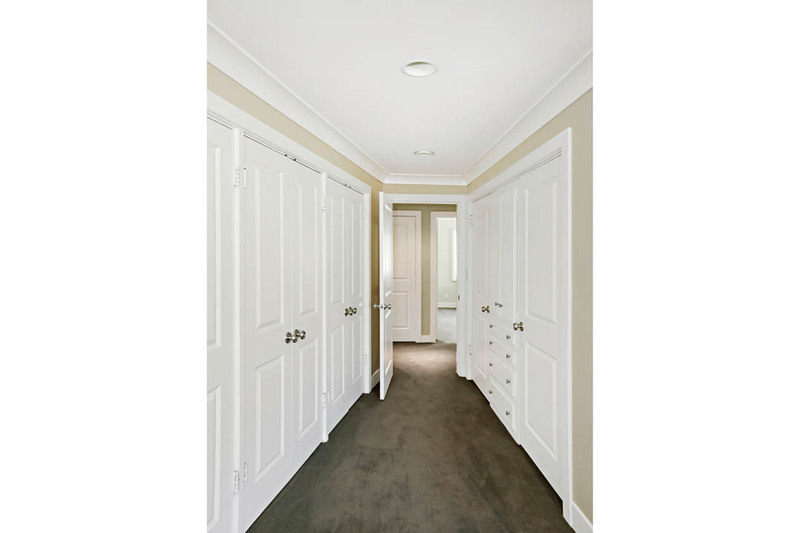 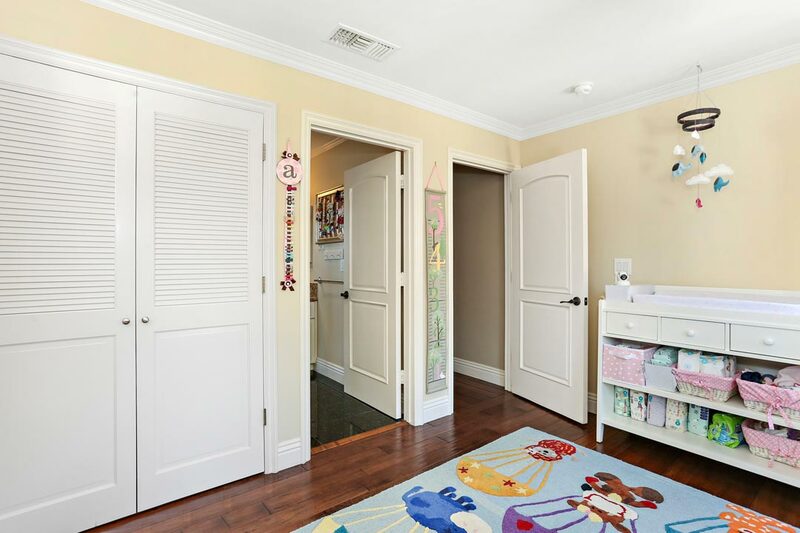 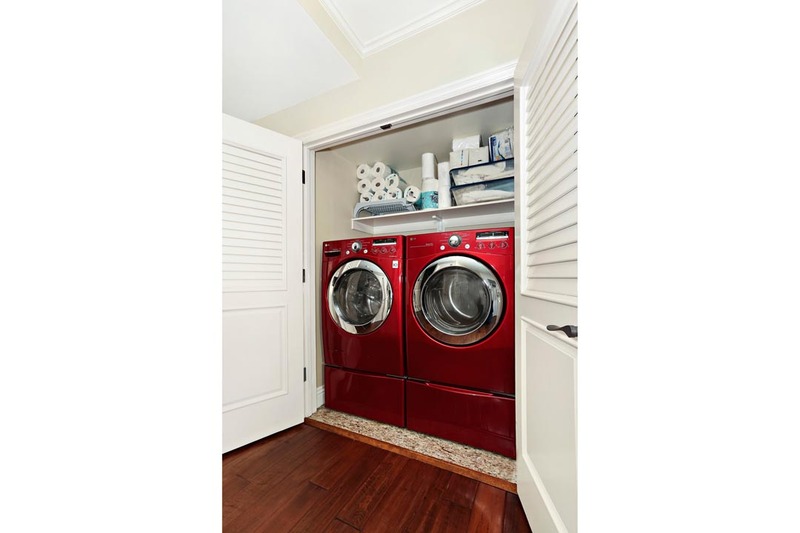 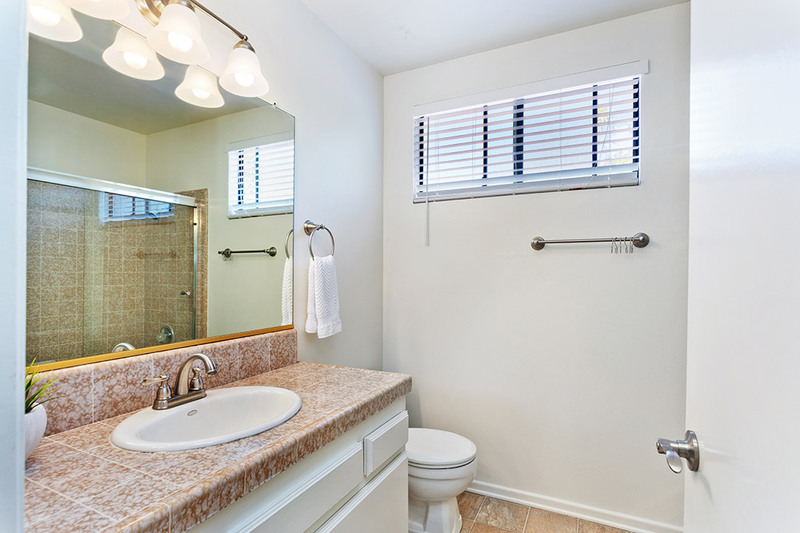 Newer wood flooring flows underfoot and there is a convenient powder room for guests. 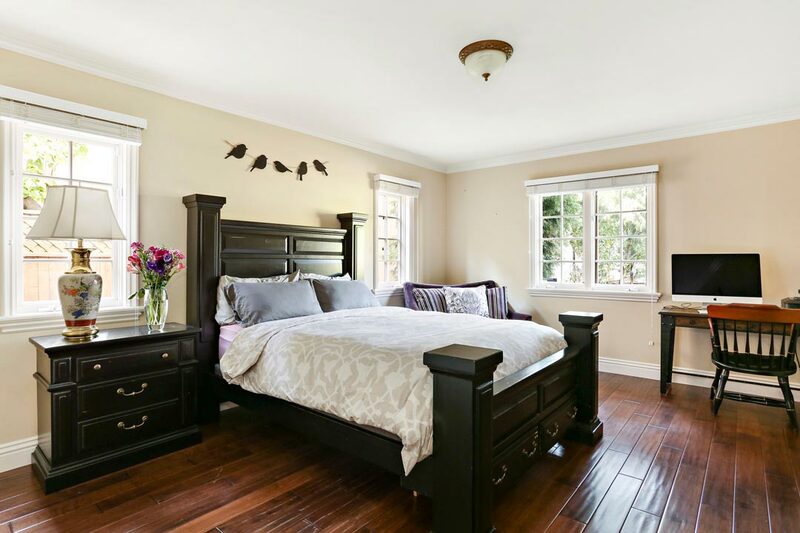 Upstairs, four bedrooms await including a large Master with ensuite bathroom. 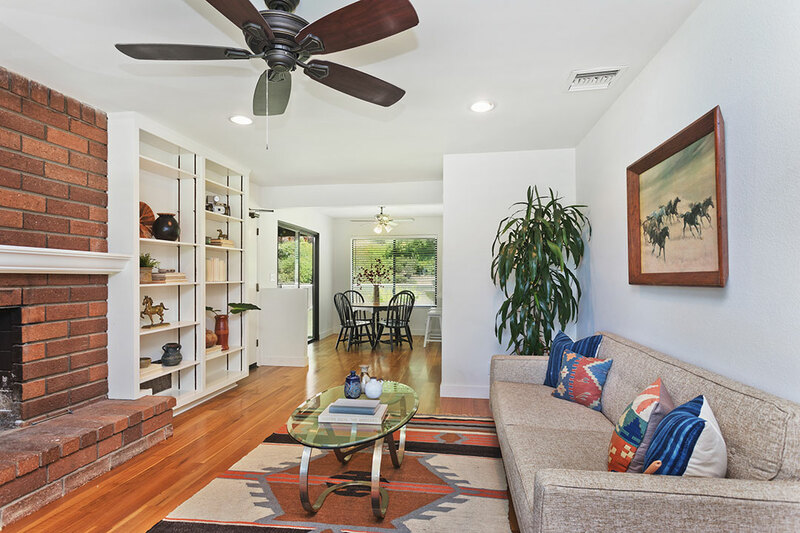 There is central a/c and a directly accessible two-car garage. 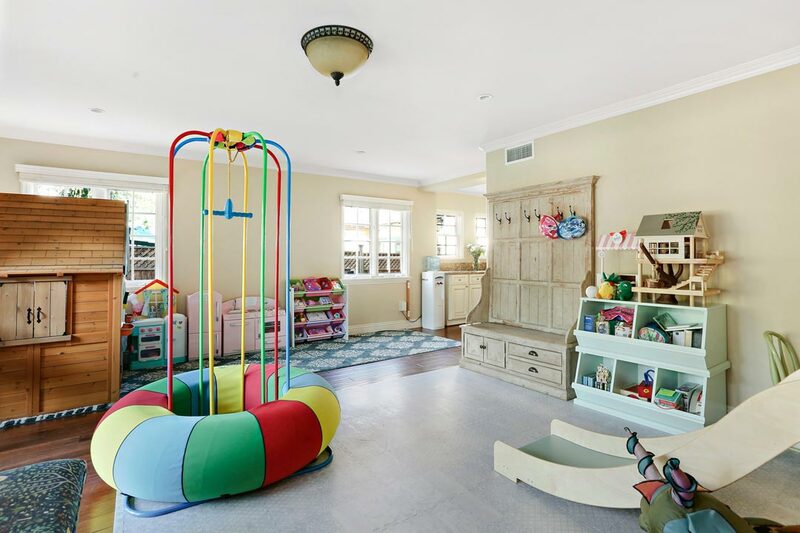 The expansive lot features plenty of flat yard space, a blissful setting for entertaining and family time with beautifully landscaped grounds serving as your private park and playground. 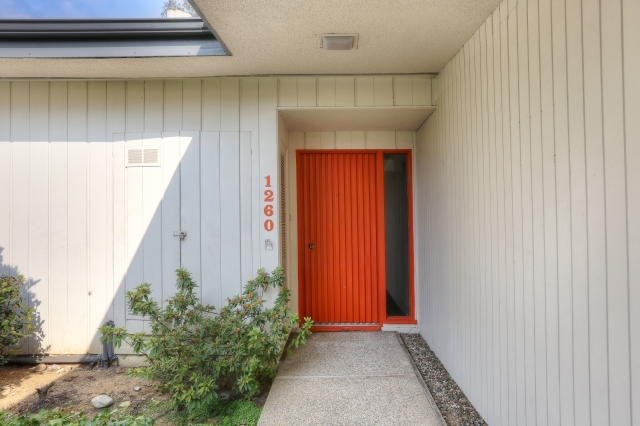 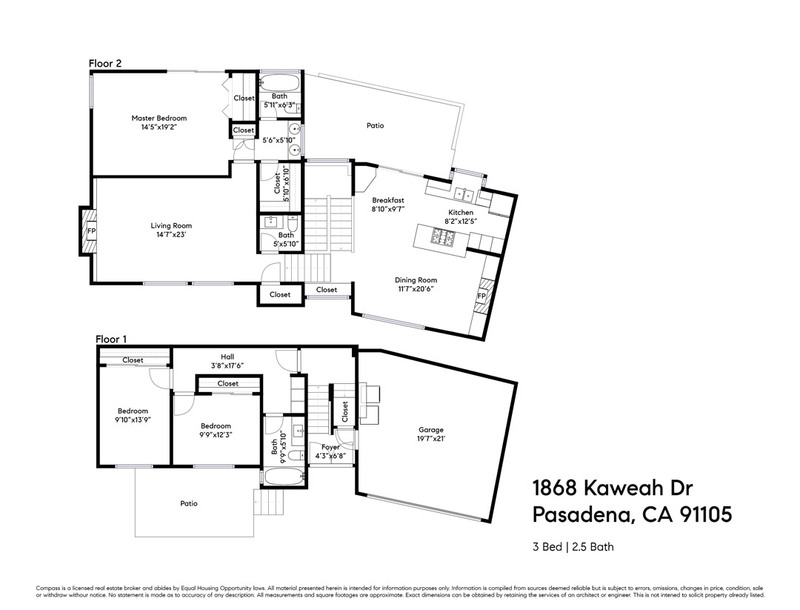 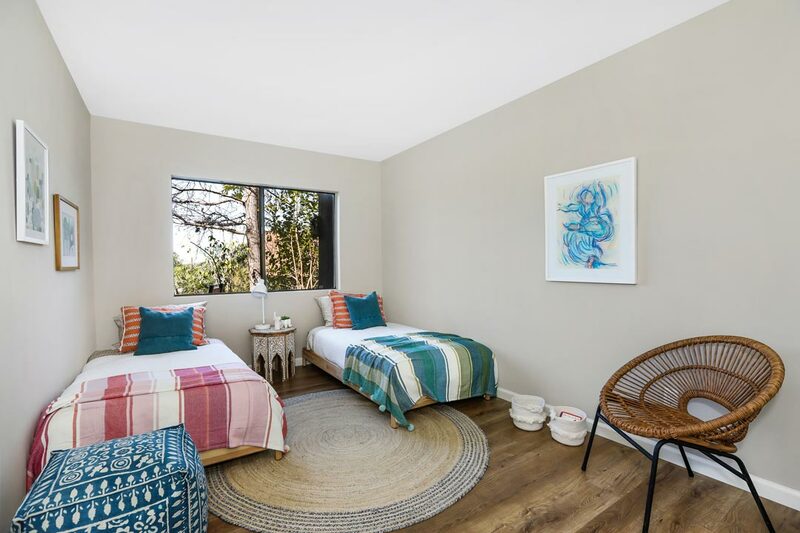 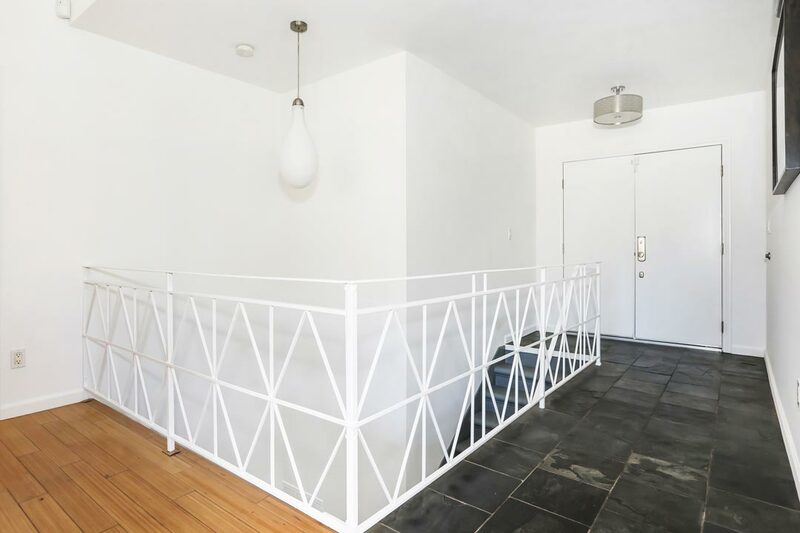 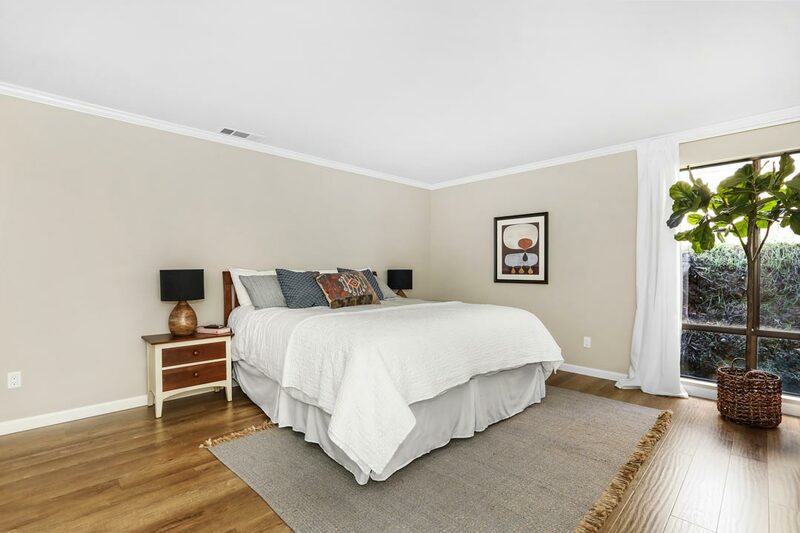 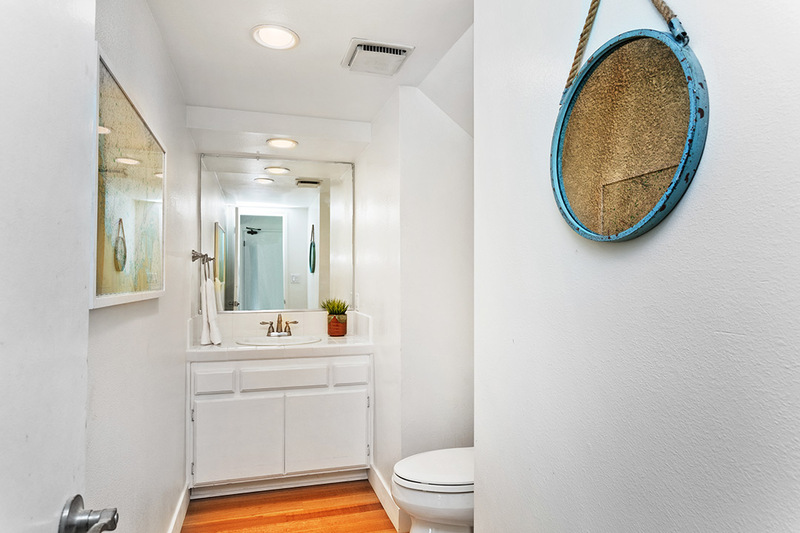 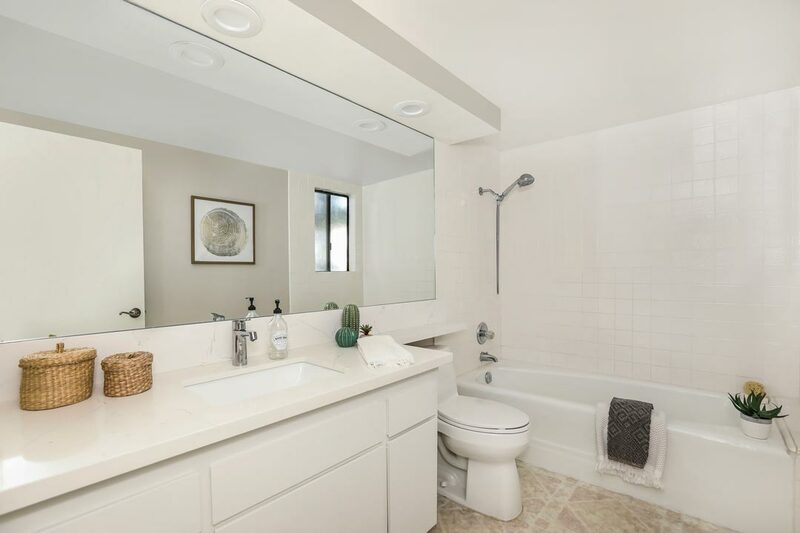 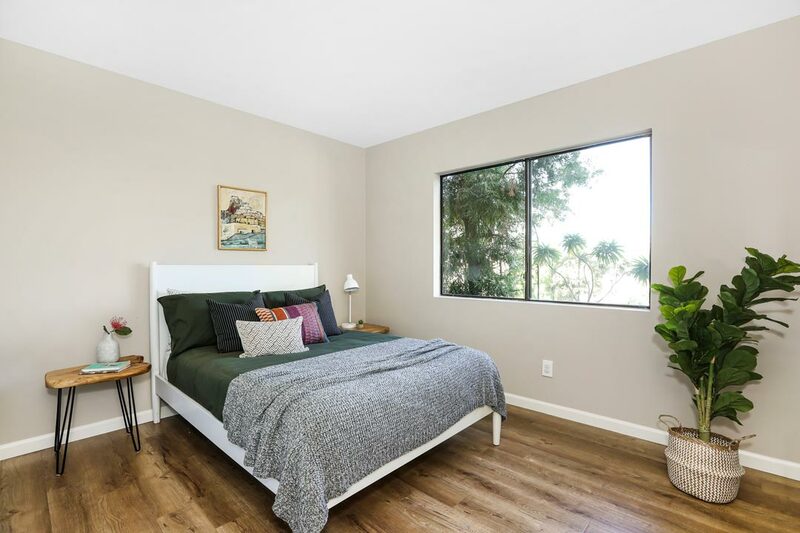 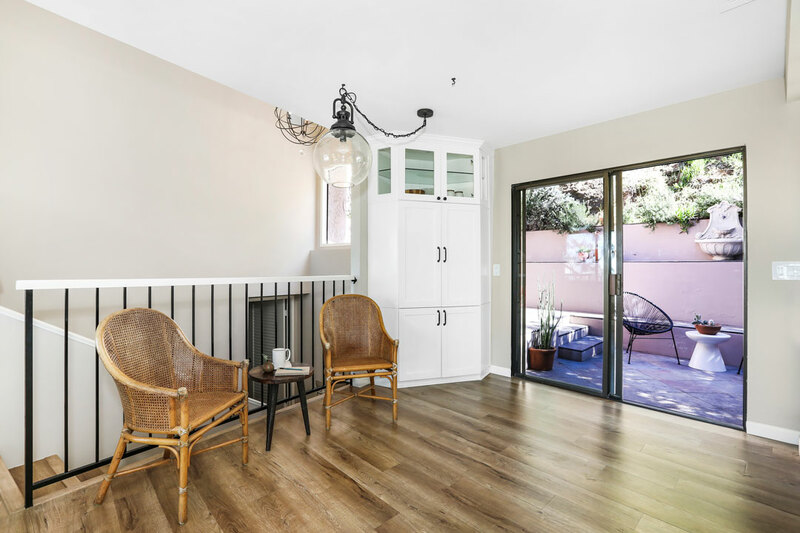 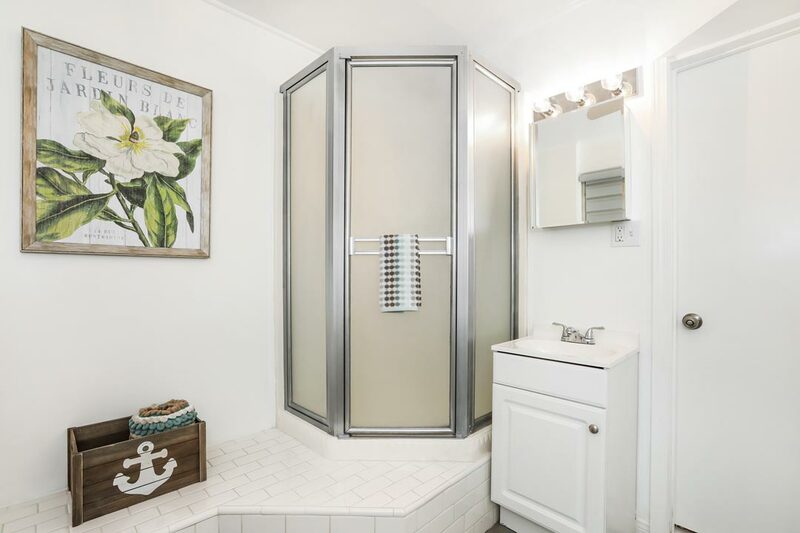 This excellent location puts you equidistant to shopping and dining options in both Old Town Pasadena and Eagle Rock, with just over a mile to the nearest Trader Joe’s. 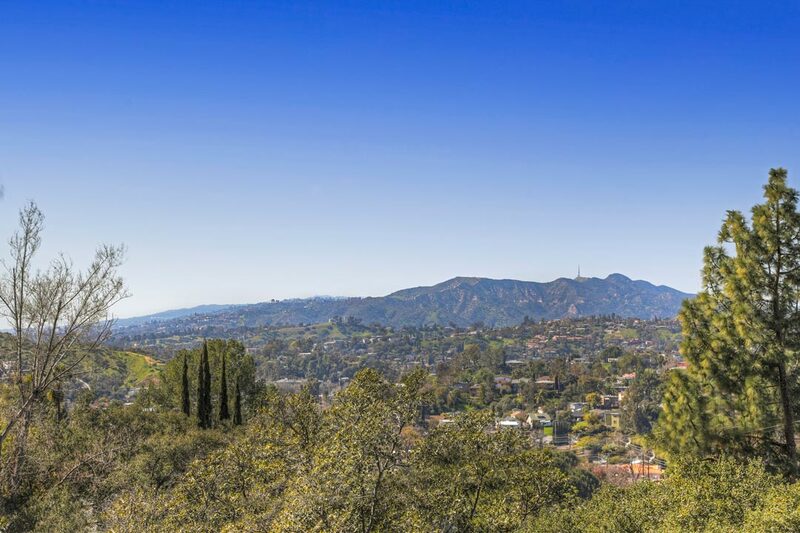 Commuters will find easy access to Downtown LA, NASA-JPL, and entertainment industry hubs in Glendale and Burbank. 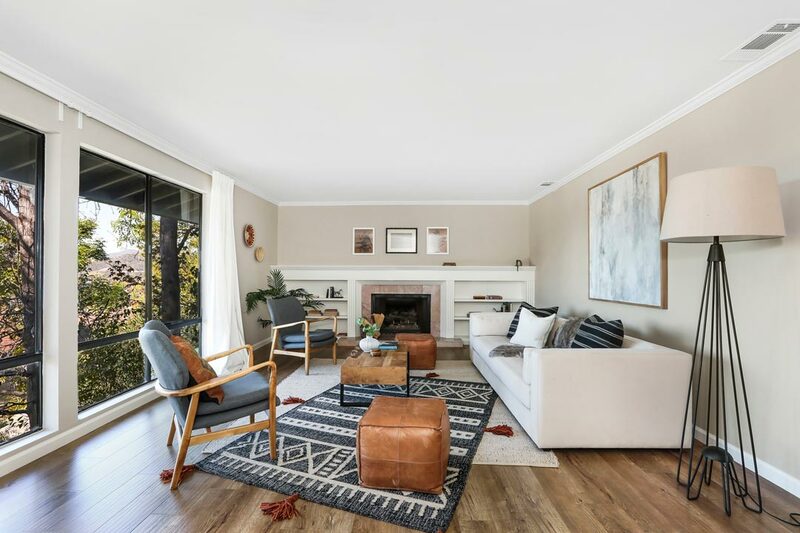 Living Area: 940 Square Ft. / Lot Size: 5,671 Square Ft.
A beautiful single-level home in the desirable Washington Square Landmark District. 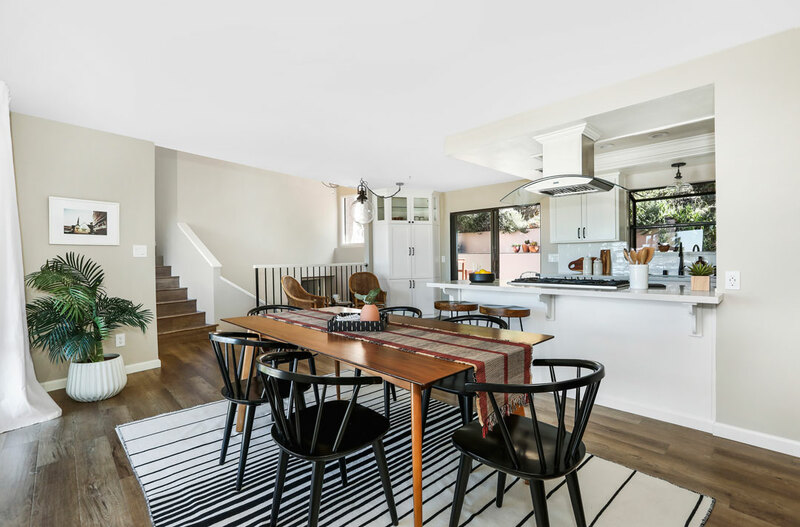 Carefully refurbished with respect to its heritage, many original design elements remain alongside tasteful modern updates. 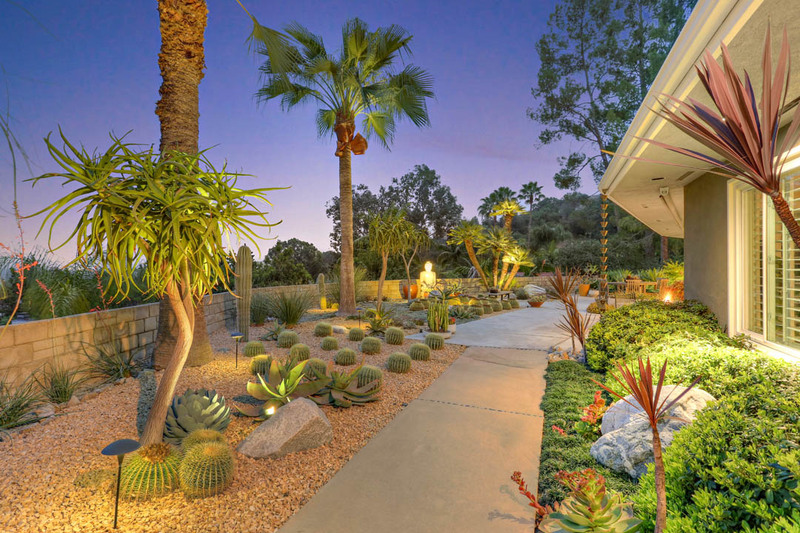 The front garden is planted with drought-tolerant species. 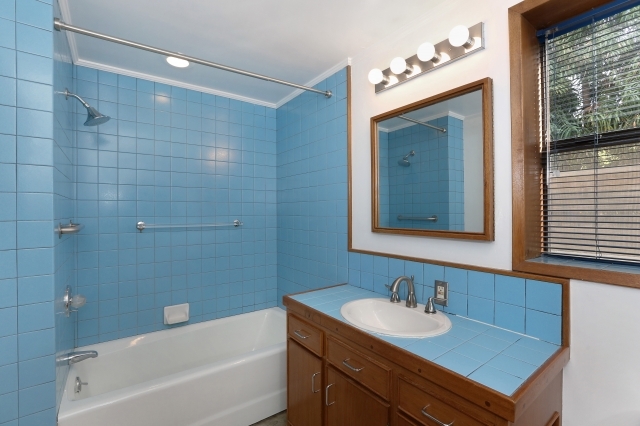 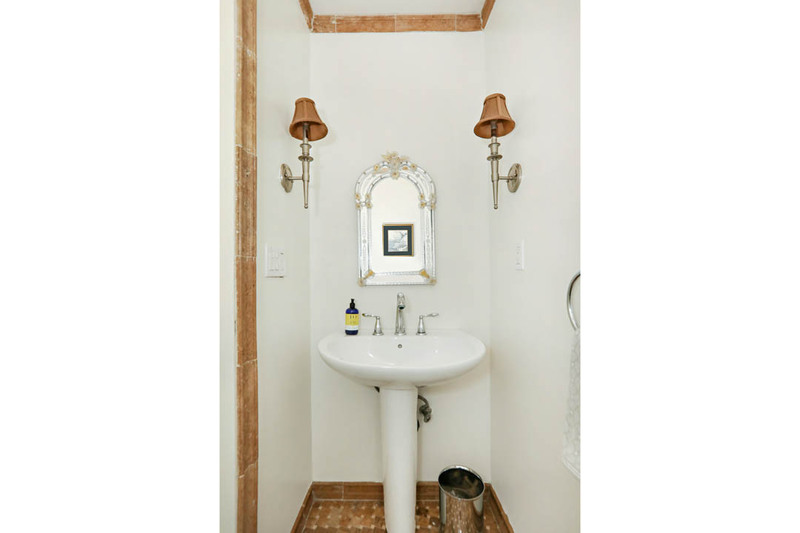 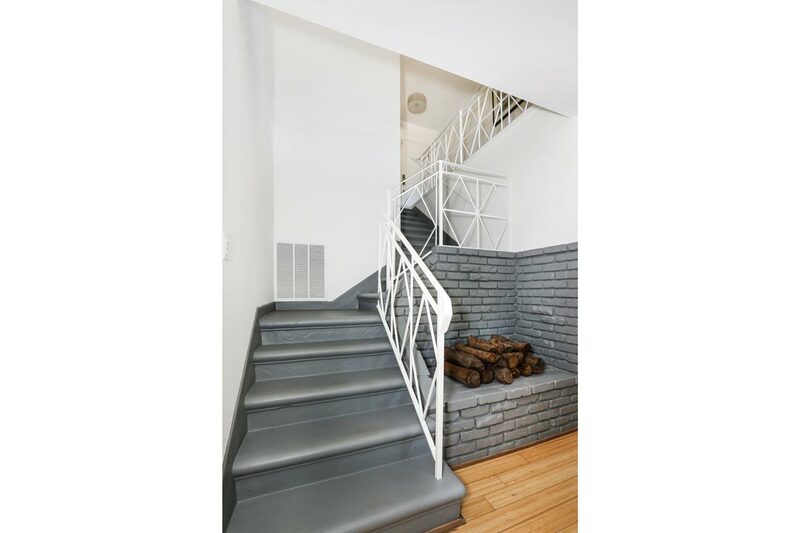 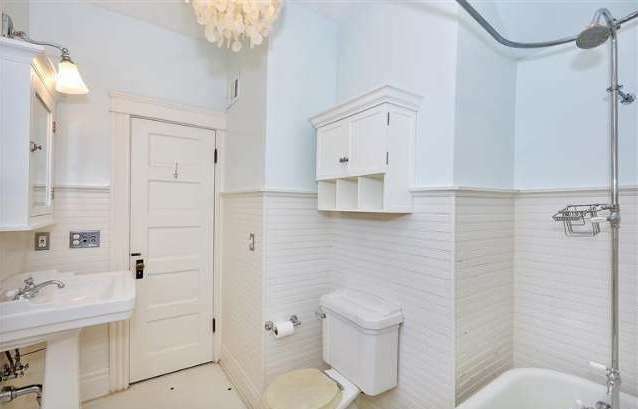 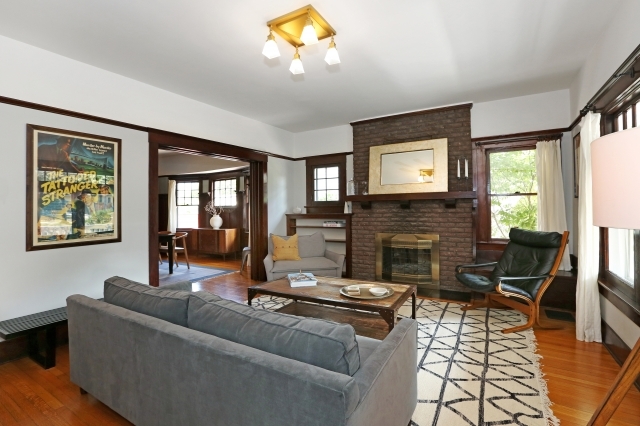 Inside are refinished oakwood floors, original windows and a hearth decorated with rare, authentic Batchelder tile. 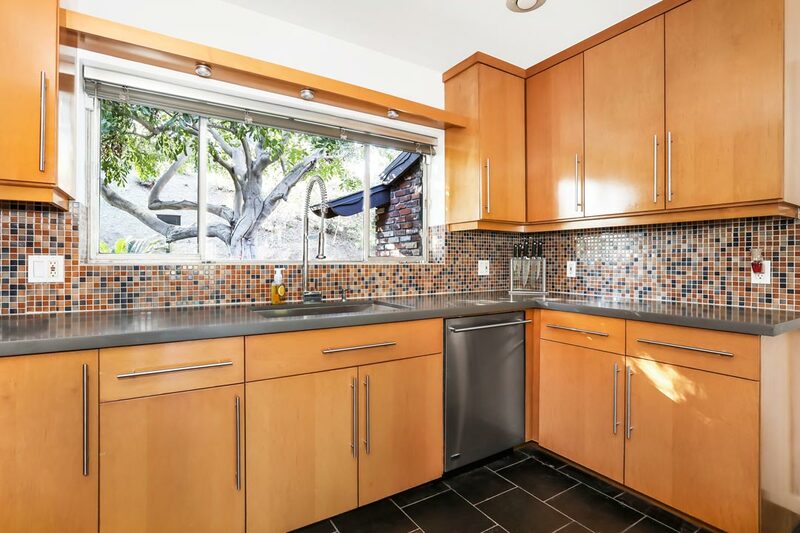 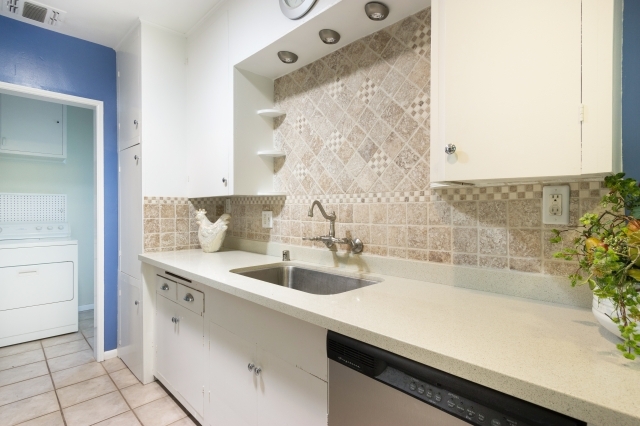 The remodeled kitchen has dark wood cabinets, stone countertops and stainless appliances. 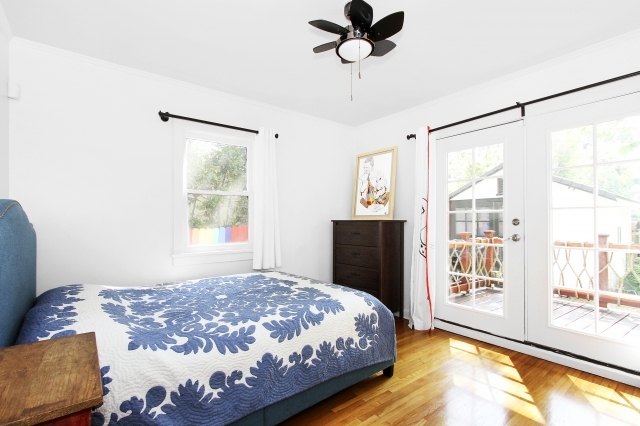 Both bedrooms feature French doors opening to a large rear deck. 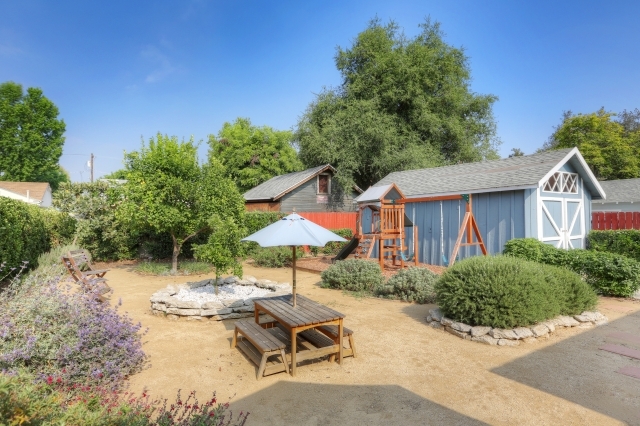 The expansive, flat back yard has mature trees and a wood-chip patio for use as your play area or a BBQ and dining spot. 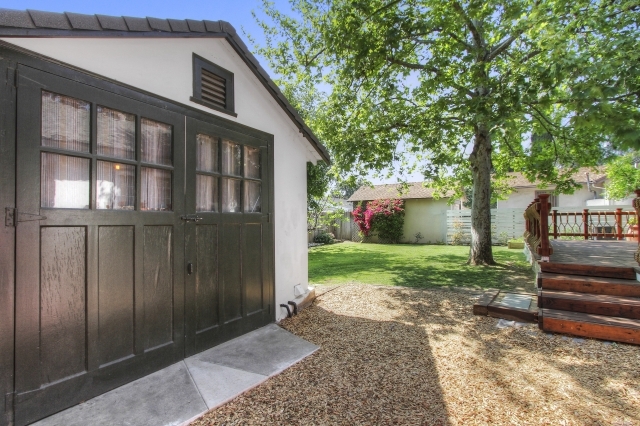 A garage conversion provides a finished, rustic-modern space; it is your detached office, laundry or a storage shed. 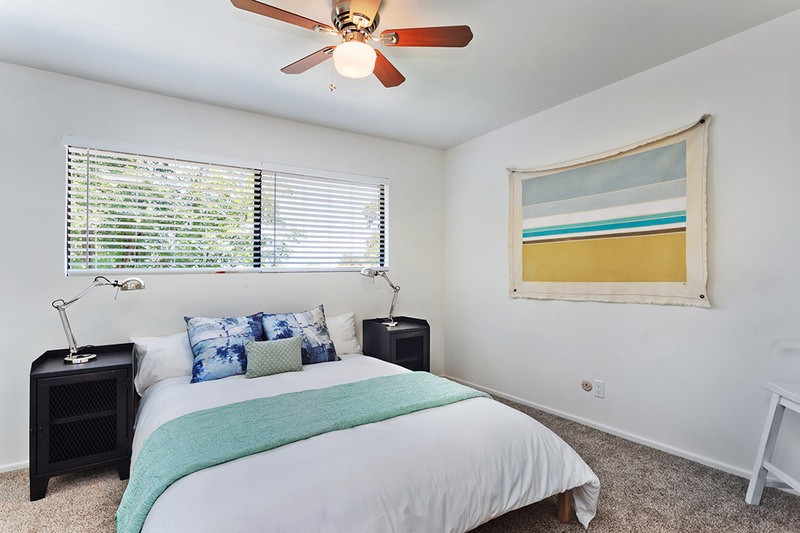 The Washington Square Landmark District is known for its strong sense of community, very well located near Washington Park with easy access to the Rose Bowl, Playhouse District, Old Town, and the 210 and 134 freeways. 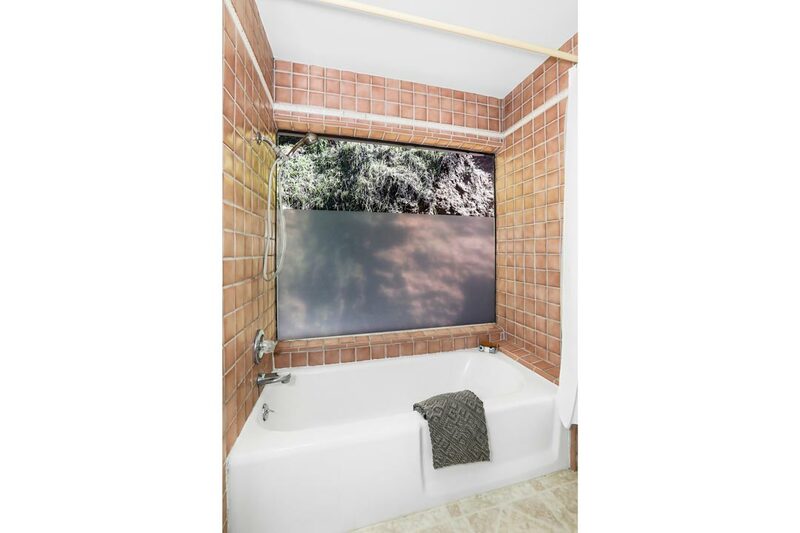 Co-listed with Hanna Azboy. 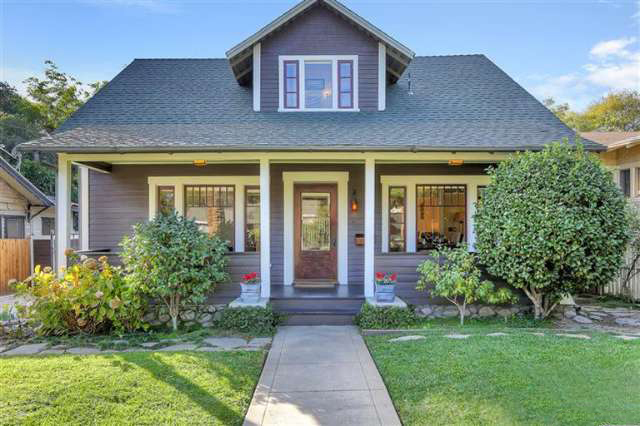 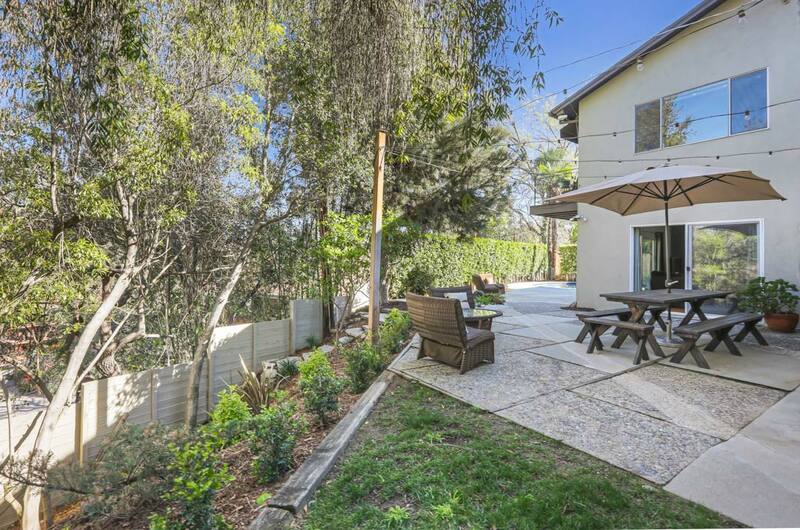 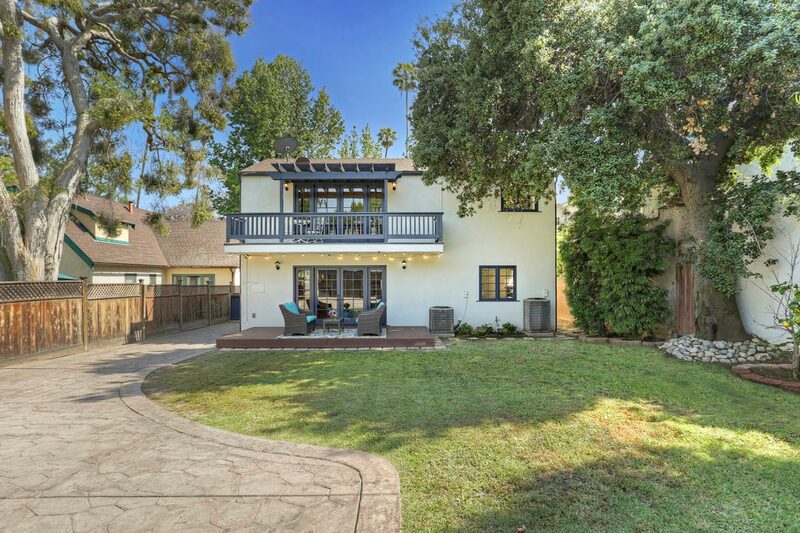 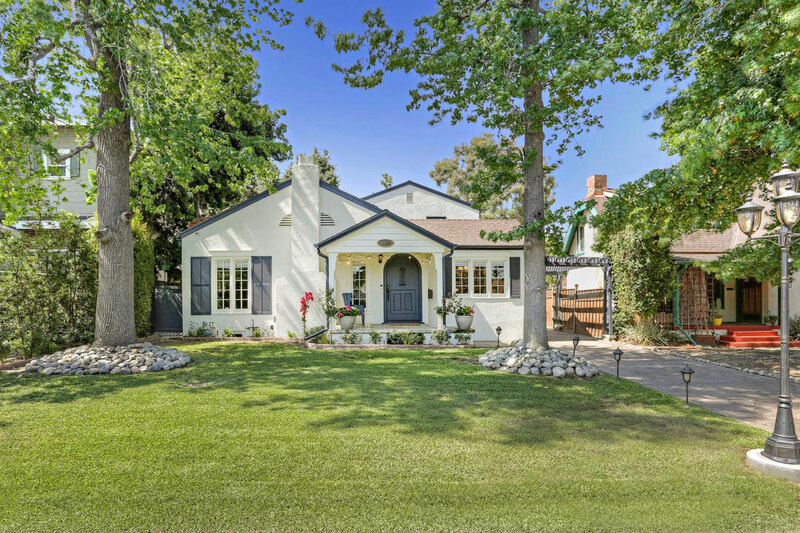 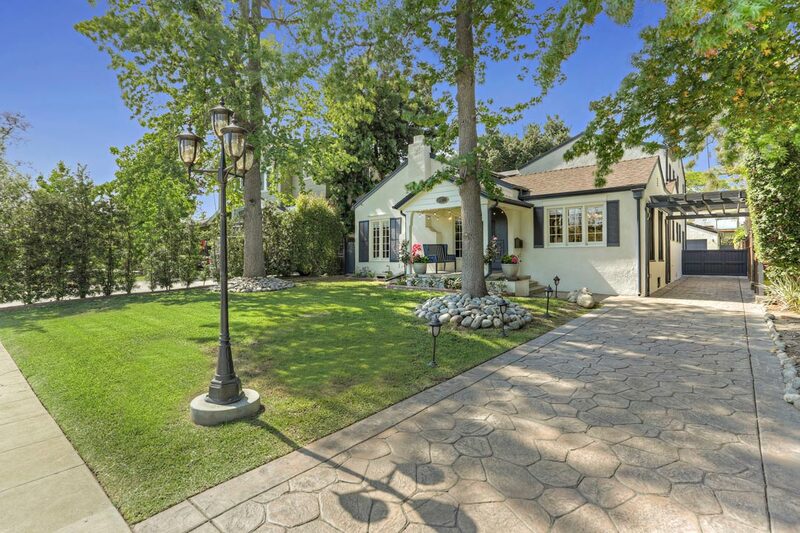 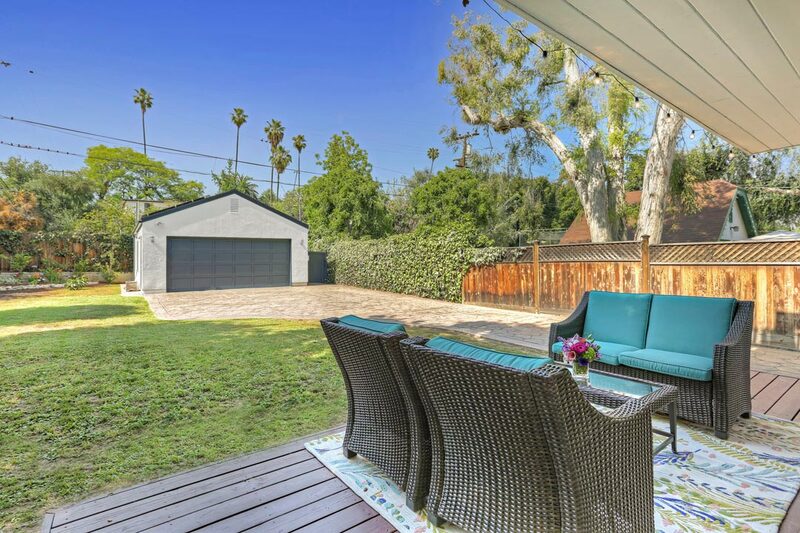 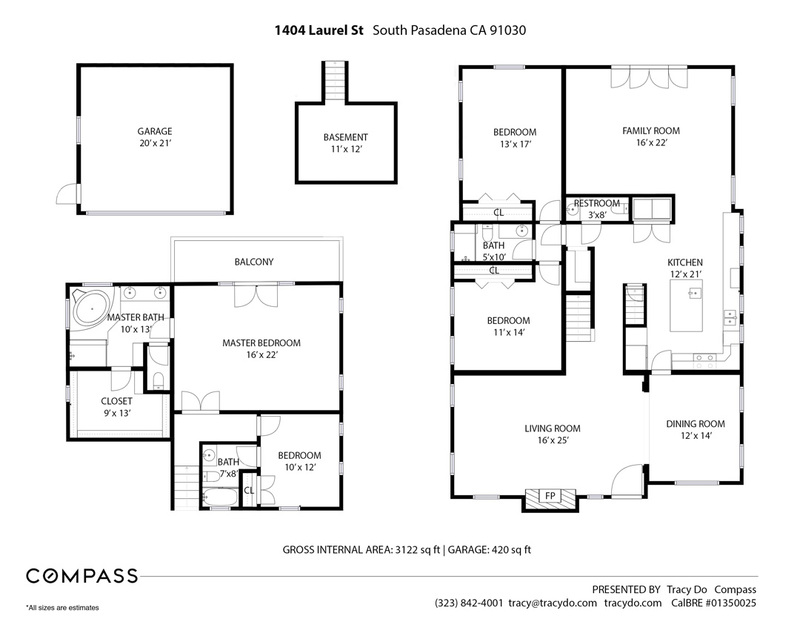 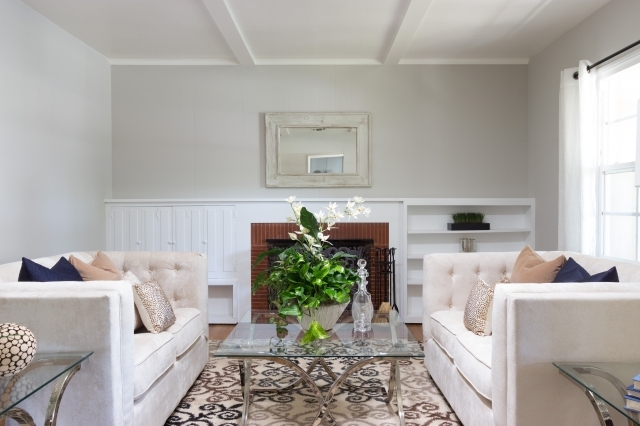 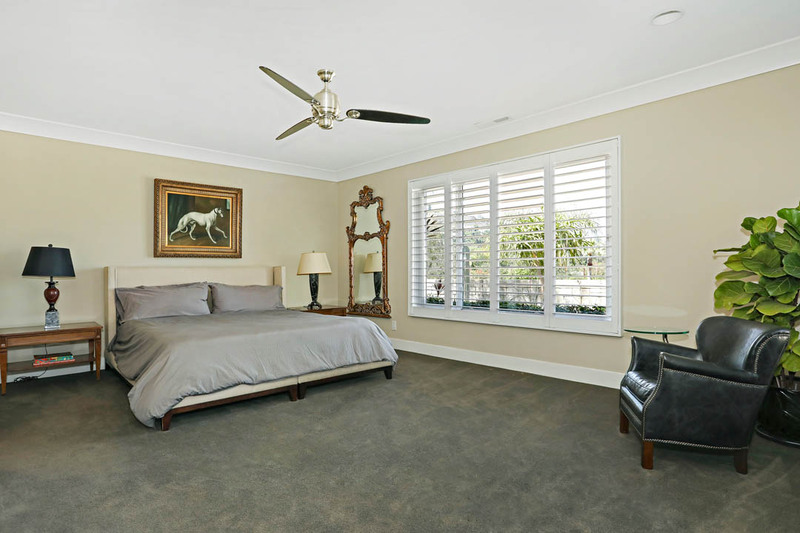 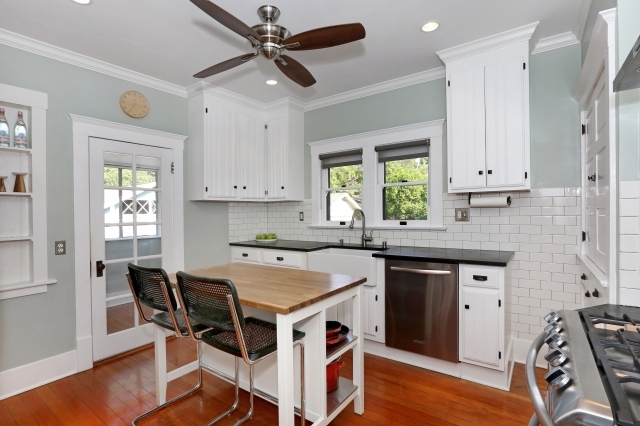 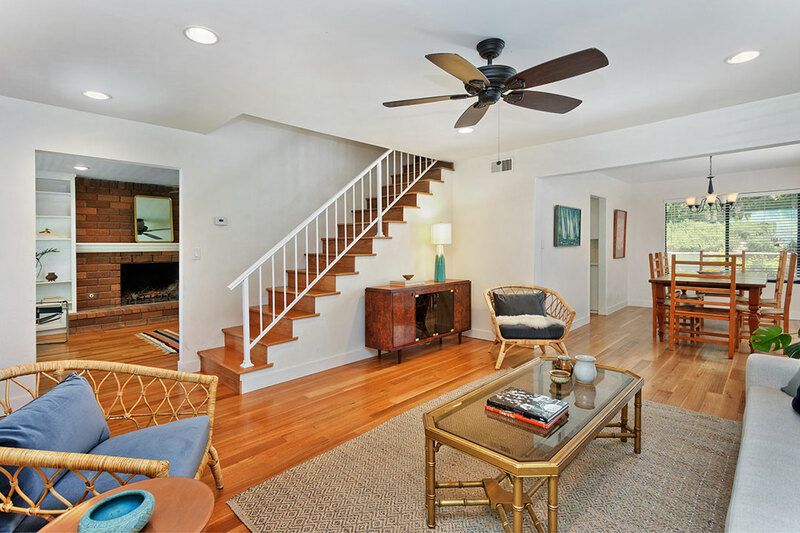 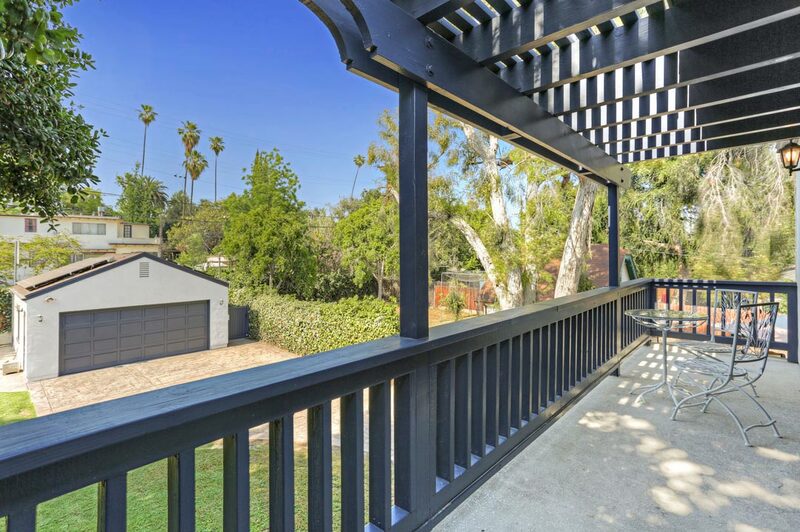 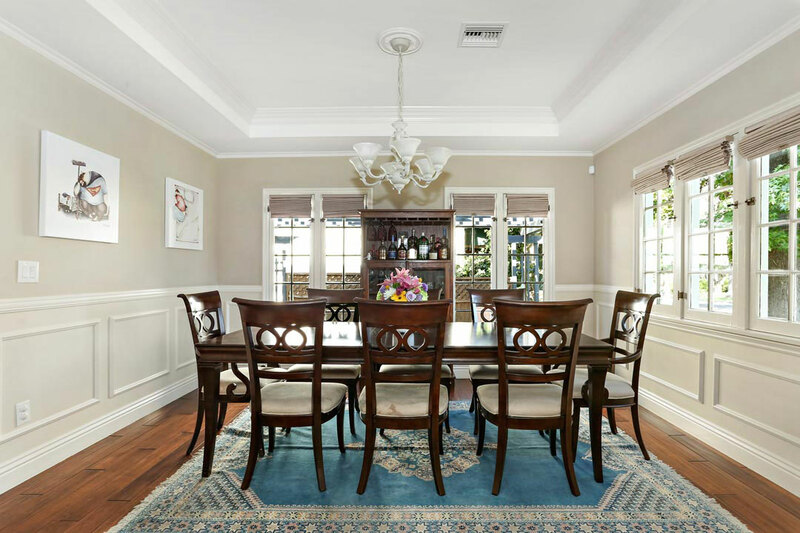 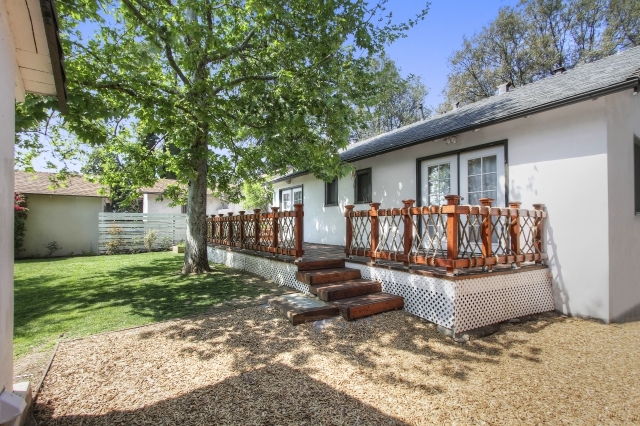 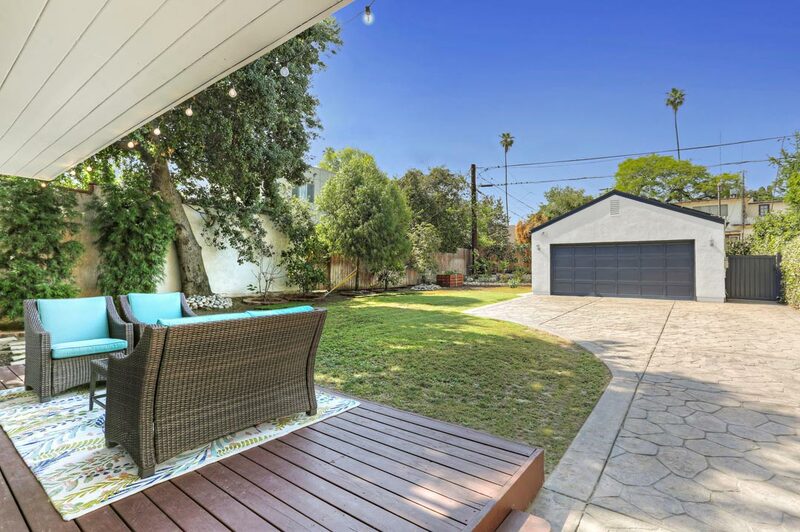 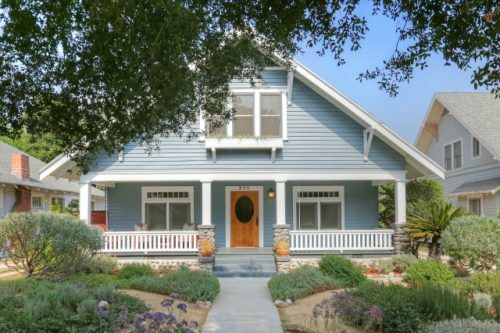 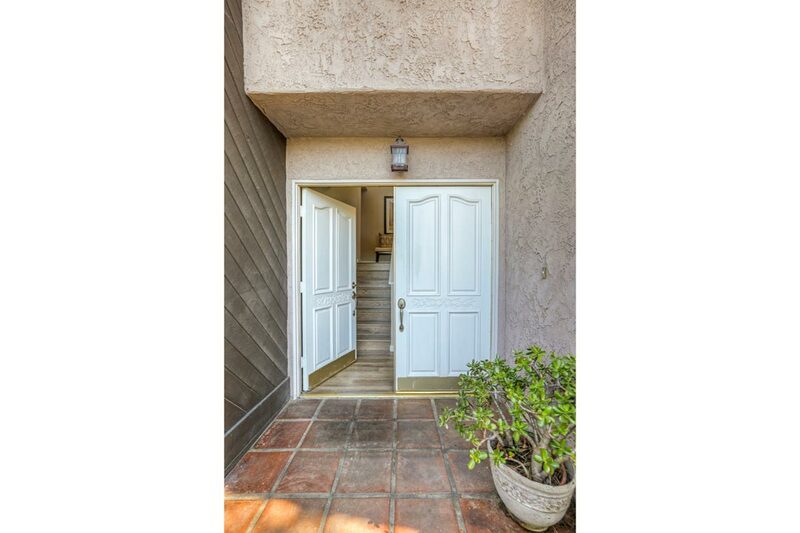 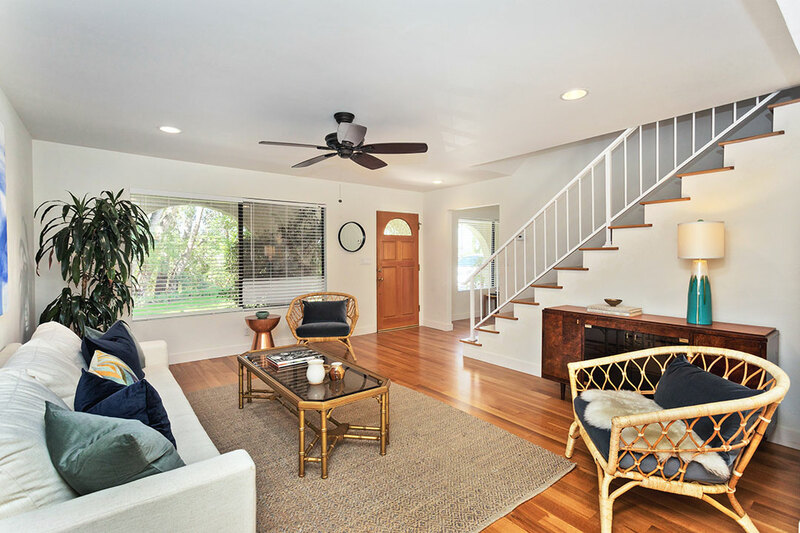 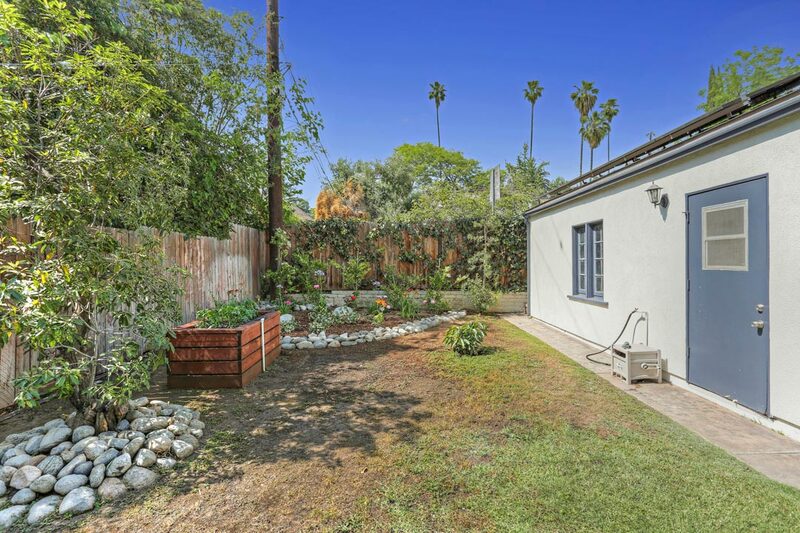 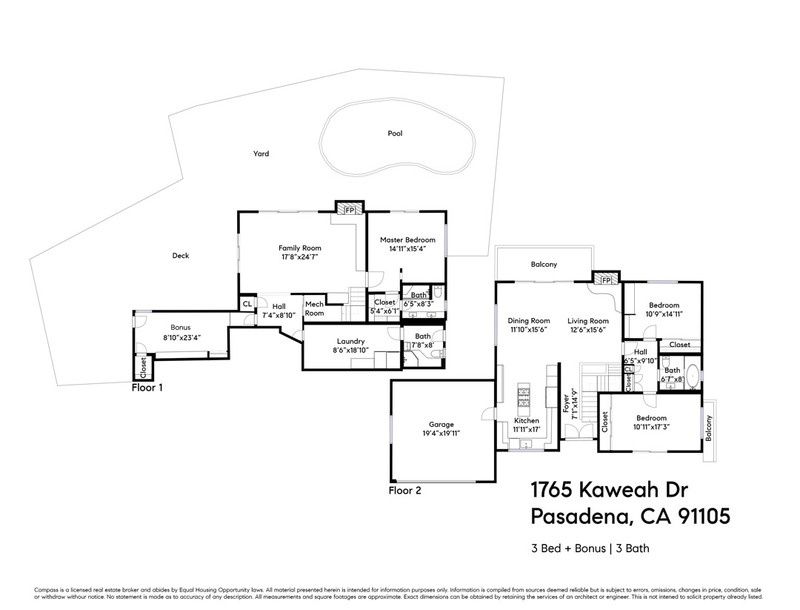 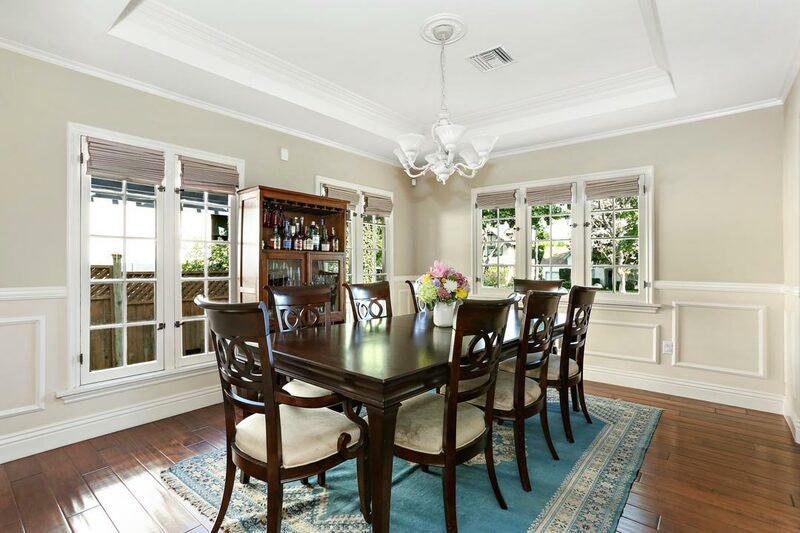 Living Area: 1760 Square Ft. / Lot Size: 7,931 Square Ft.
A Pasadena traditional behind a white picket fence. 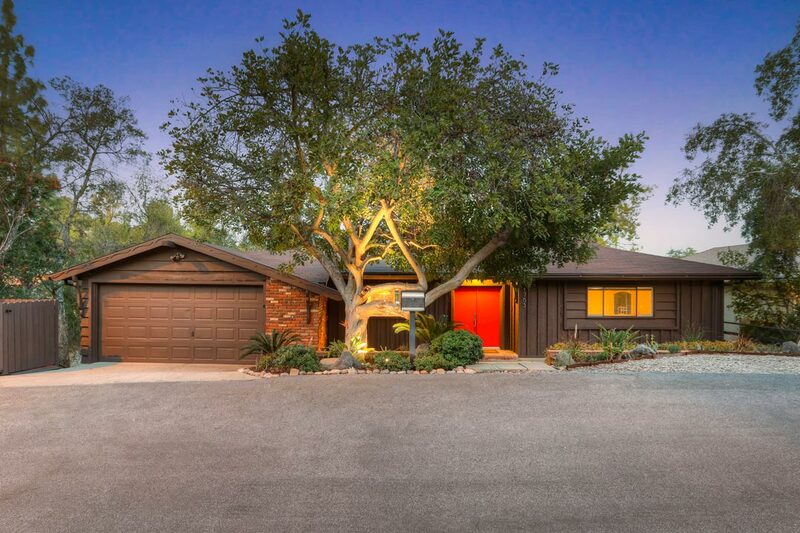 This updated single-level residence in coveted Hastings Ranch delivers the bed and bath count you need plus a large flat yard. 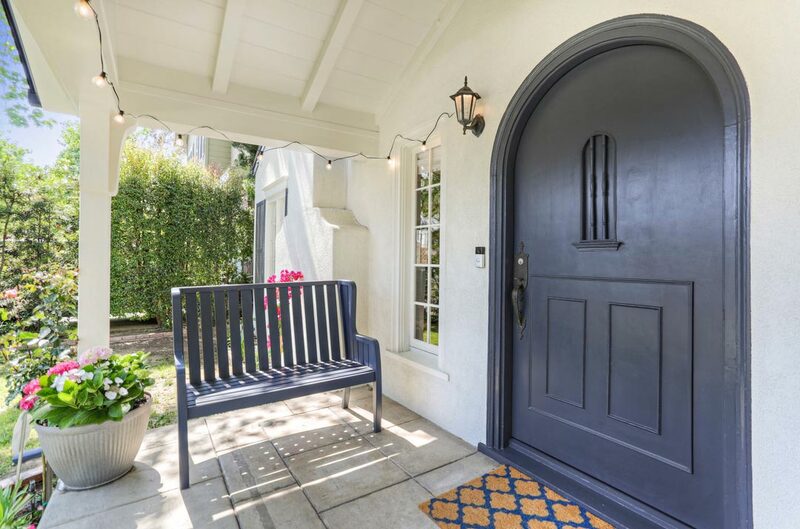 On a quiet street the front yard and porch set the scene. 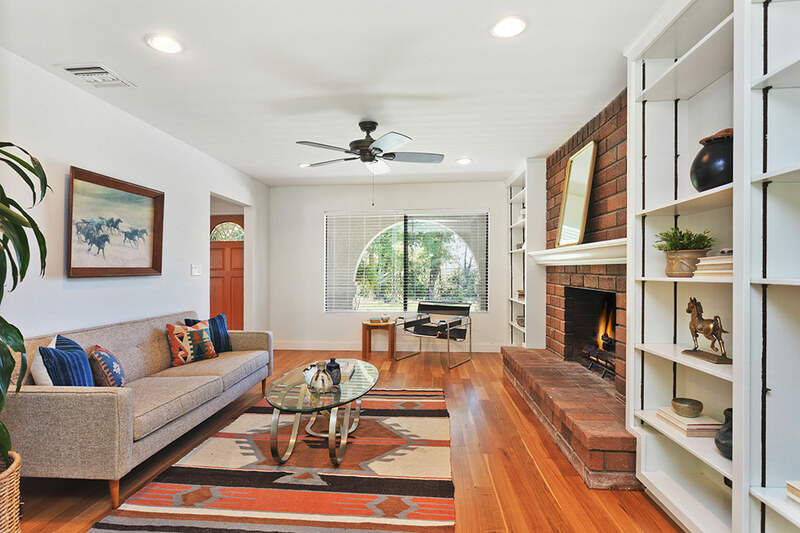 Enter the living room finished with wood floors, built-ins and recessed lighting. 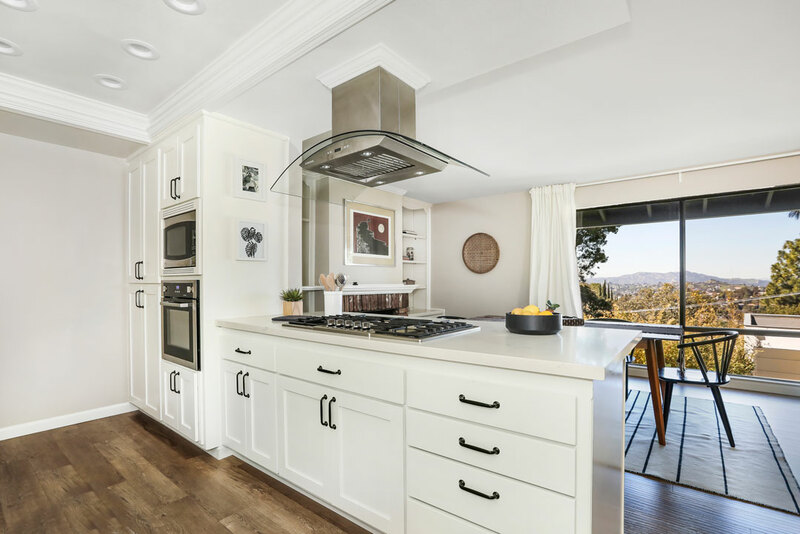 Formal dining opens to an updated kitchen with stainless steel appliances, Caesarstone countertops and a full-height custom tile backsplash. 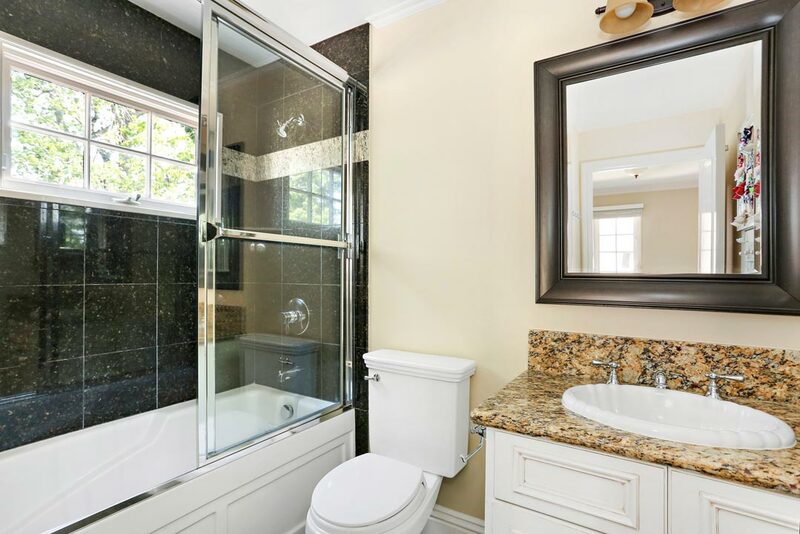 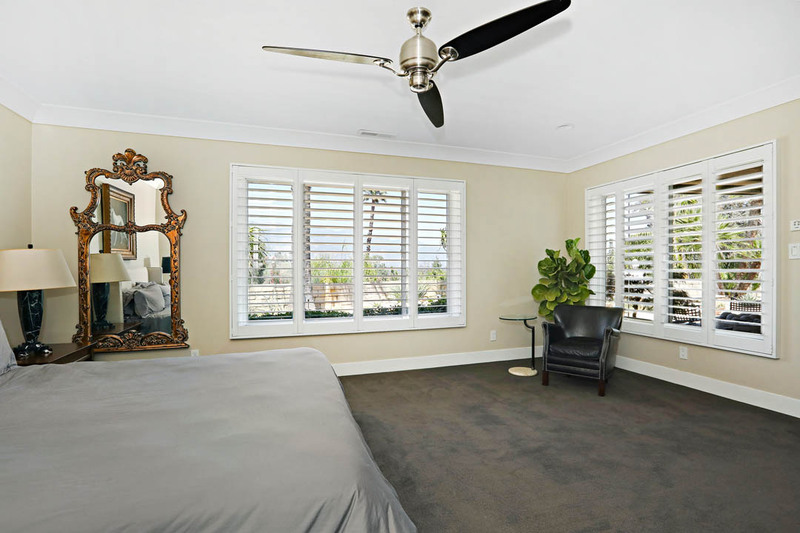 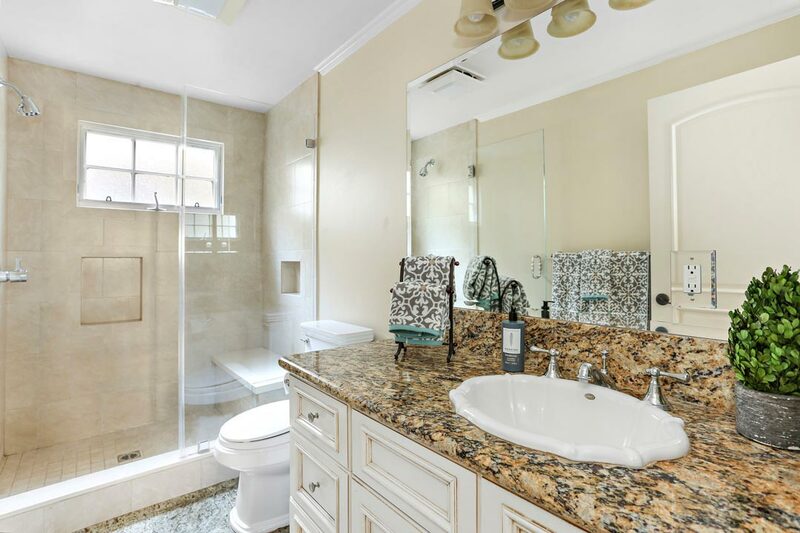 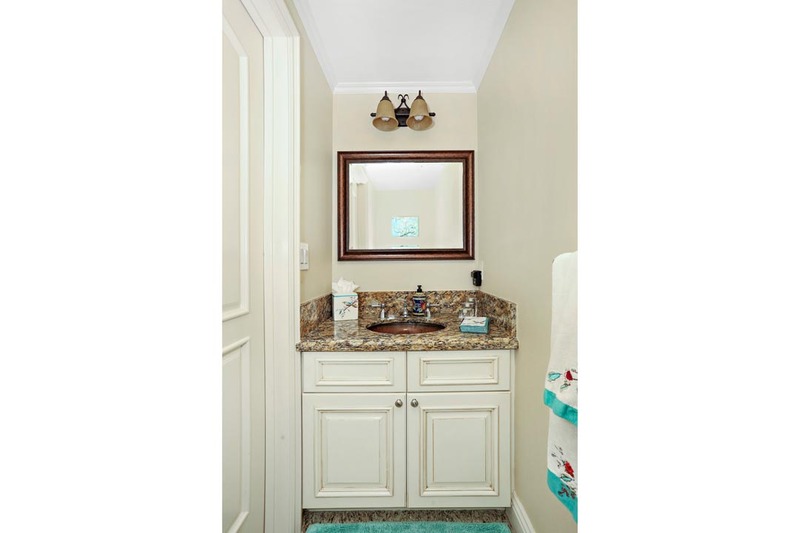 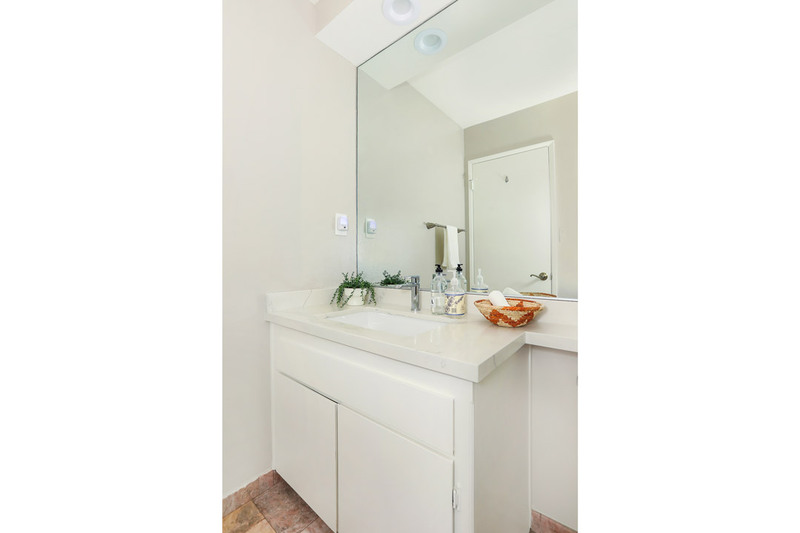 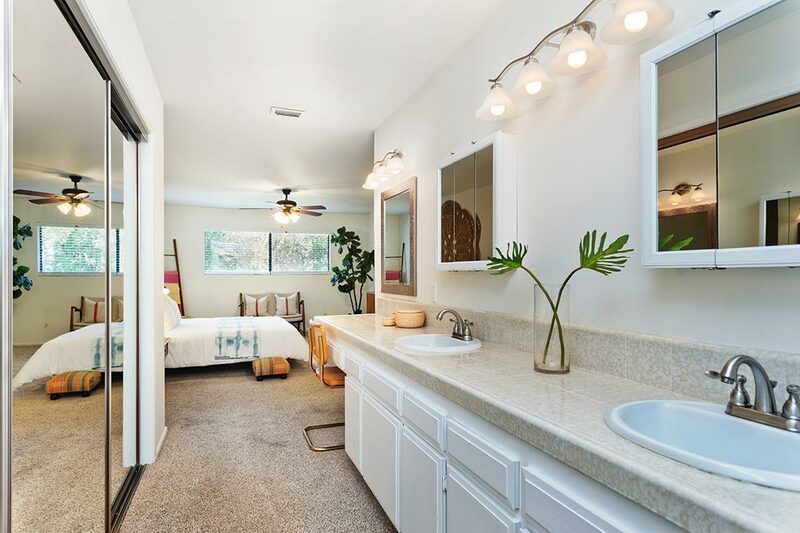 Master bedroom has an attached bath with dual vanities and a large walk-in closet. 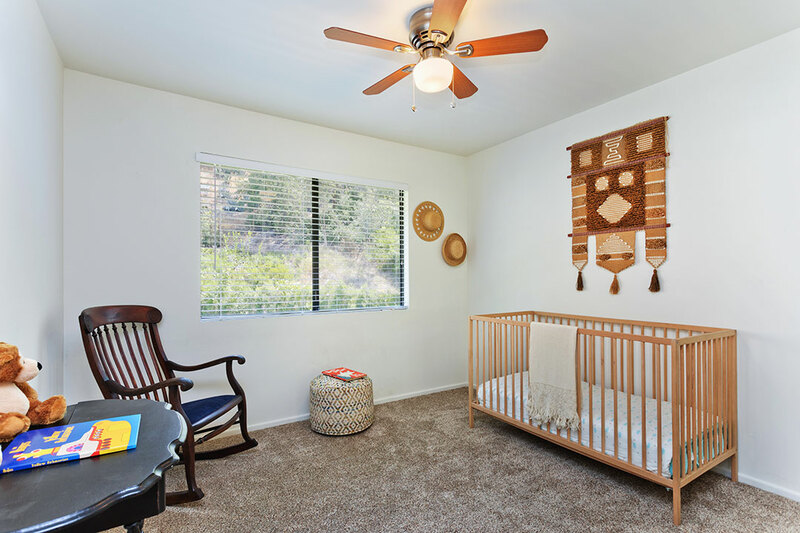 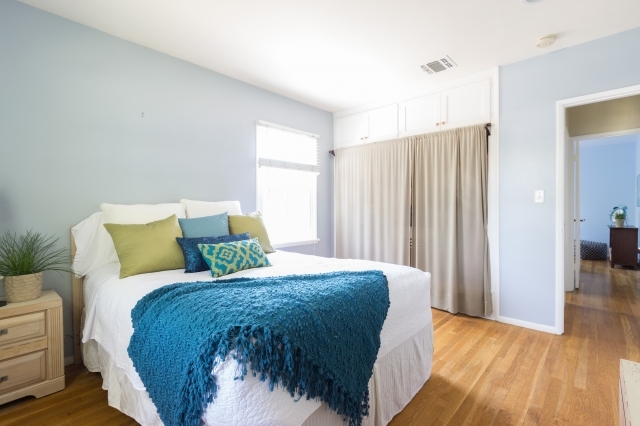 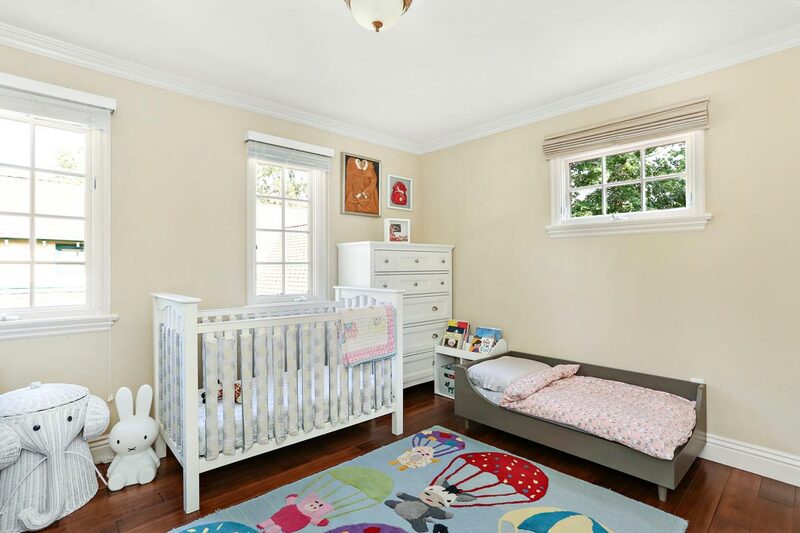 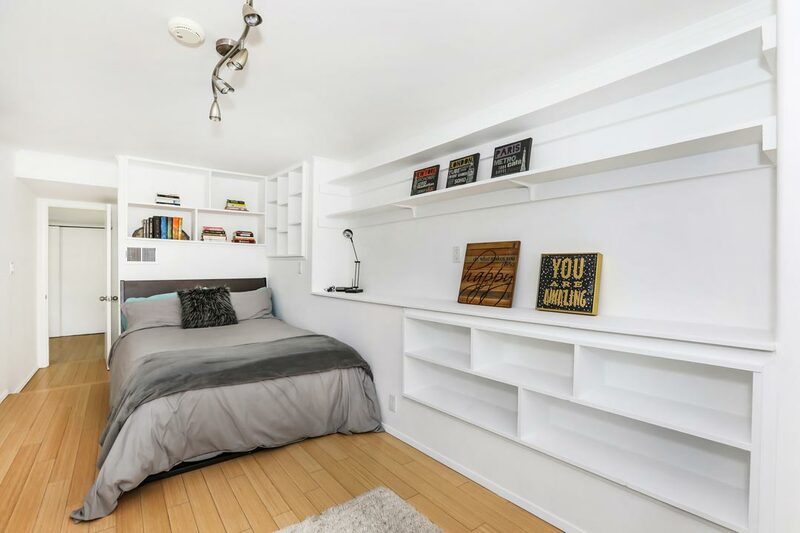 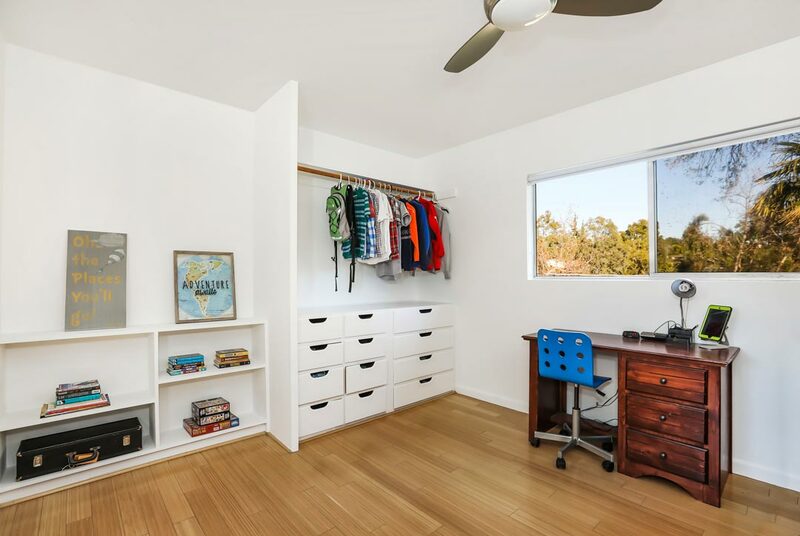 3 more bedrooms provide plenty of space, or use one as your nursery or office. 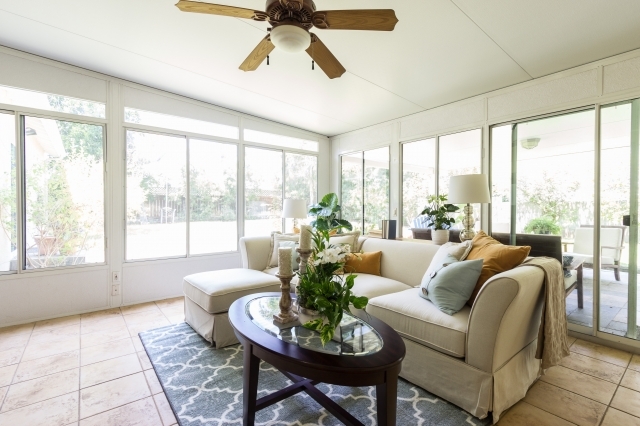 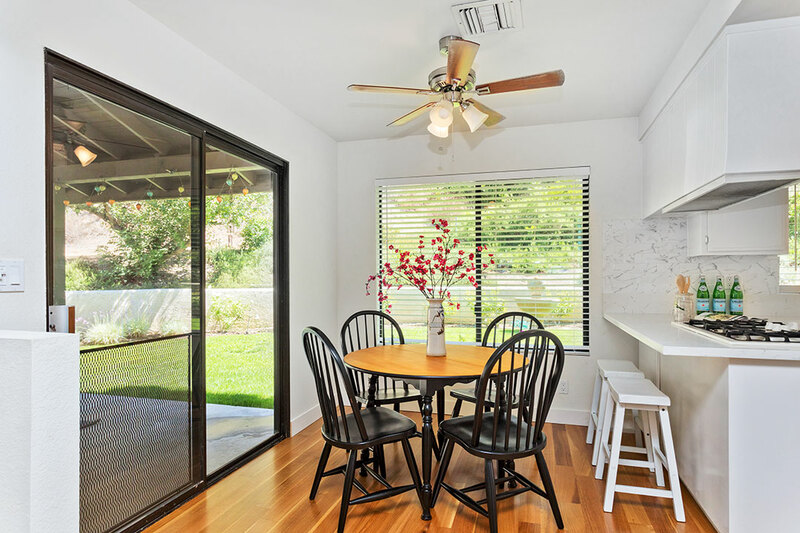 The enclosed patio makes an ideal, sun-splashed family room and opens to a large grassy back yard. 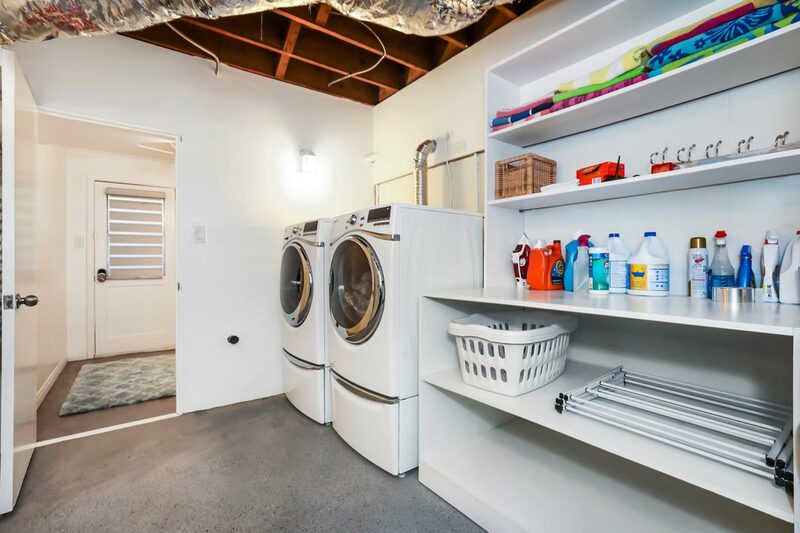 The home has a garage, laundry room and many updated systems. 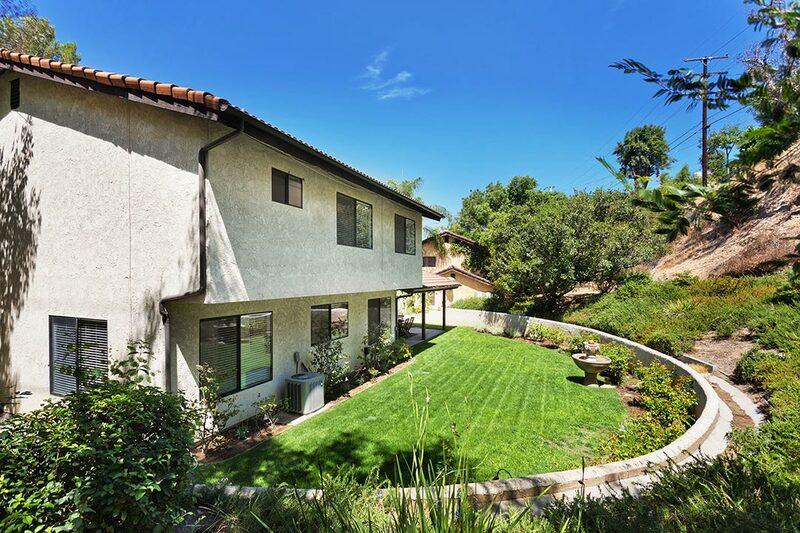 The best of Pasadena is outside your door including Eaton Canyon hikes, a play park, dog park, golf course, the Saturday Farmer’s Market plus the many shops, restaurants and supermarkets of Hastings Ranch. 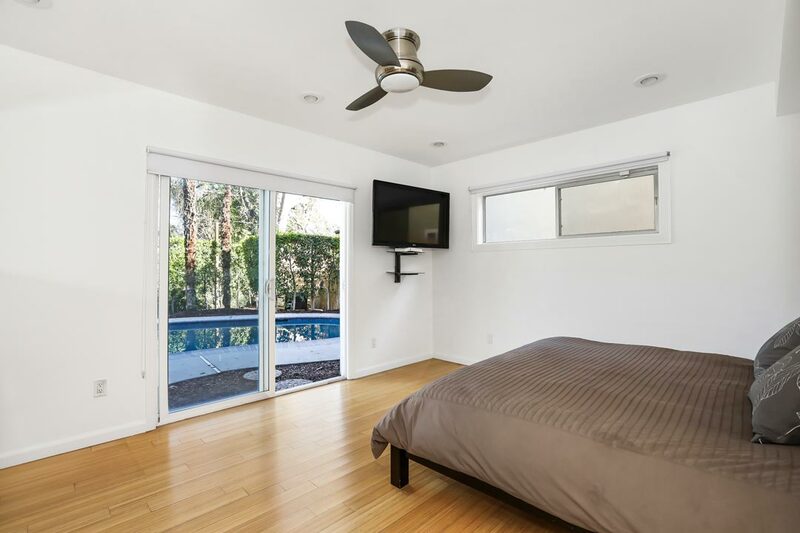 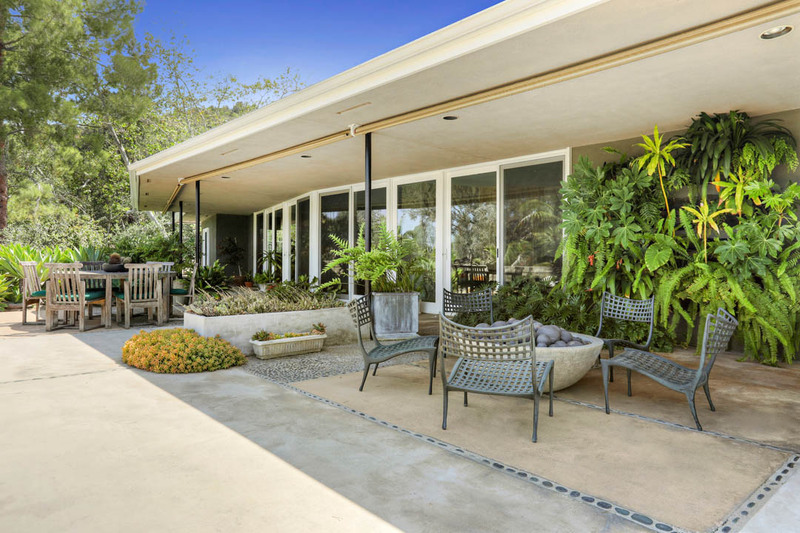 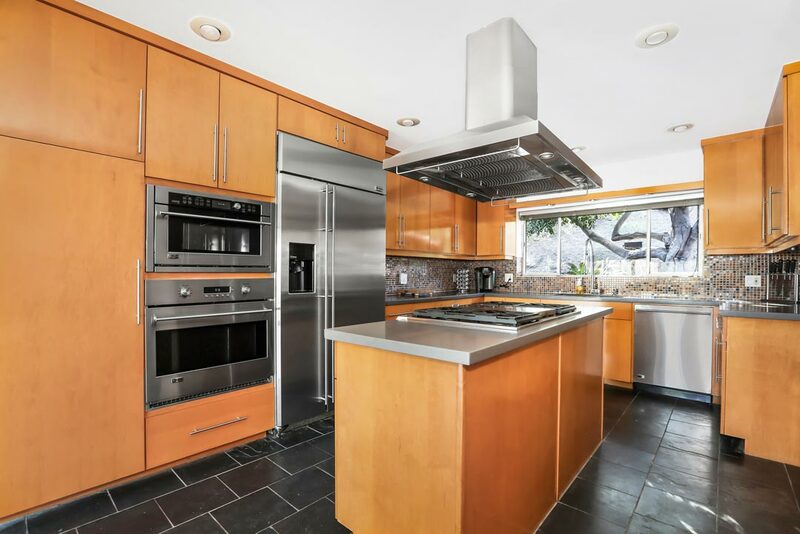 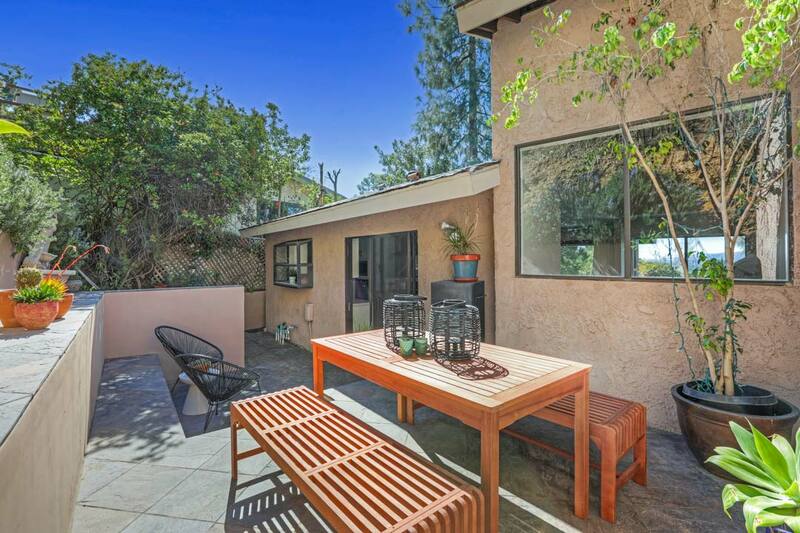 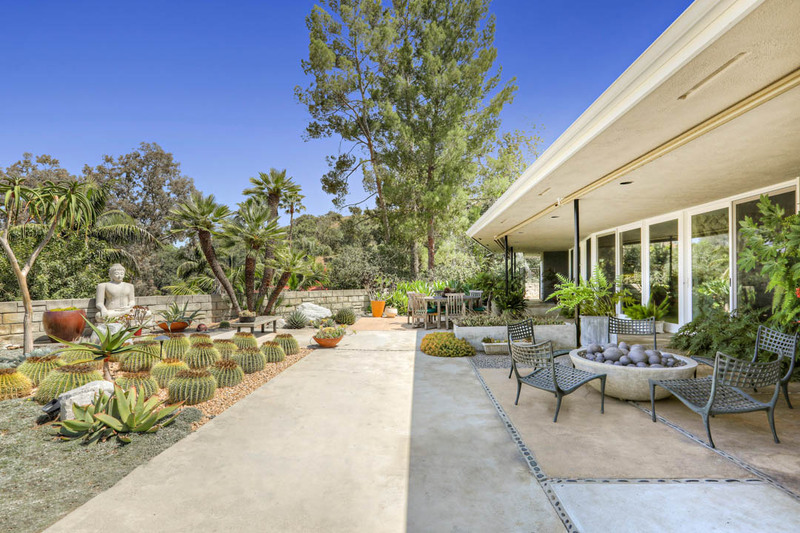 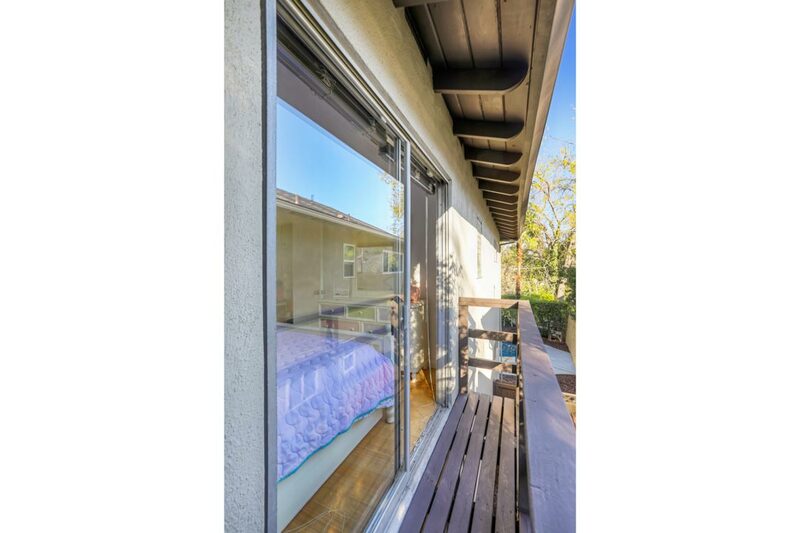 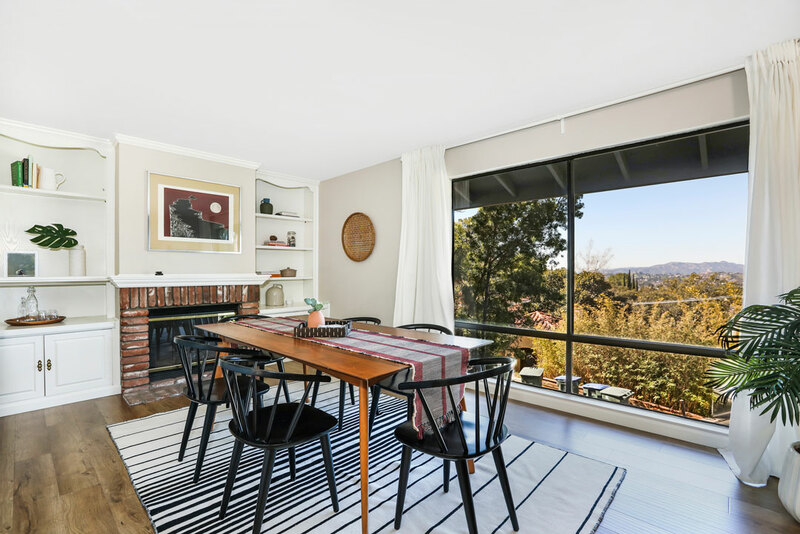 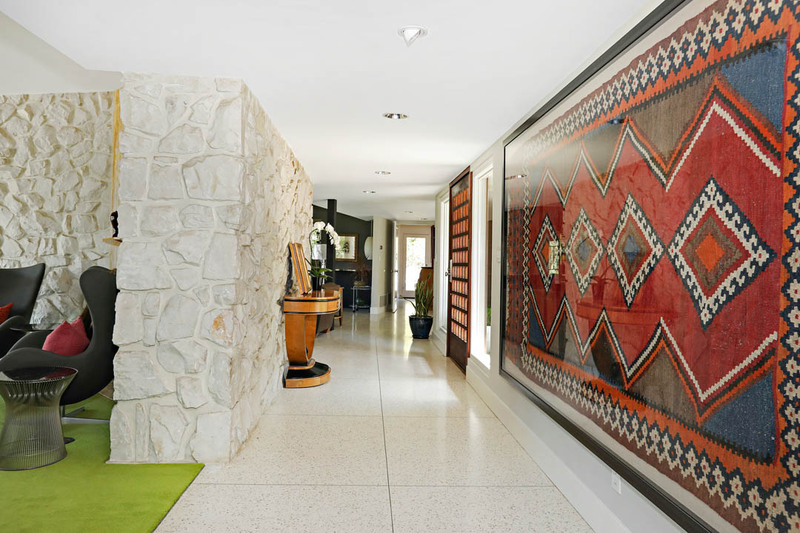 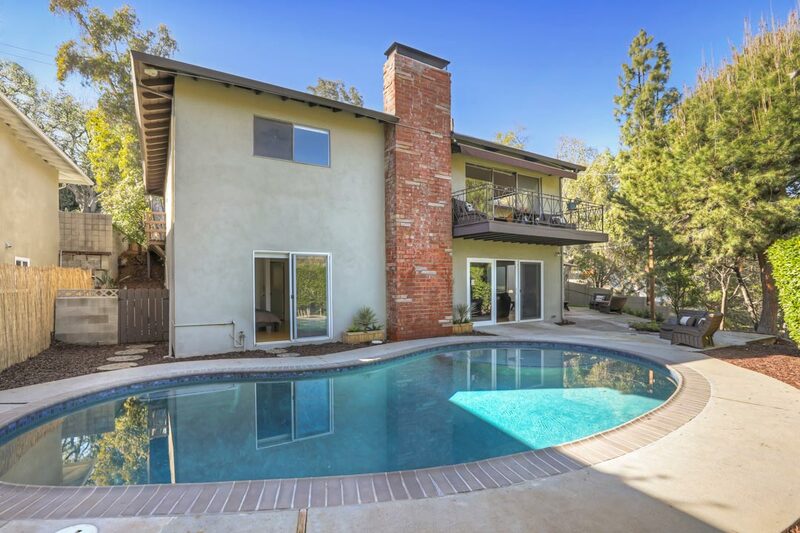 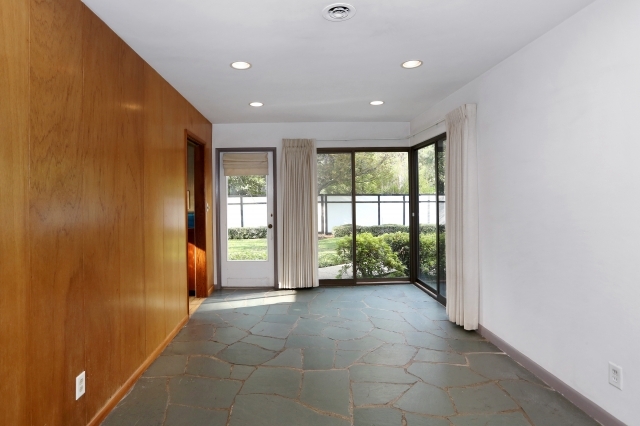 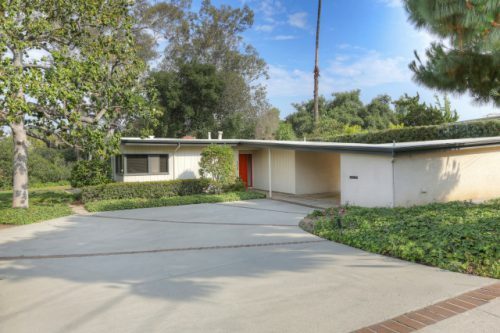 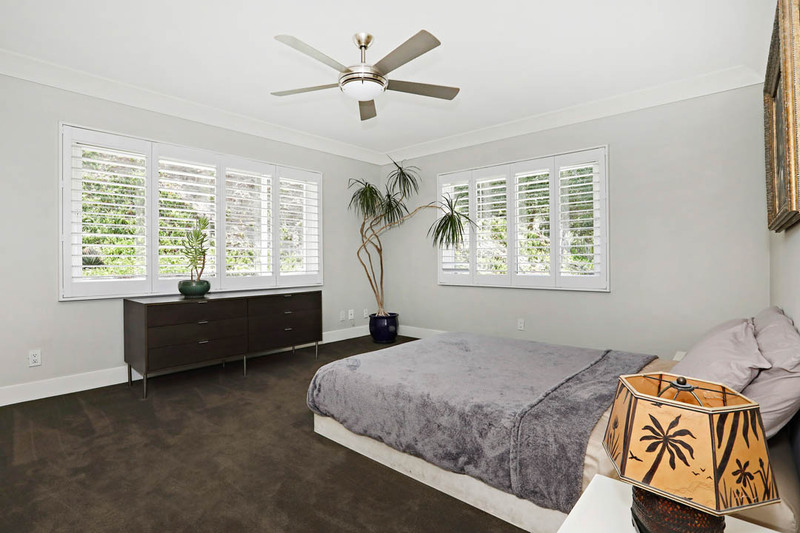 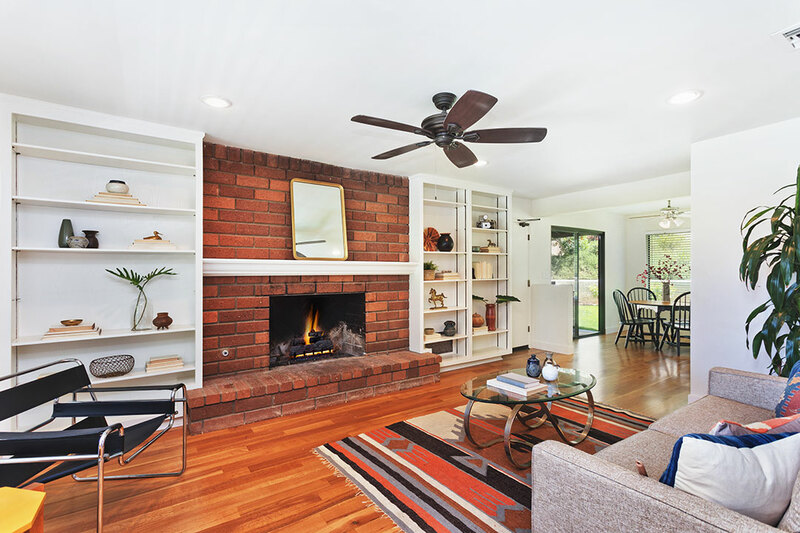 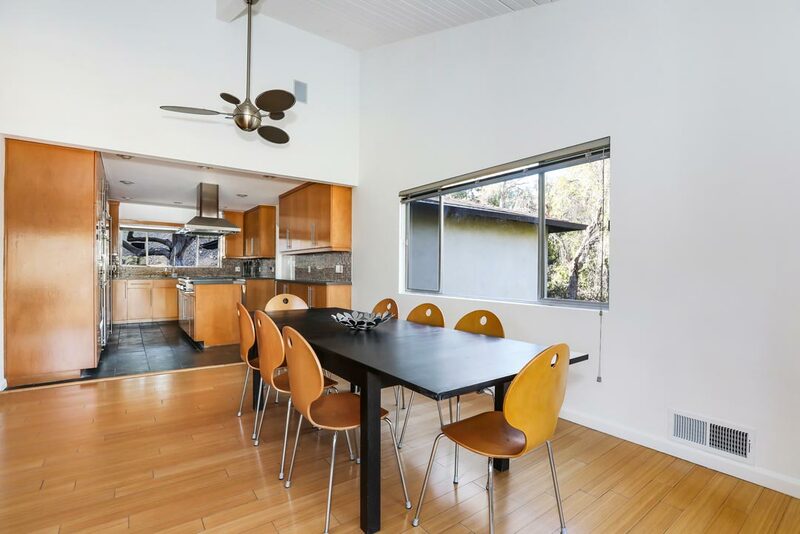 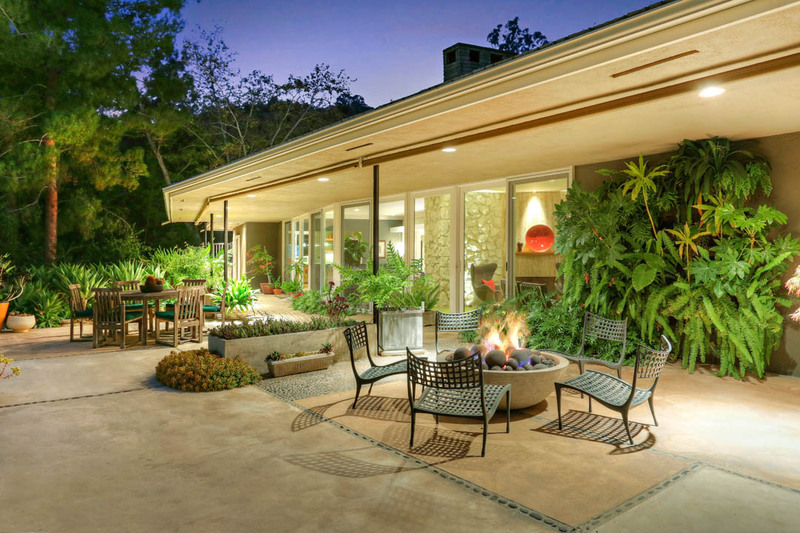 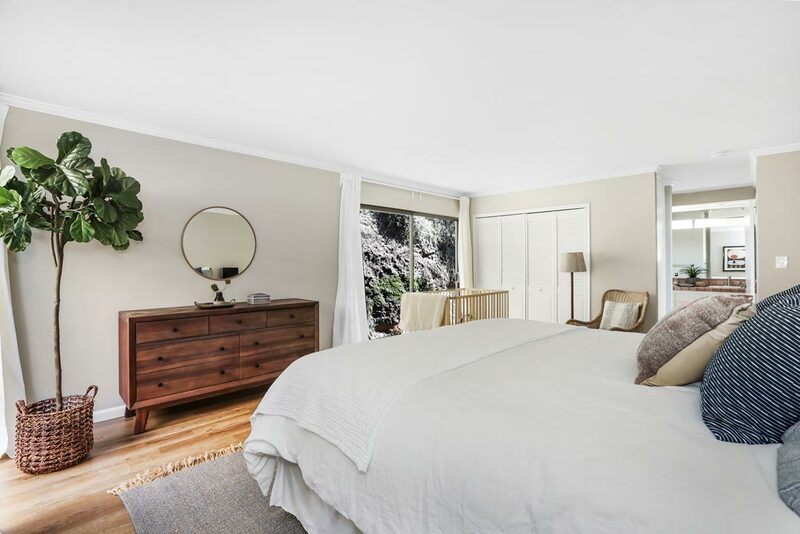 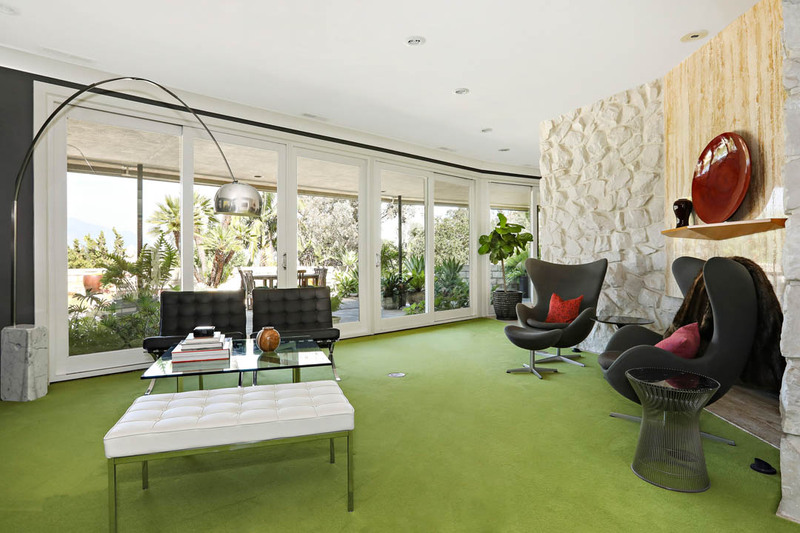 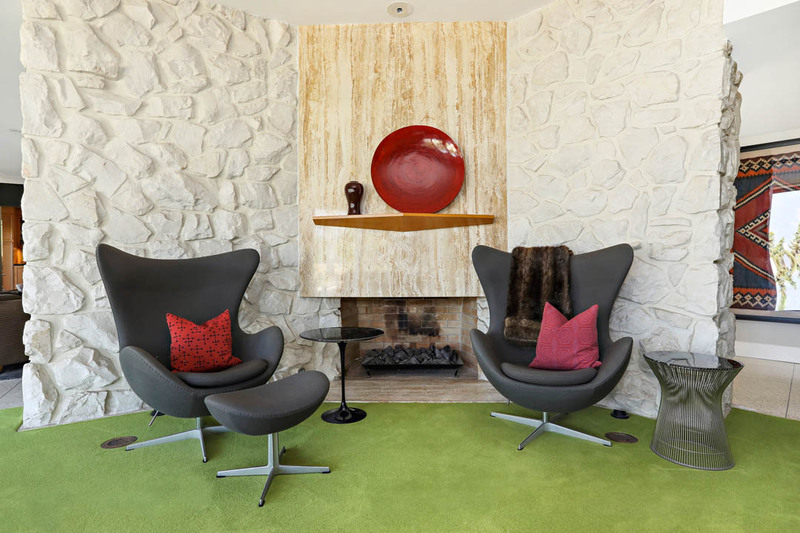 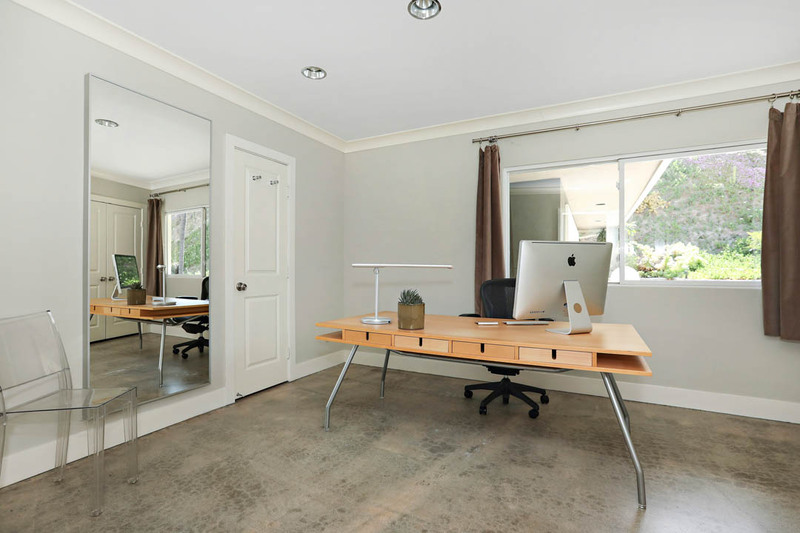 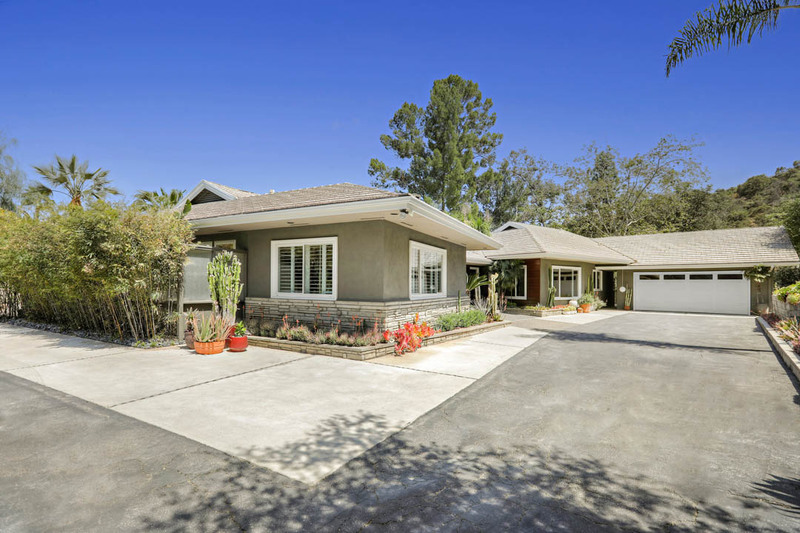 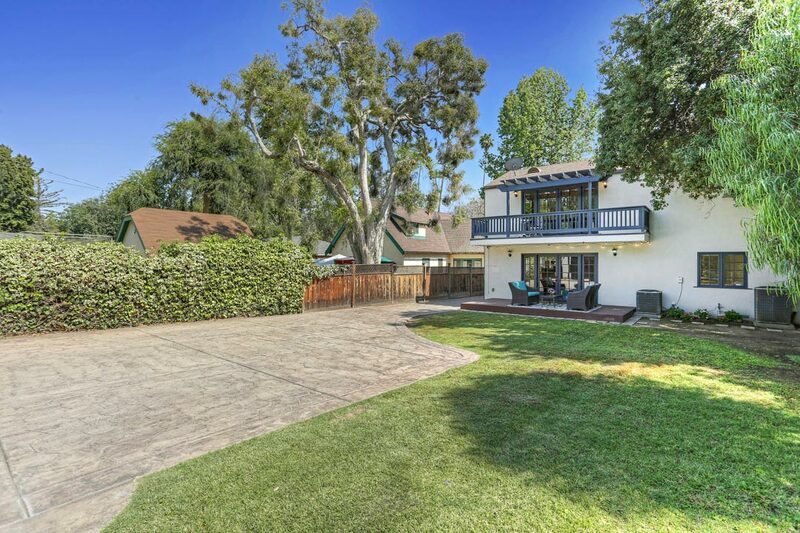 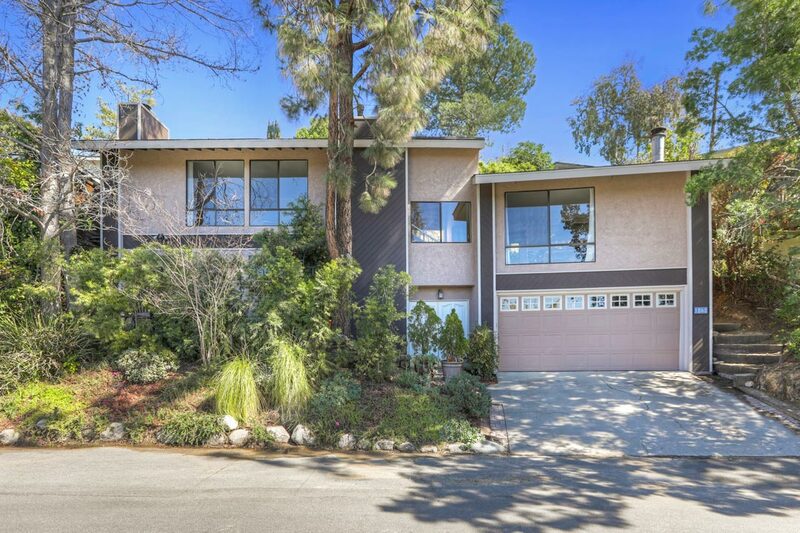 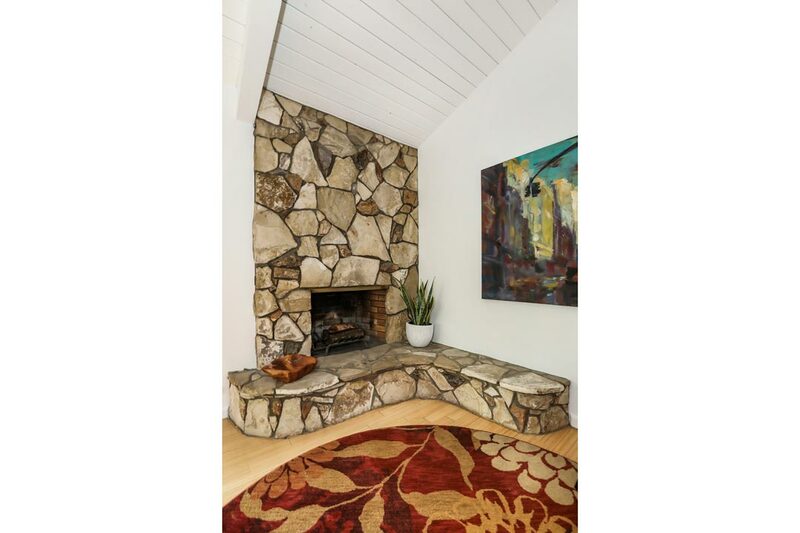 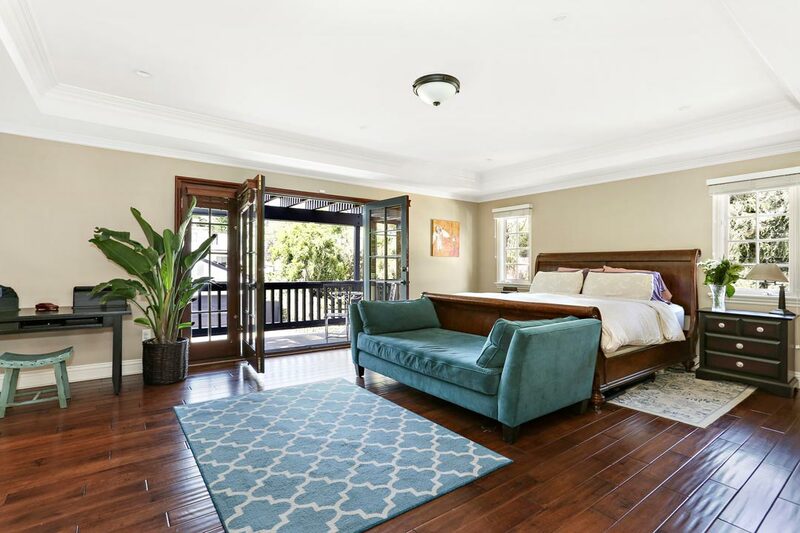 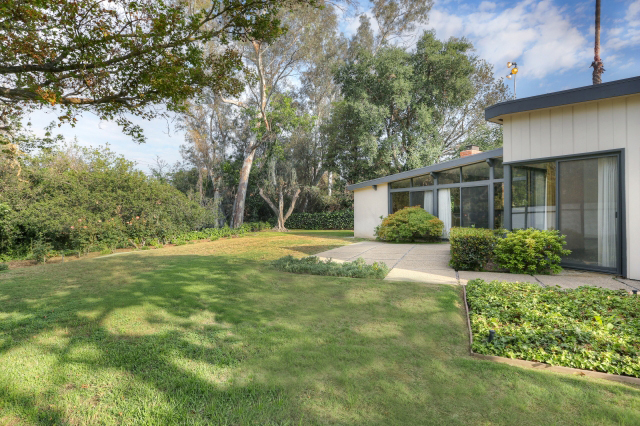 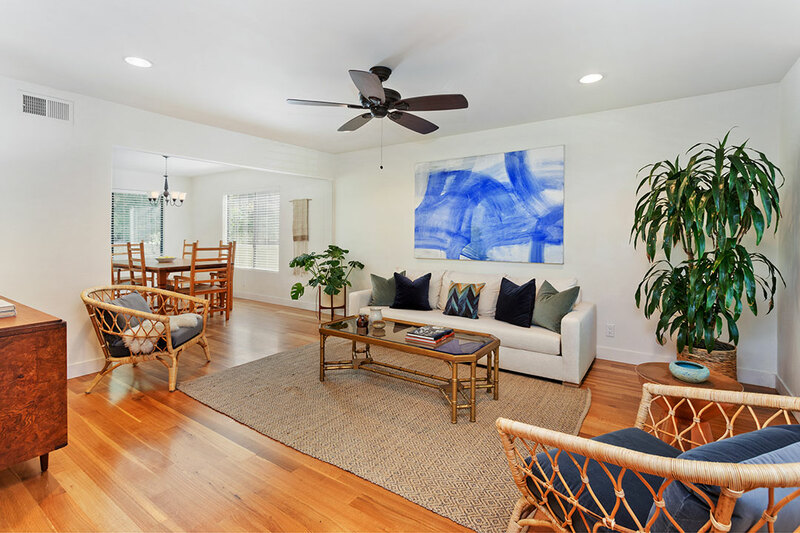 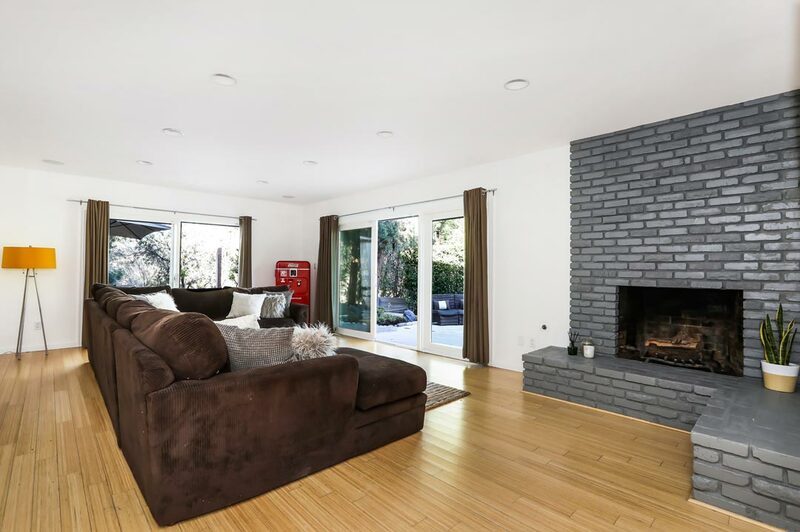 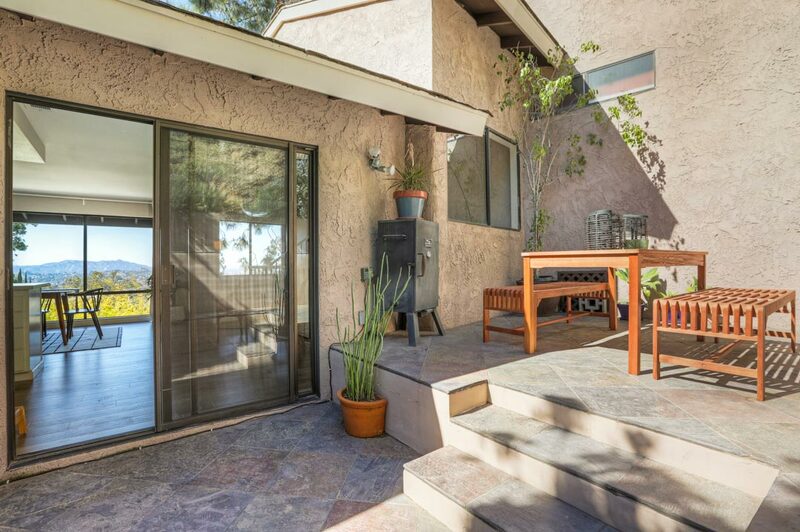 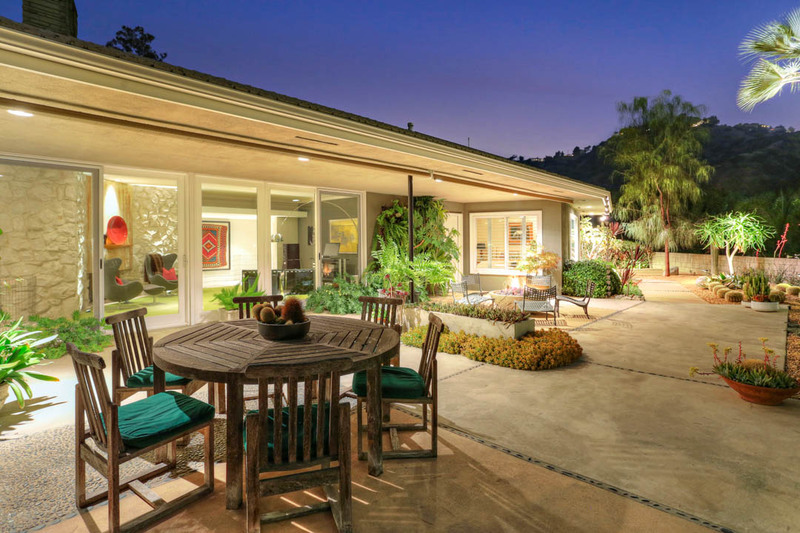 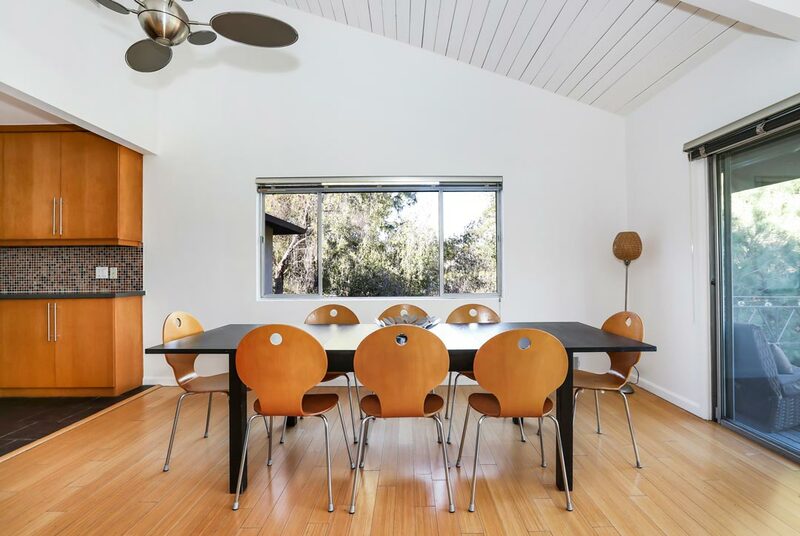 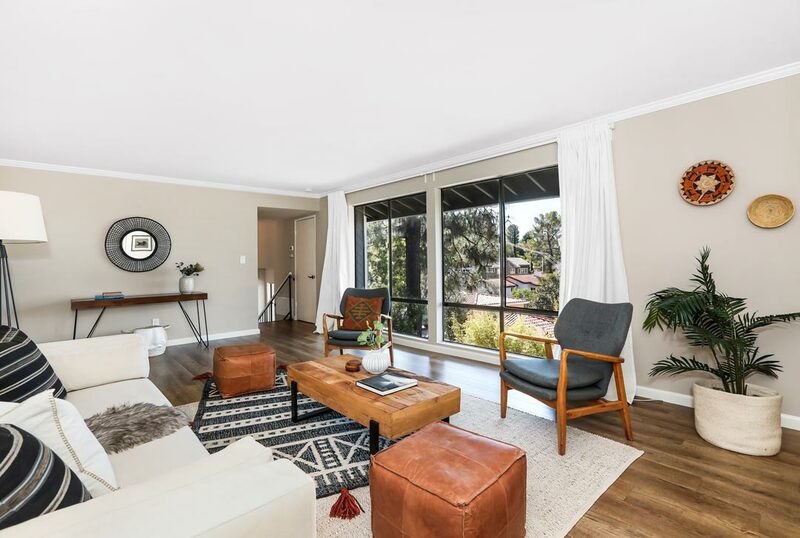 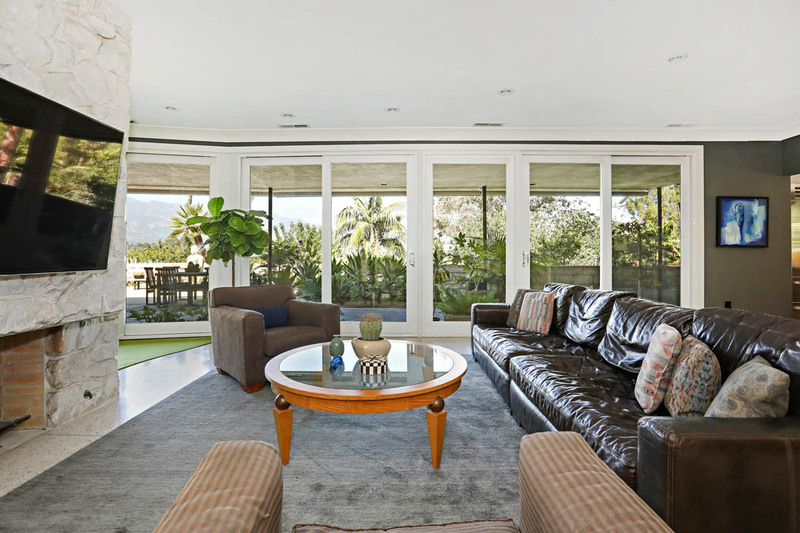 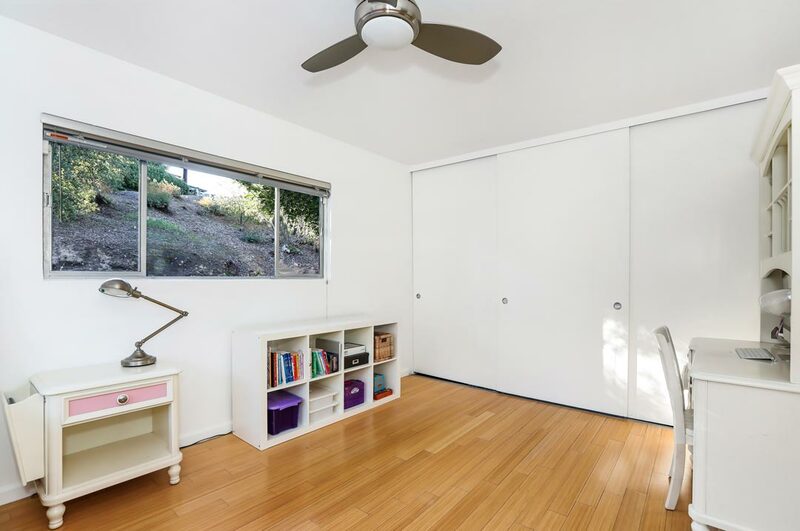 Living Area: 1,512 Square Ft. / Lot Size: 11,836 Square Ft.
1955 Mid-Century Modern home in the desirable Madison Heights area of Pasadena for lease. 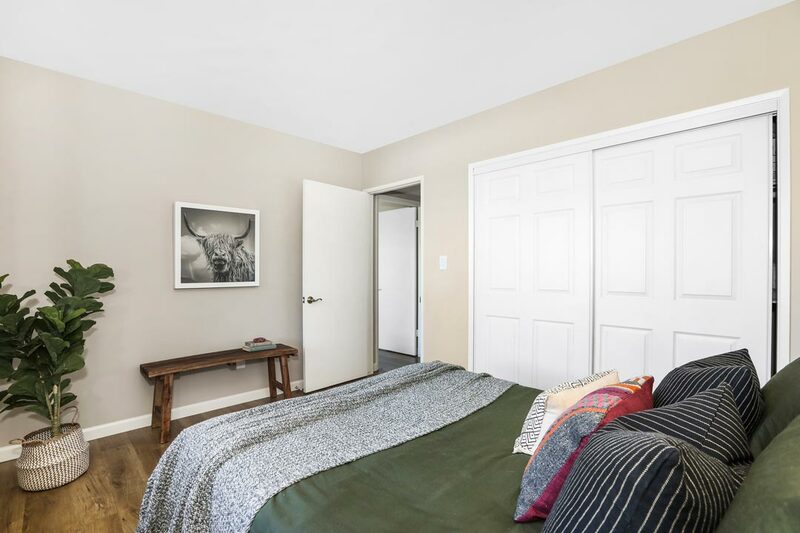 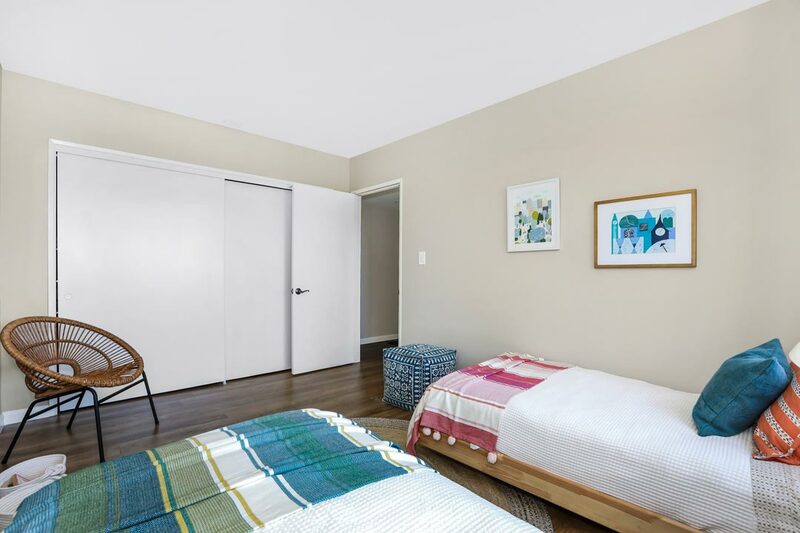 This tranquil two bedroom home with period kitchen and bathrooms, includes a spacious floor plan, polished concrete floors, a stone fireplace, office nook, and central heat and air. 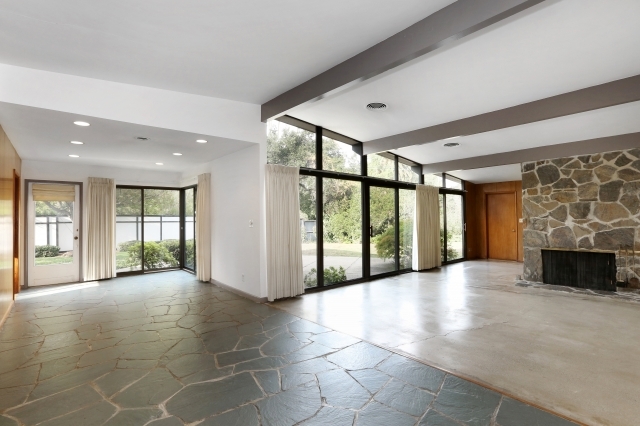 Walls of glass seamlessly blend indoor and outdoor areas. 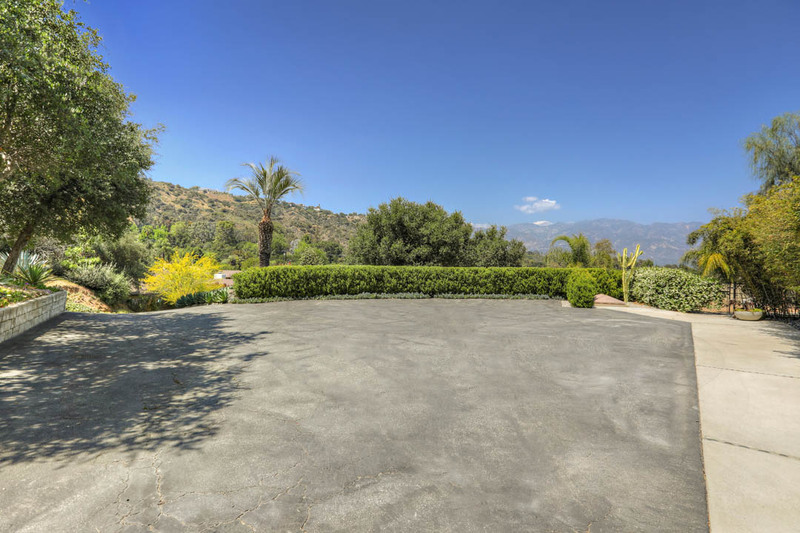 The extensive flat lot features mature landscaping and covered parking for two cars. 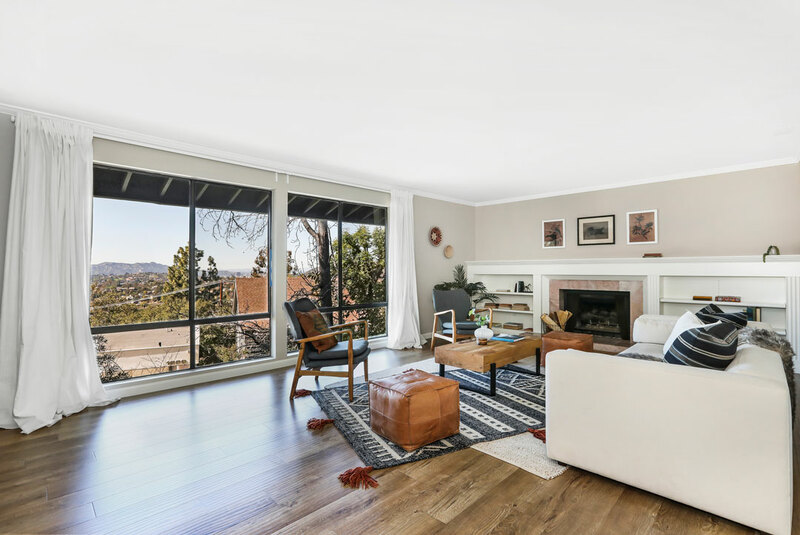 Living Area: 2,289 Square Ft. / Lot Size: 7,099 Square Ft.
A 2-story residence in historic, tradition-rich Garfield Heights. 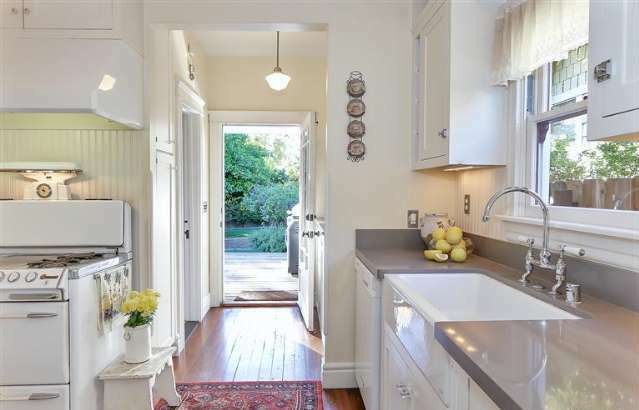 Built in 1907 it has been restored with period-appropriate elements alongside tasteful modern updates. 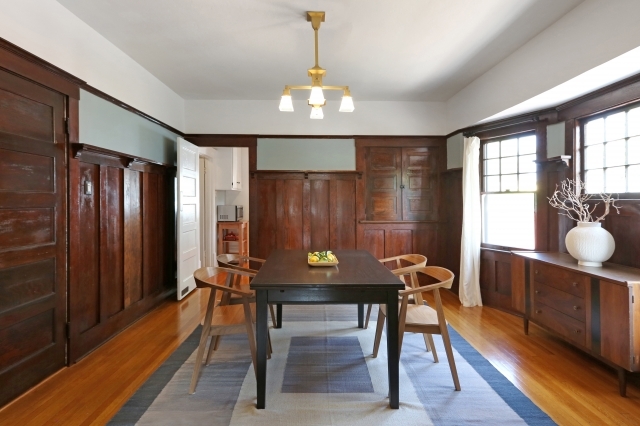 There’s exposed wood on the hearth, walls, wainscoting and pass-throughs. 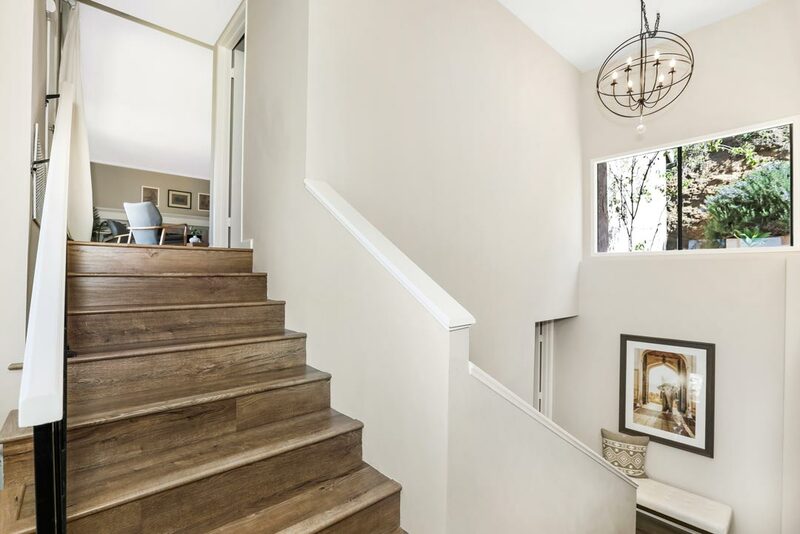 Spacious downstairs layout includes formal living and dining rooms with built-in cabinetry, benches and gorgeous wood flooring. 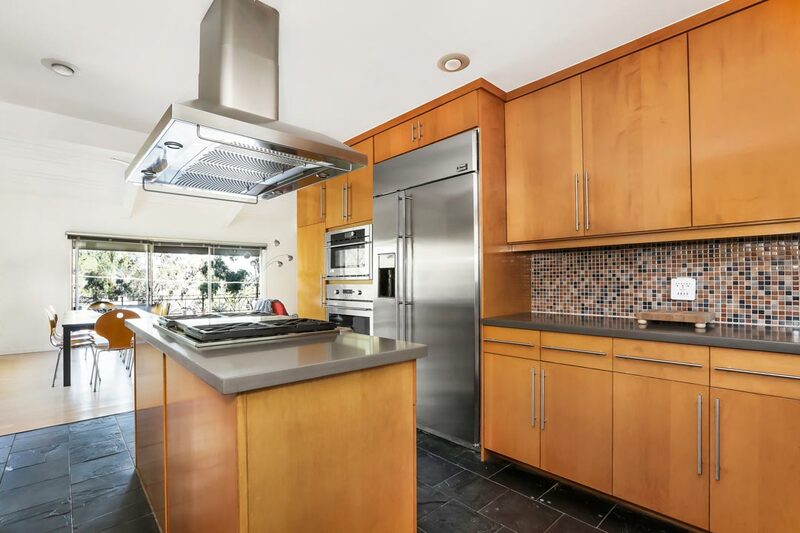 Remodeled kitchen has soapstone countertops, stainless steel appliances, a double oven and recessed lighting. 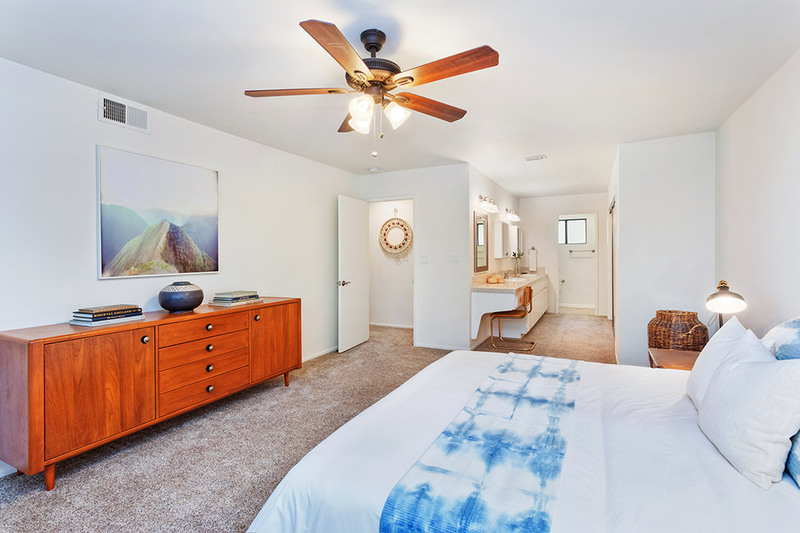 Upstairs Master Suite includes a sitting area, 2 closets and a large bathroom with a separate shower and soaking tub. 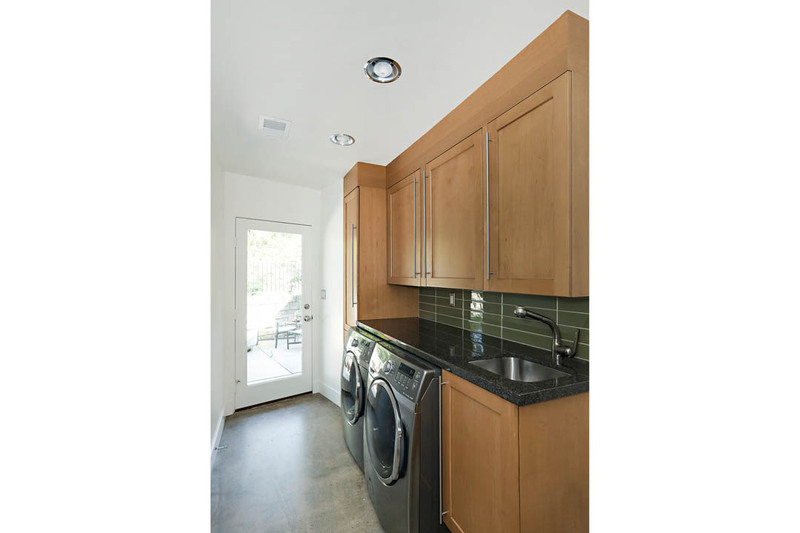 Updated systems include dual-zone energy efficient heating and a/c plus a tankless water heater. 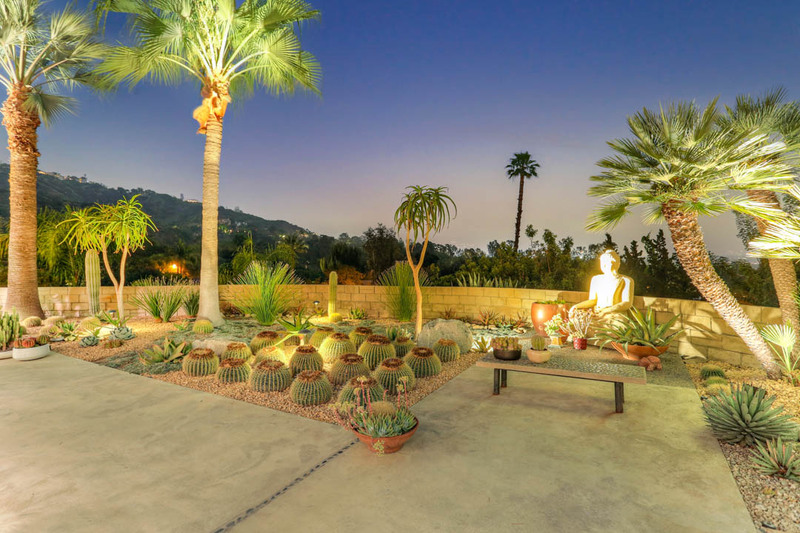 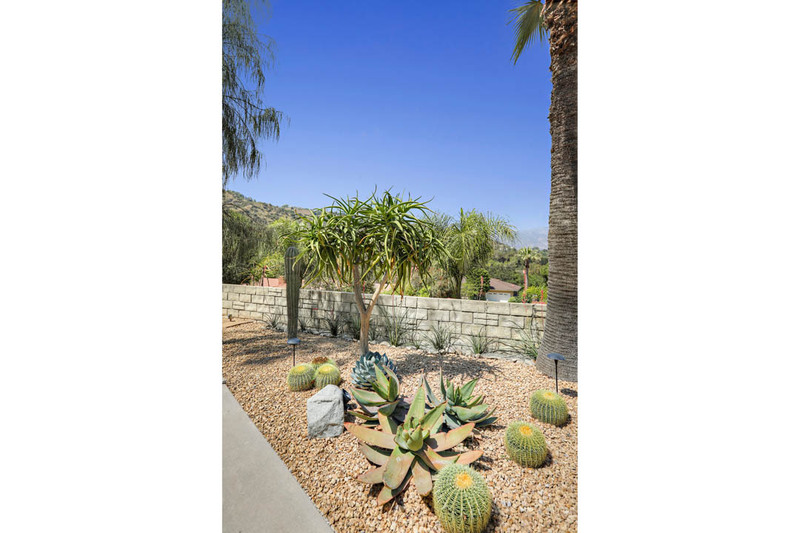 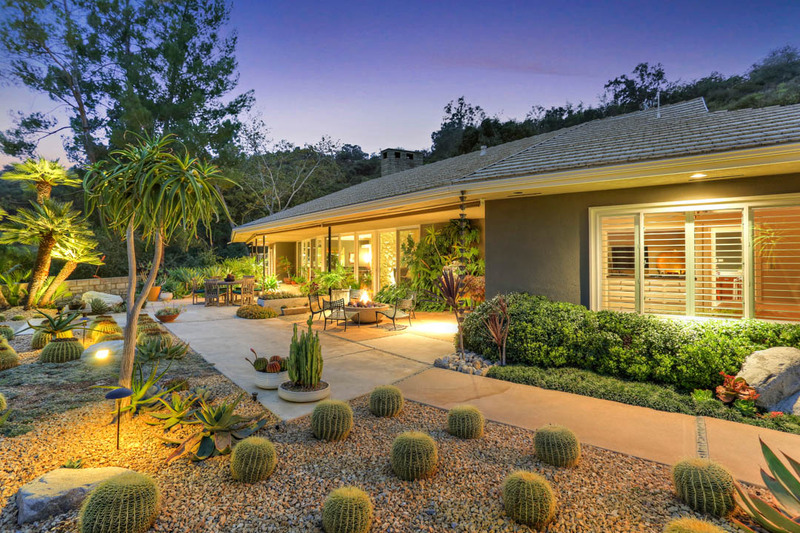 Front and back yards have native, drought-tolerant landscaping. 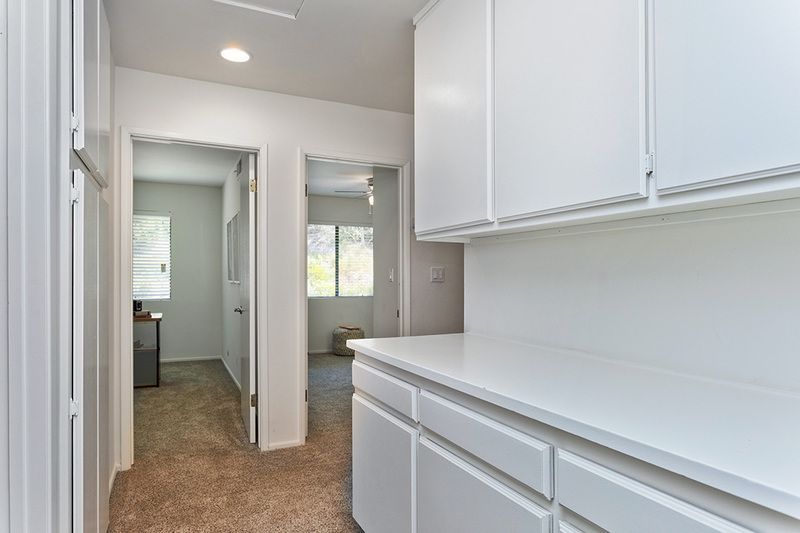 There is plenty of space for parking plus a studio garage. 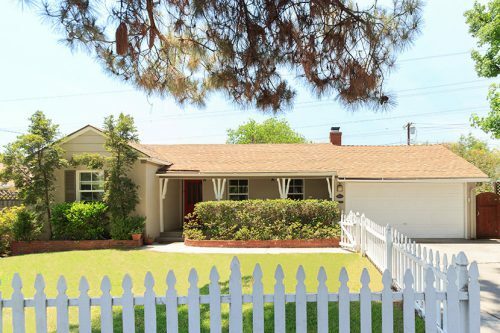 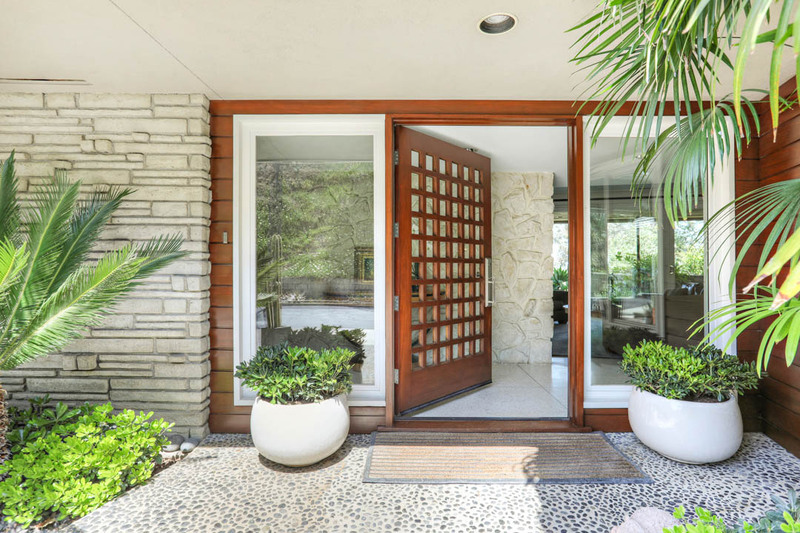 Garfield Heights is renown as one of Pasadena’s most cherished neighborhoods, very well located with easy access to Old Town, the Rose Bowl and the 210 and 134 freeways. 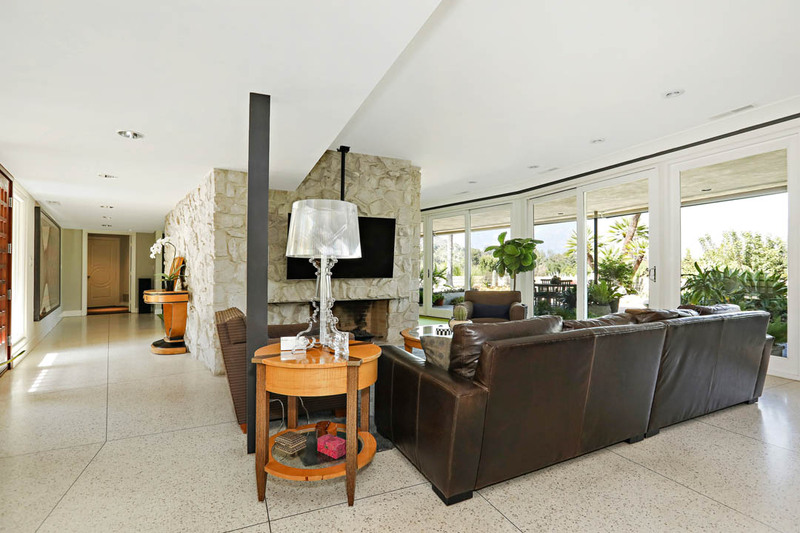 Living Area: 1,584 Square Ft. / Lot Size: 7,454 Square Ft.